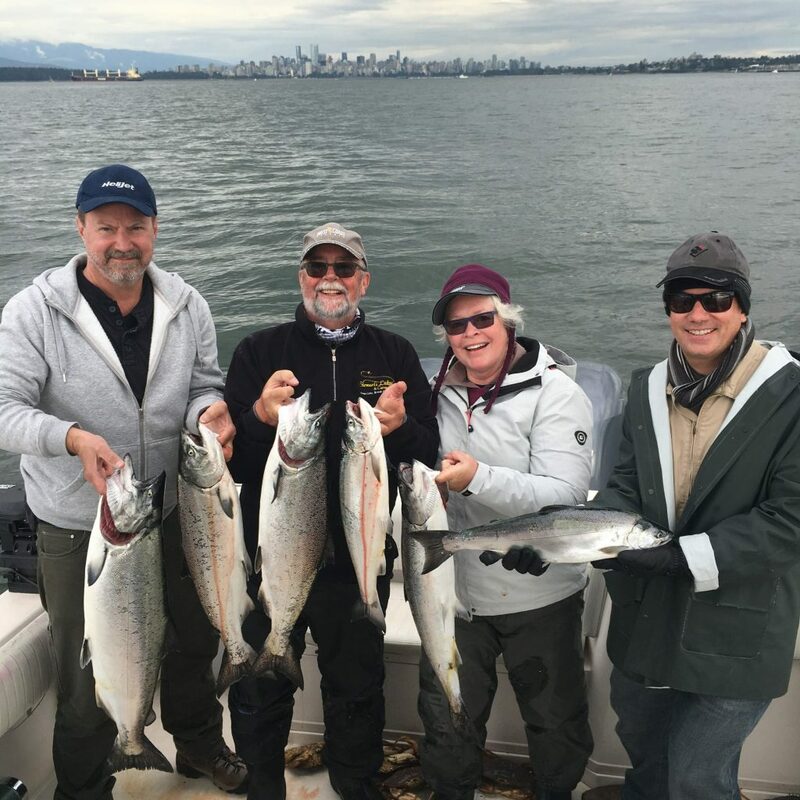 Take a look at The Guide Journal for recent and past trip details. 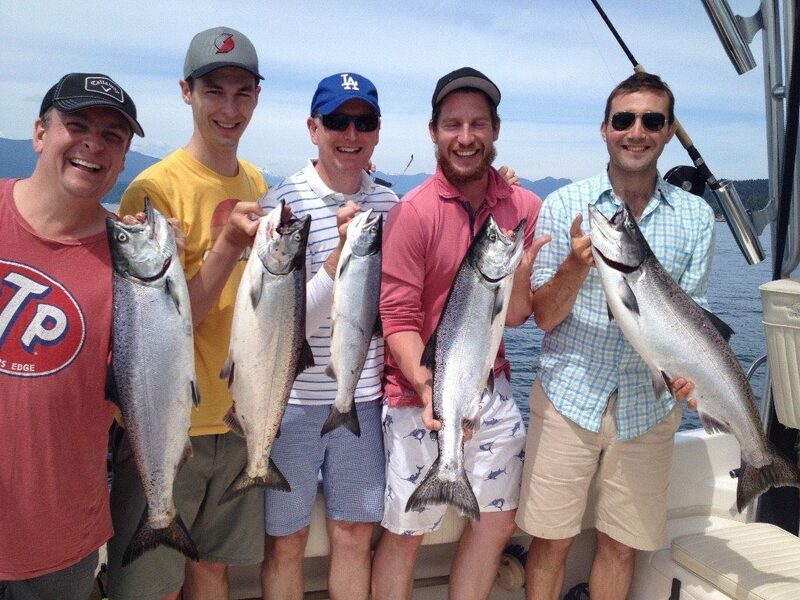 Take a look at The Guide Journal for recent and past trip details. 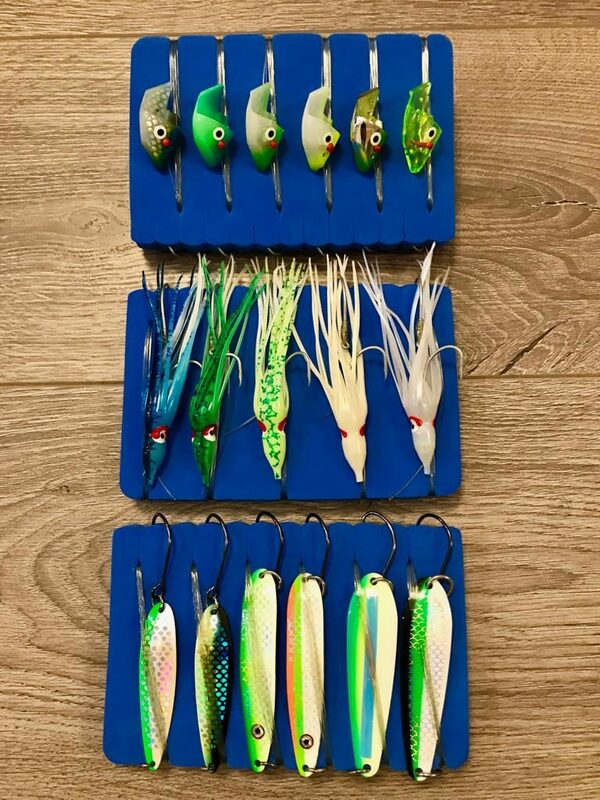 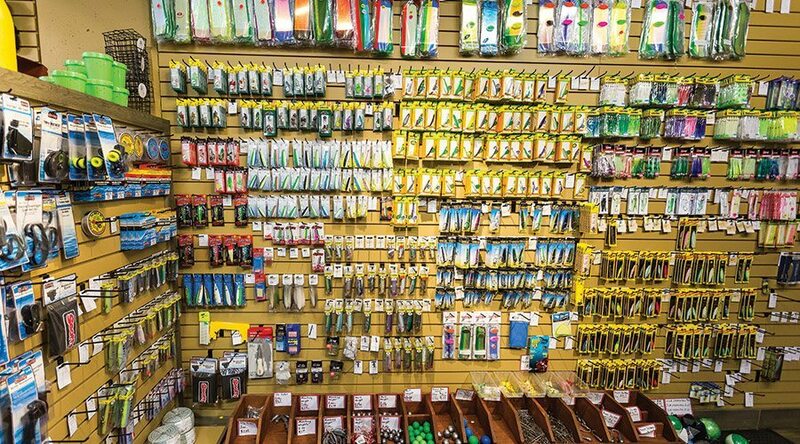 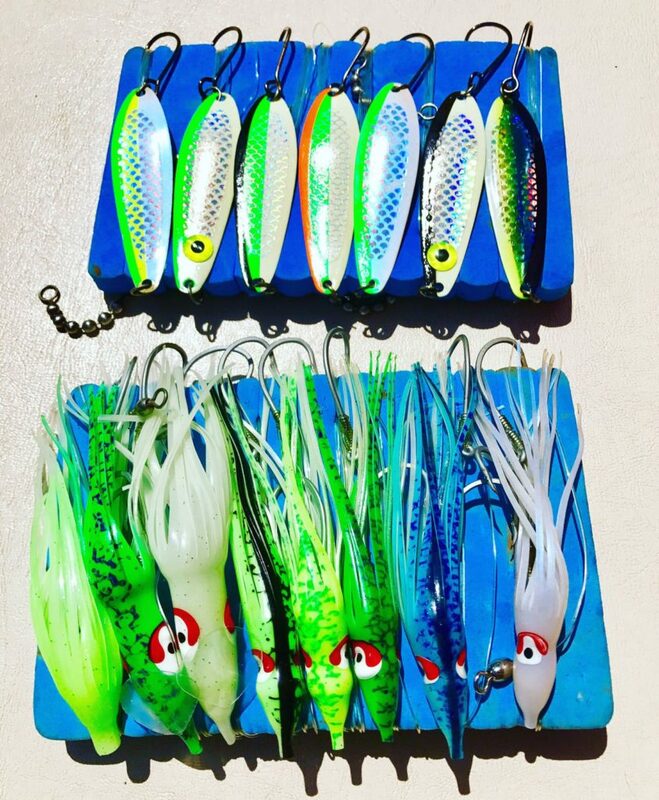 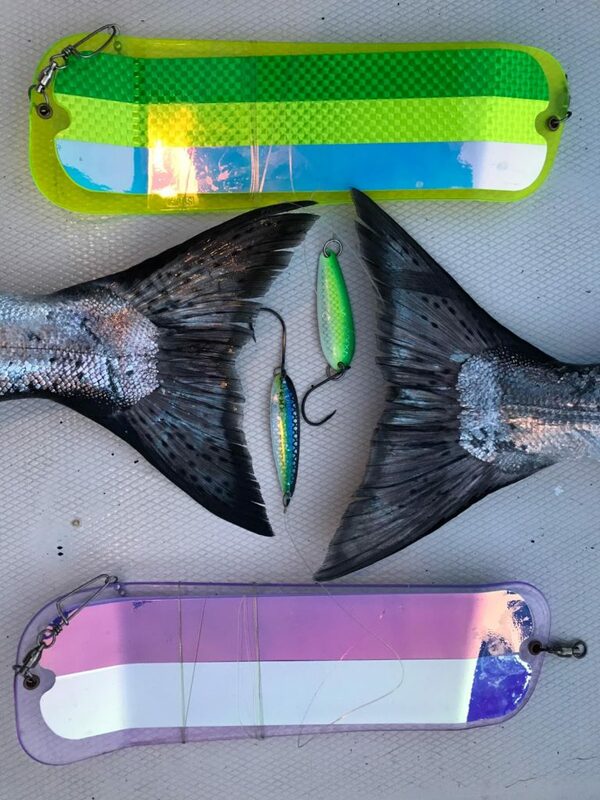 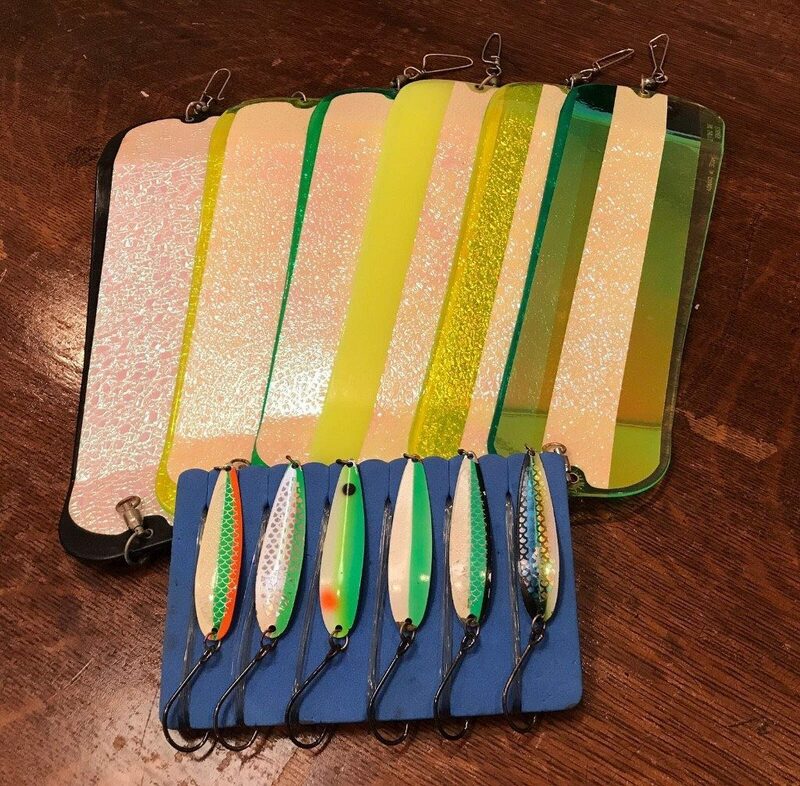 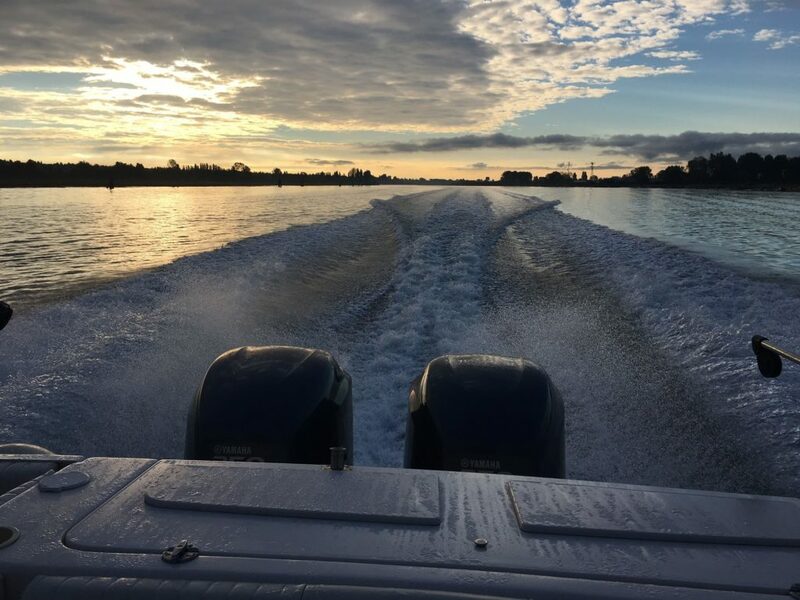 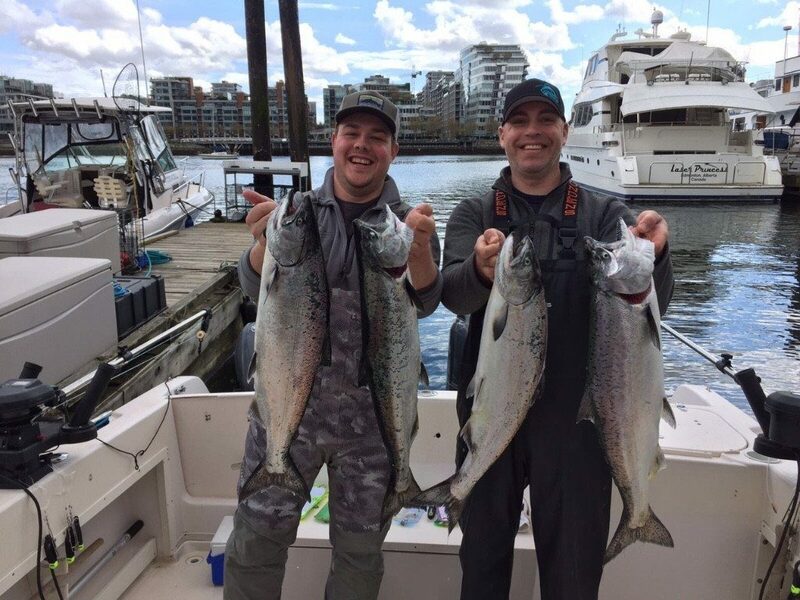 In a blog-style format this section is your unique opportunity to take a look at where we are fishing, what we are using and what we are catching. 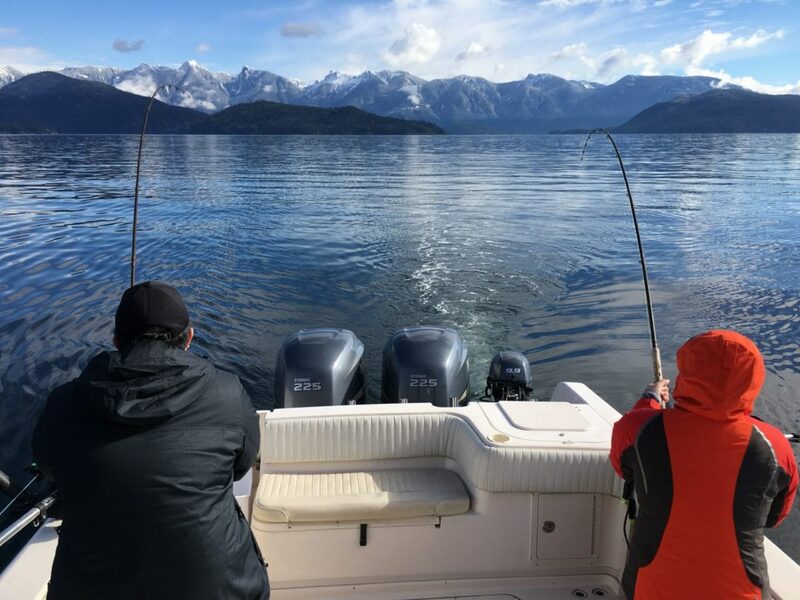 Our guides are on the water everyday, follow them throughout the season and learn from the best! 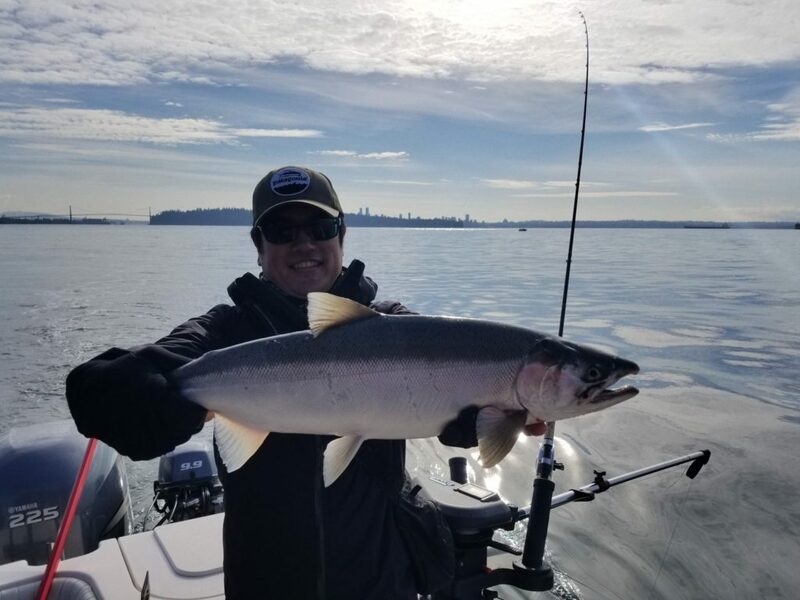 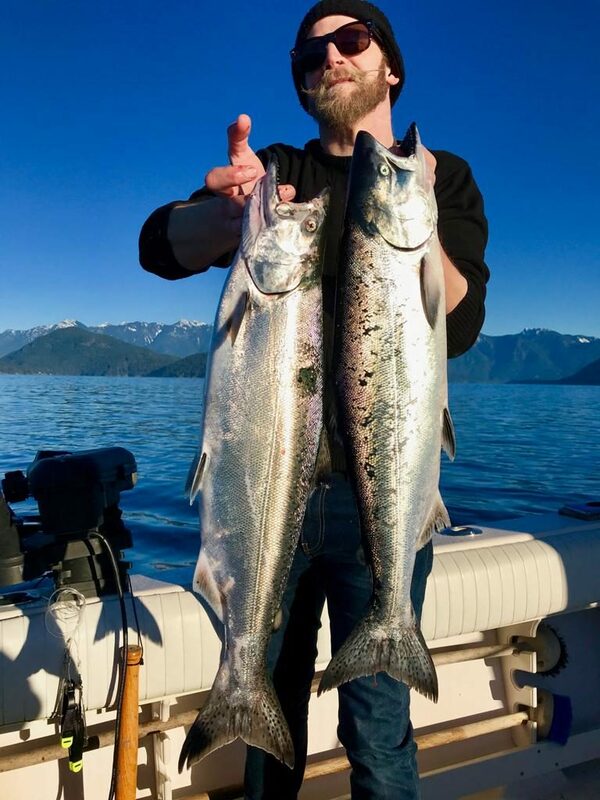 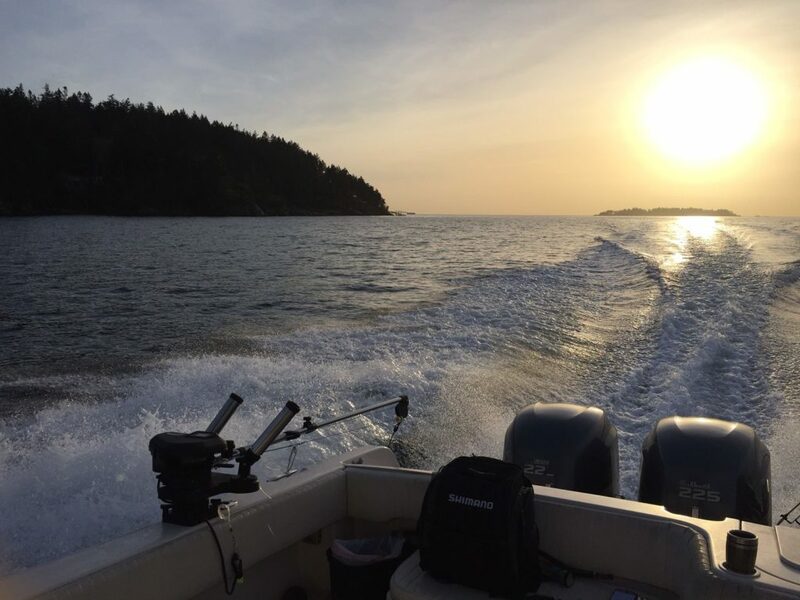 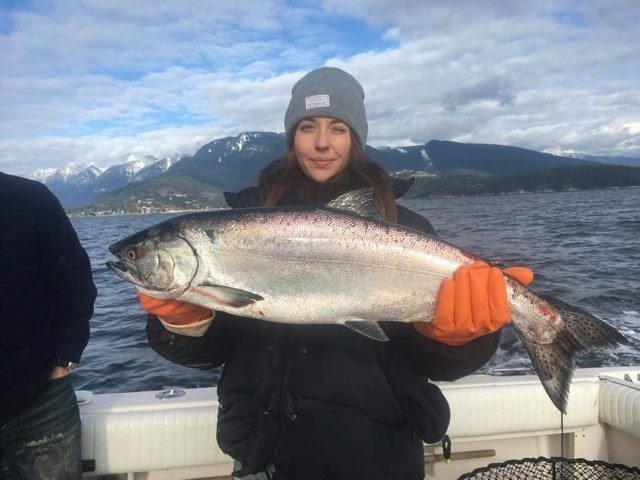 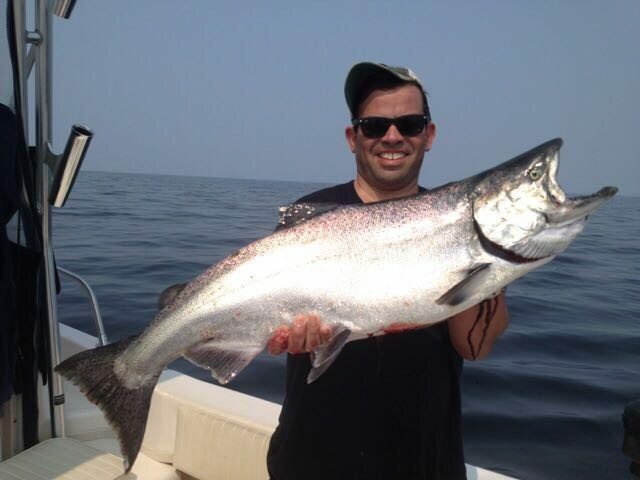 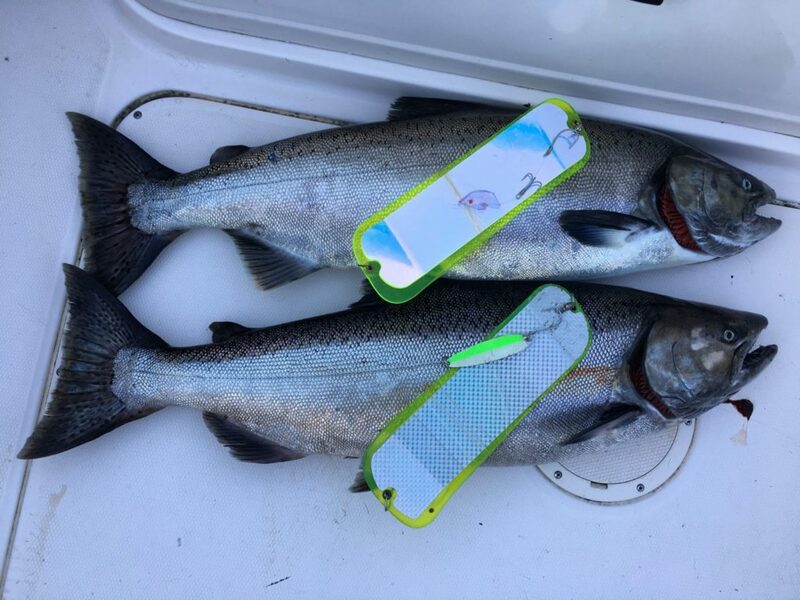 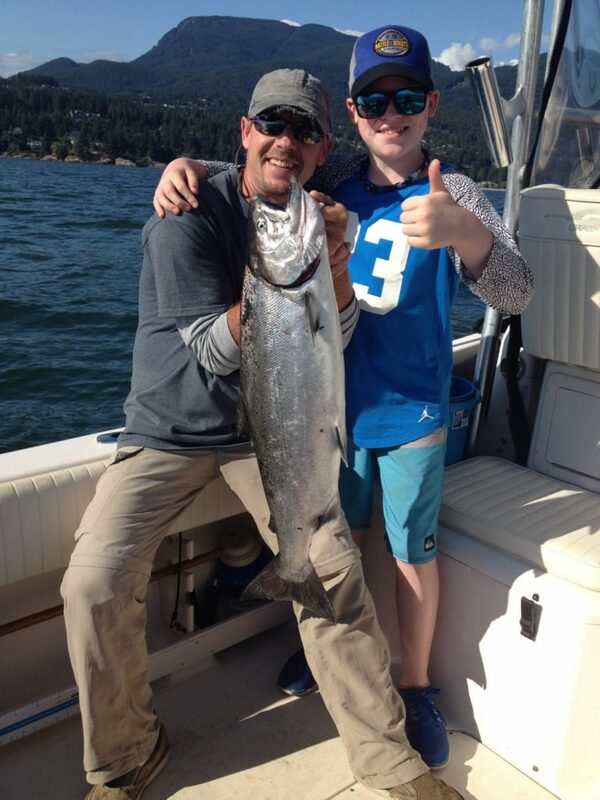 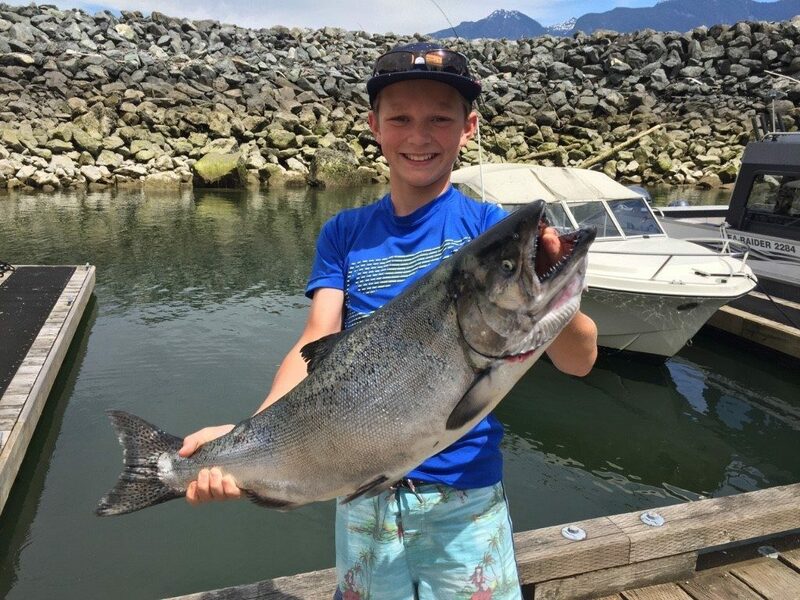 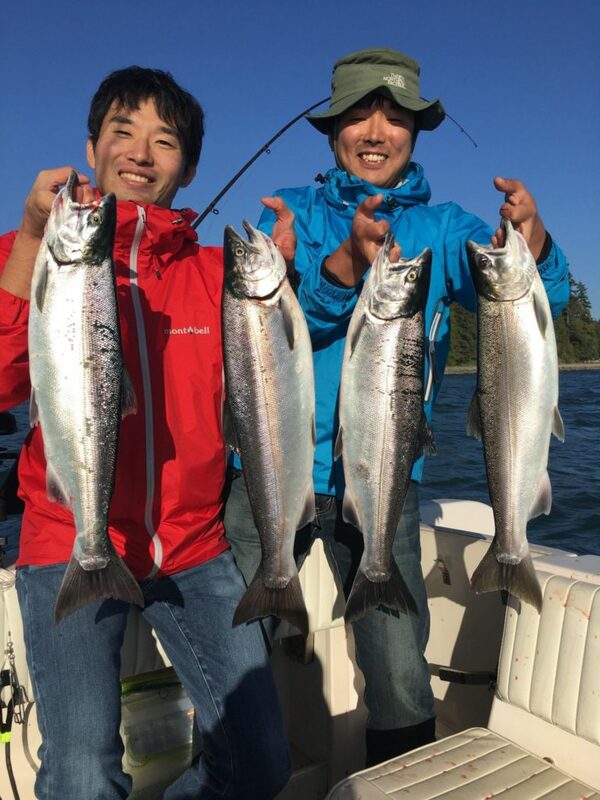 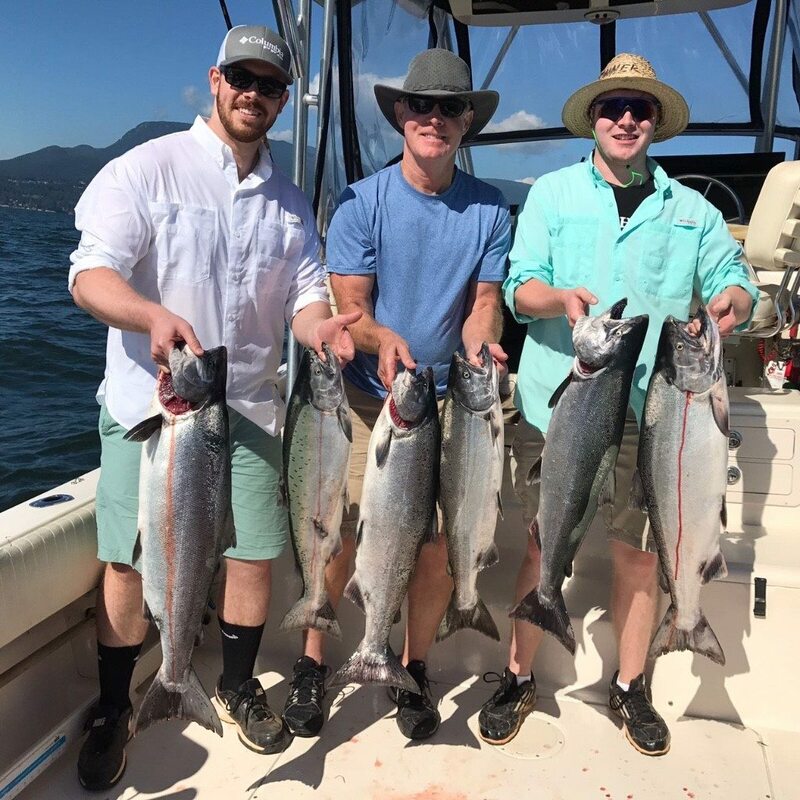 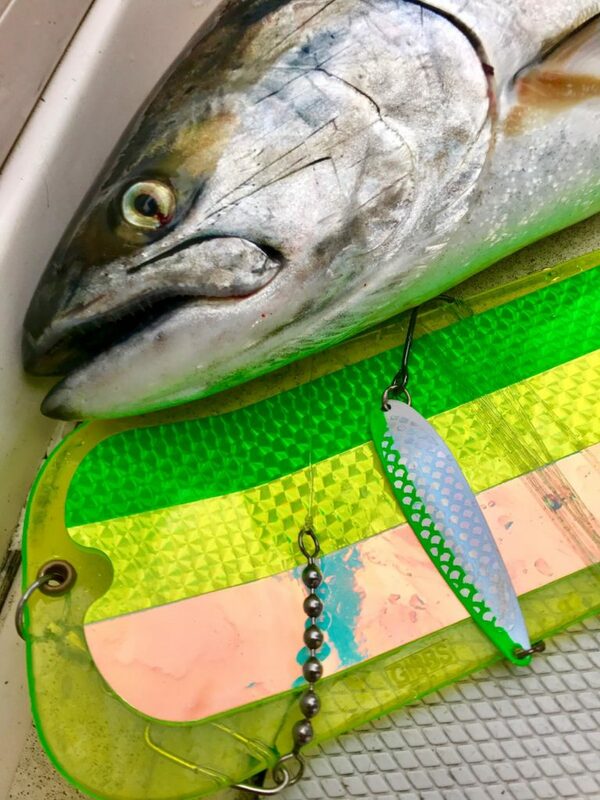 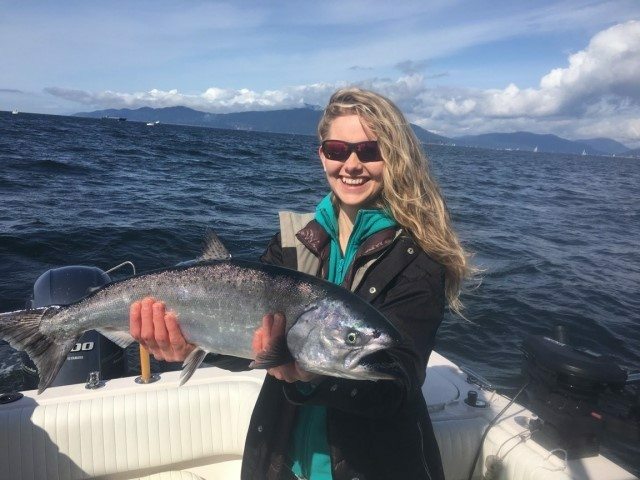 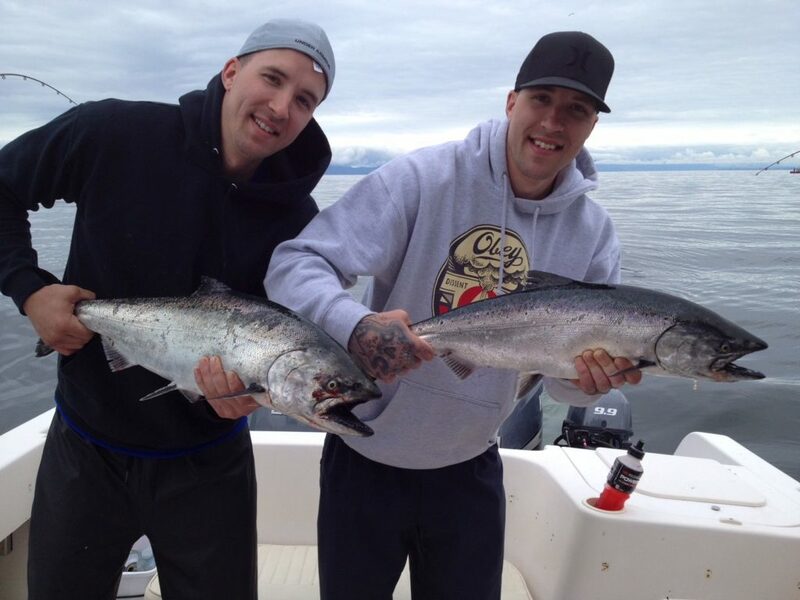 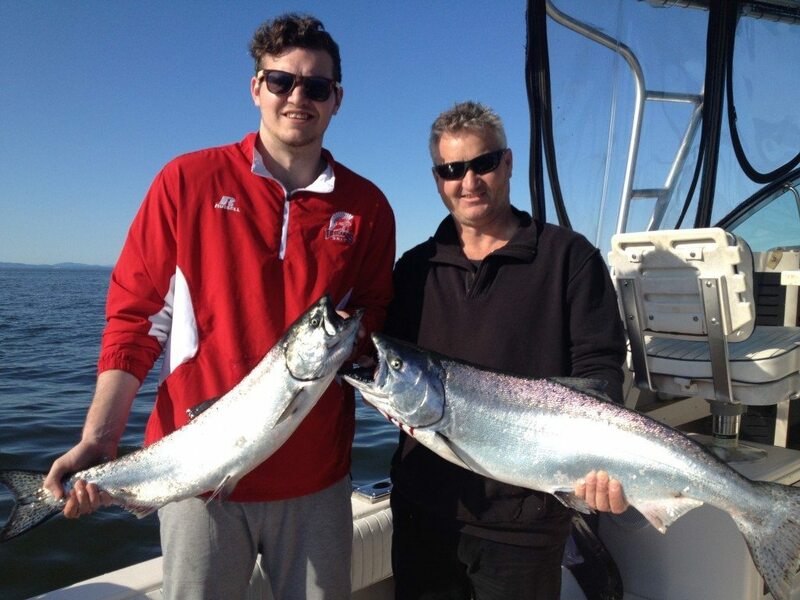 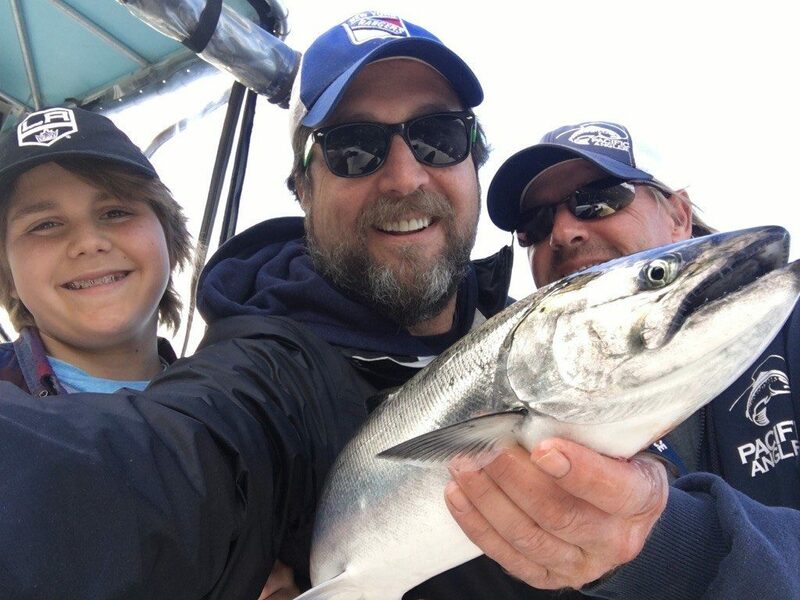 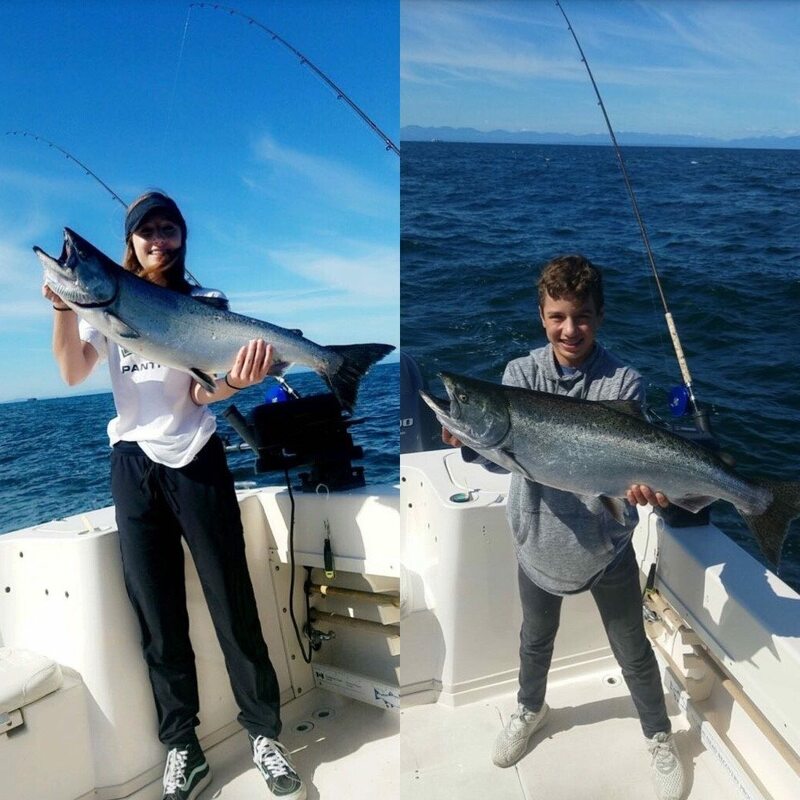 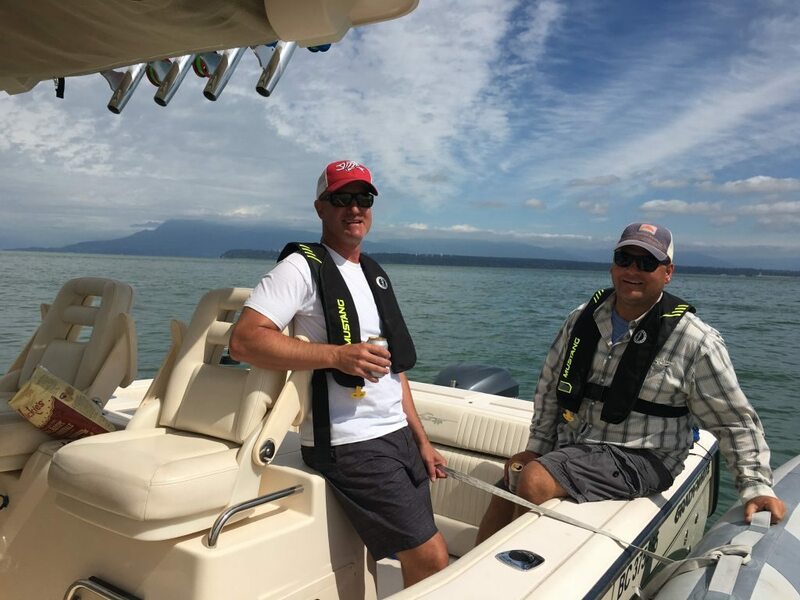 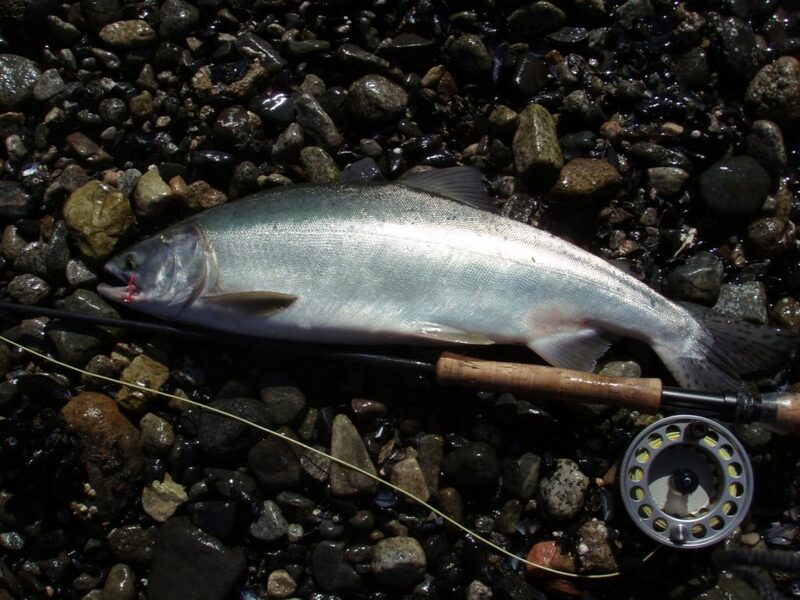 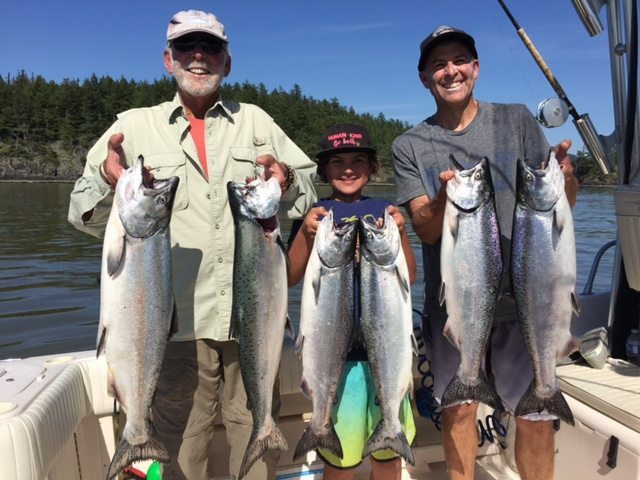 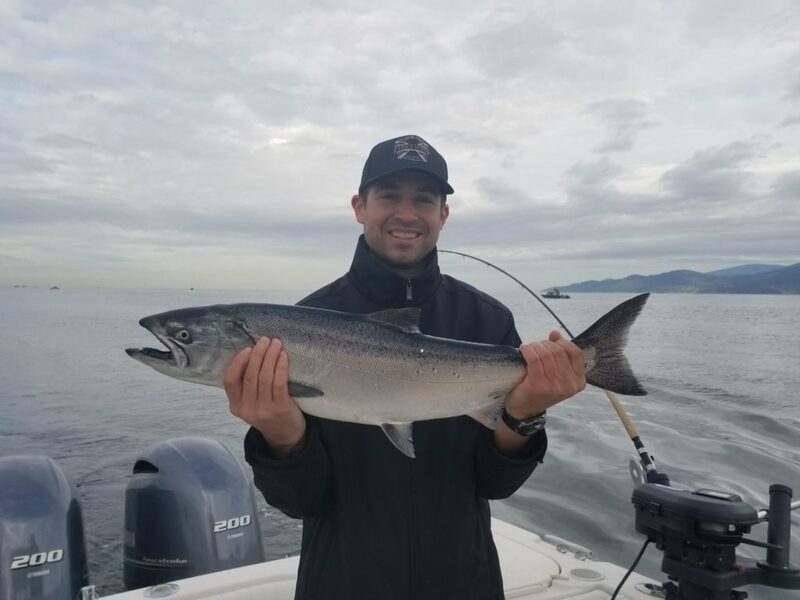 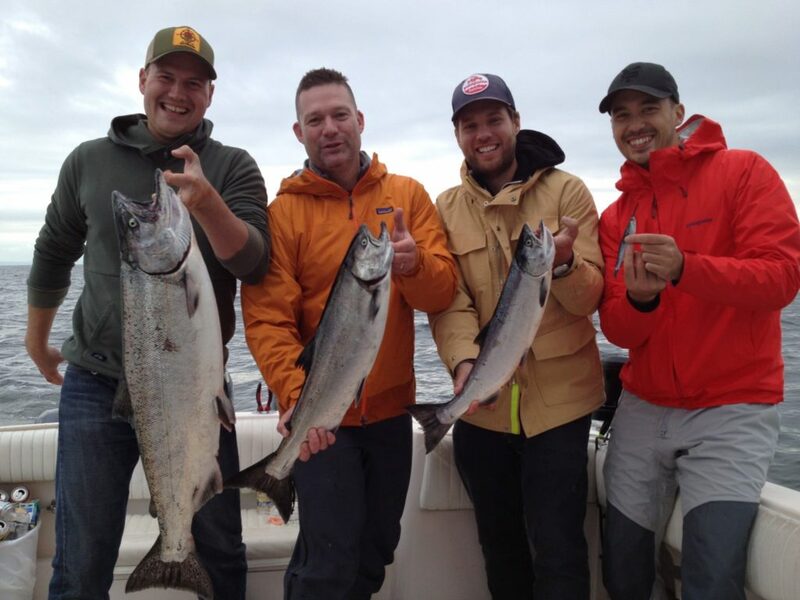 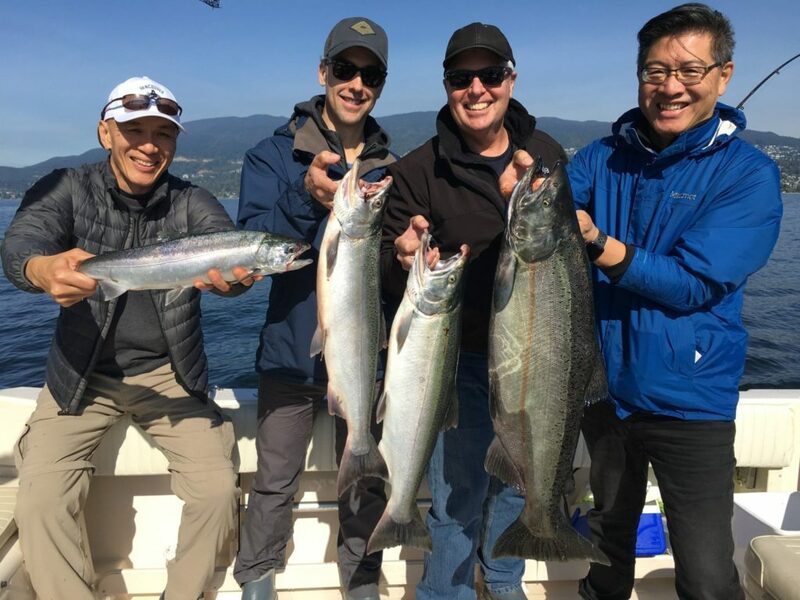 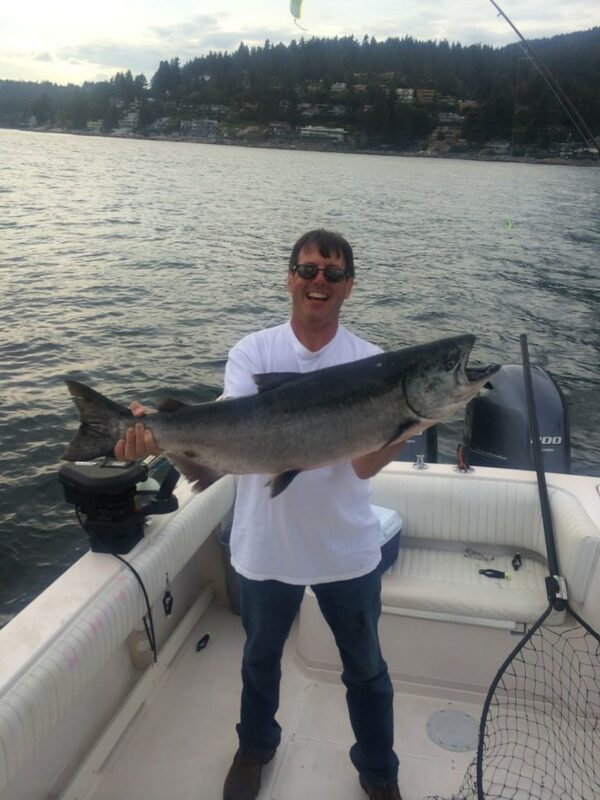 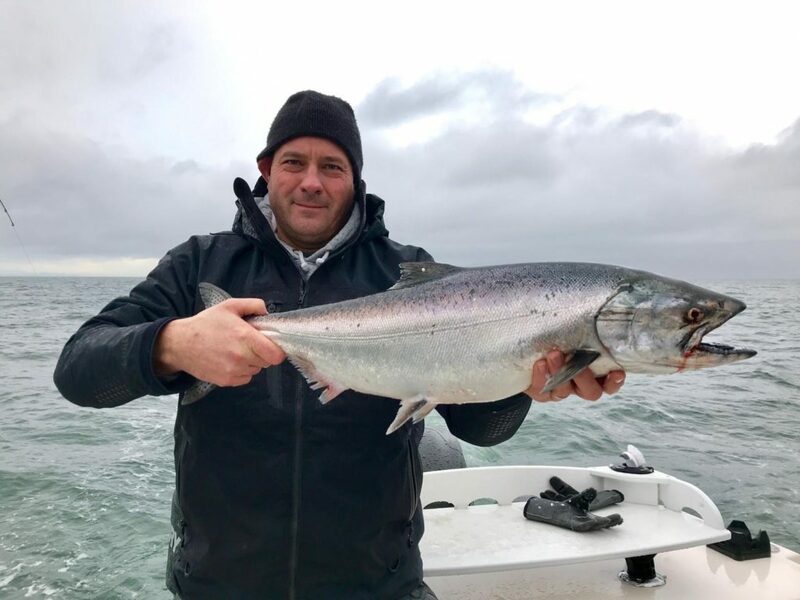 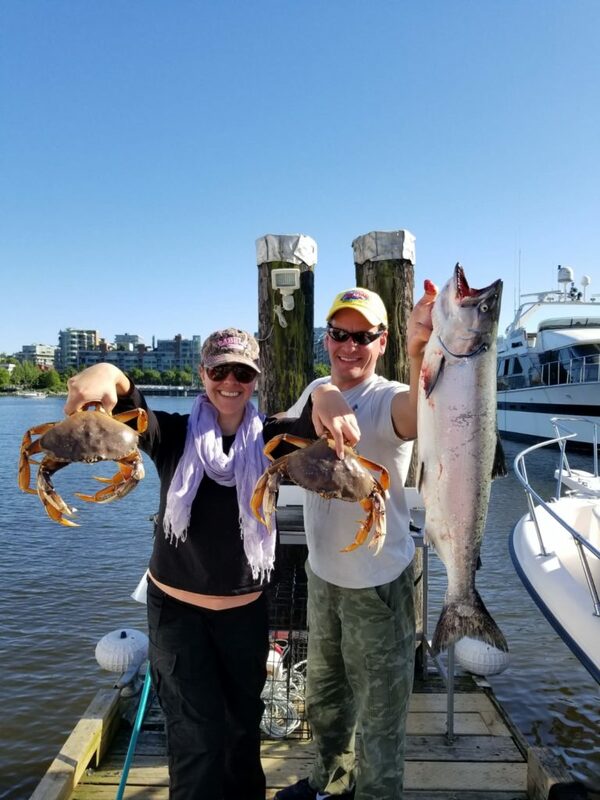 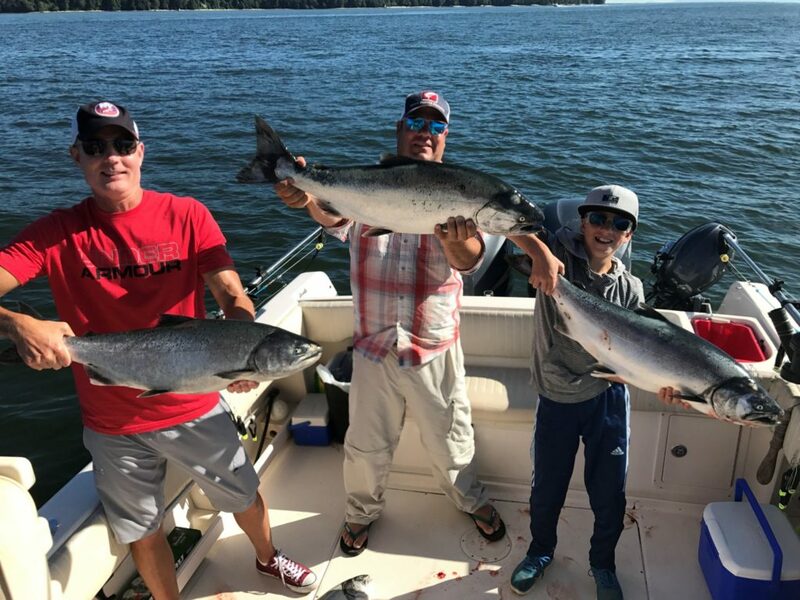 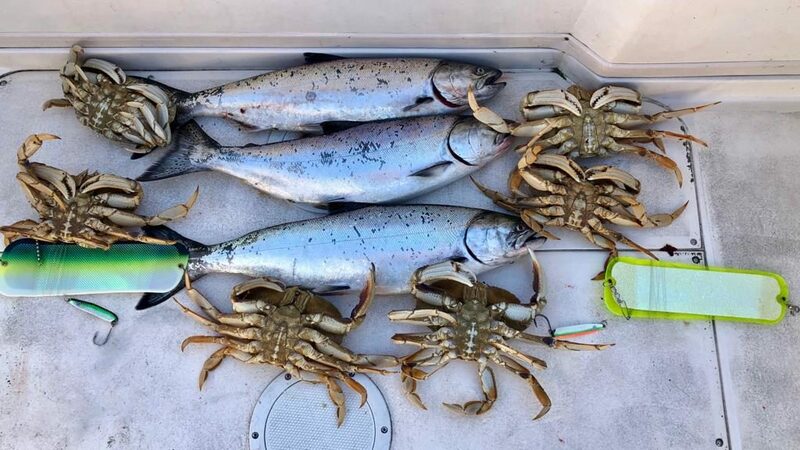 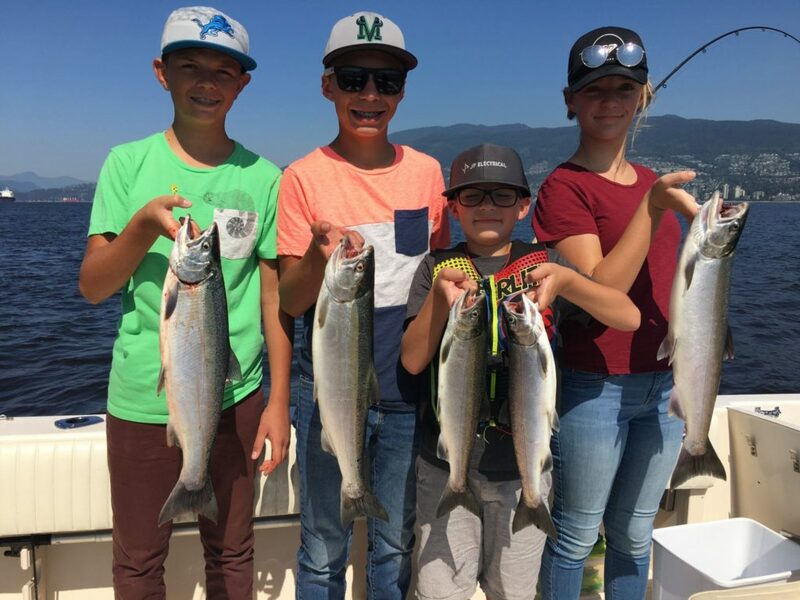 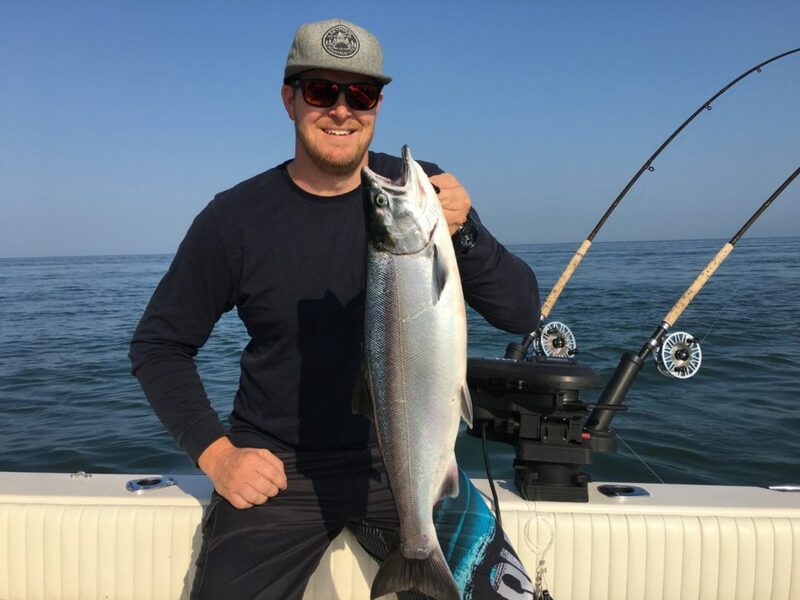 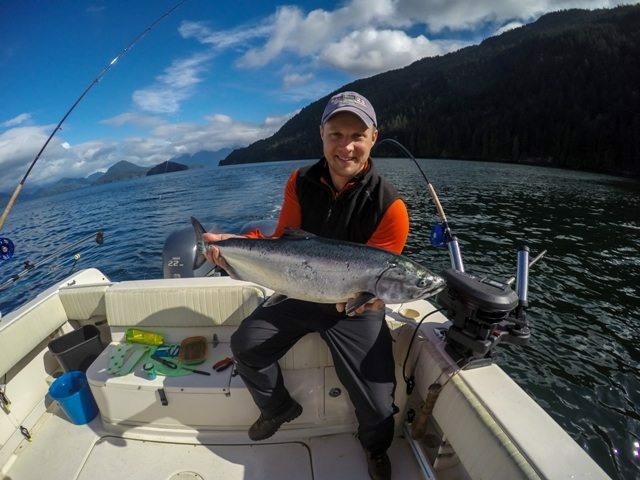 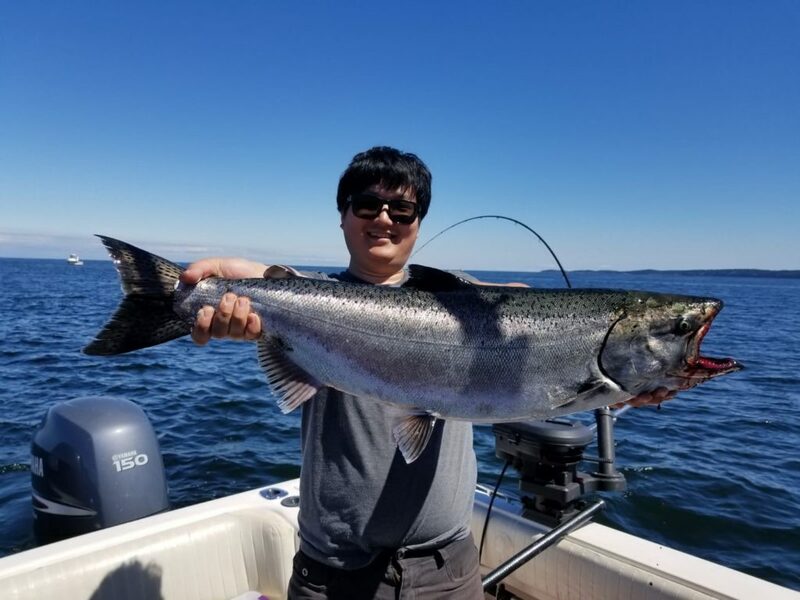 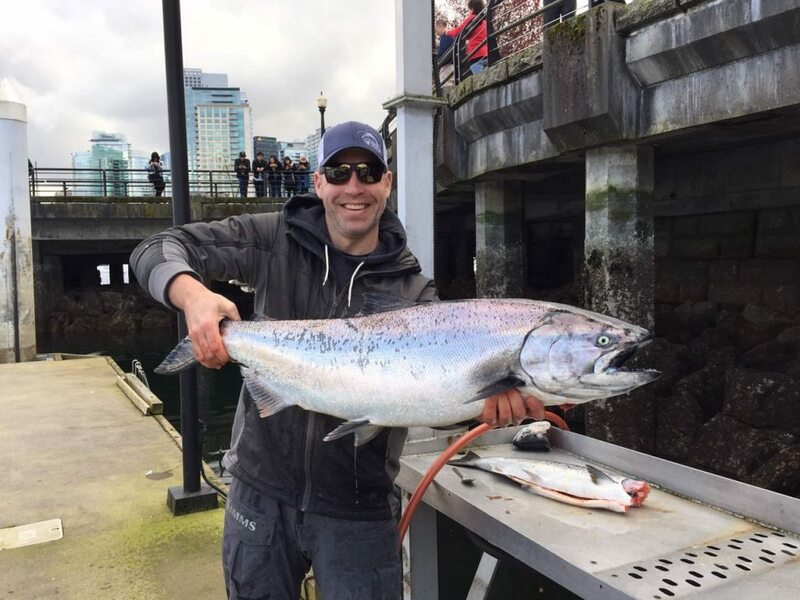 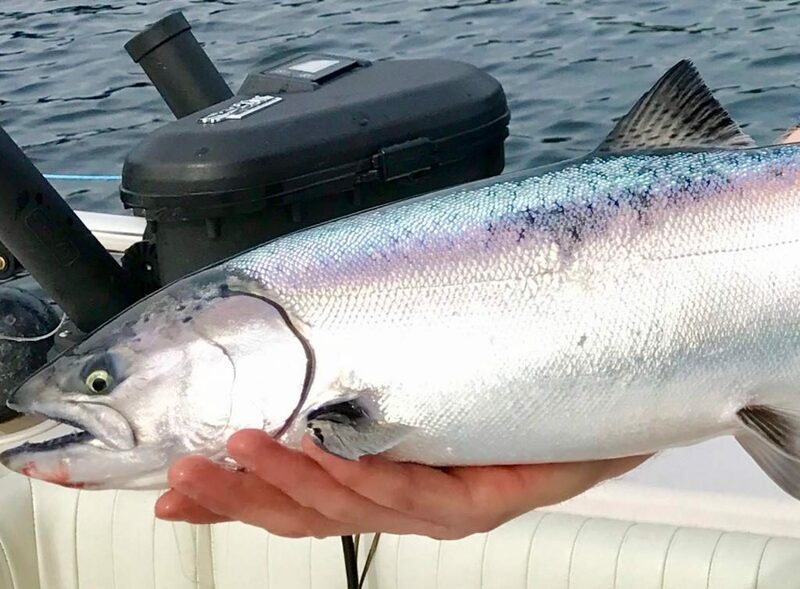 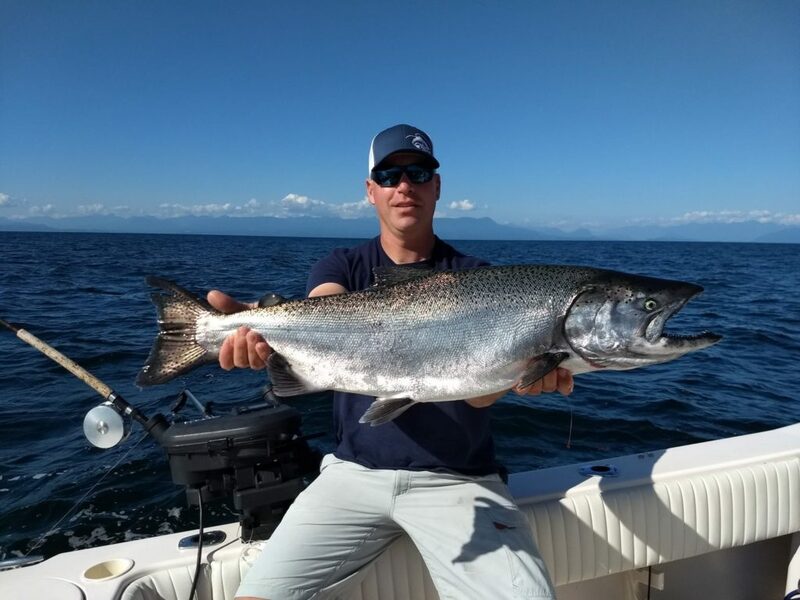 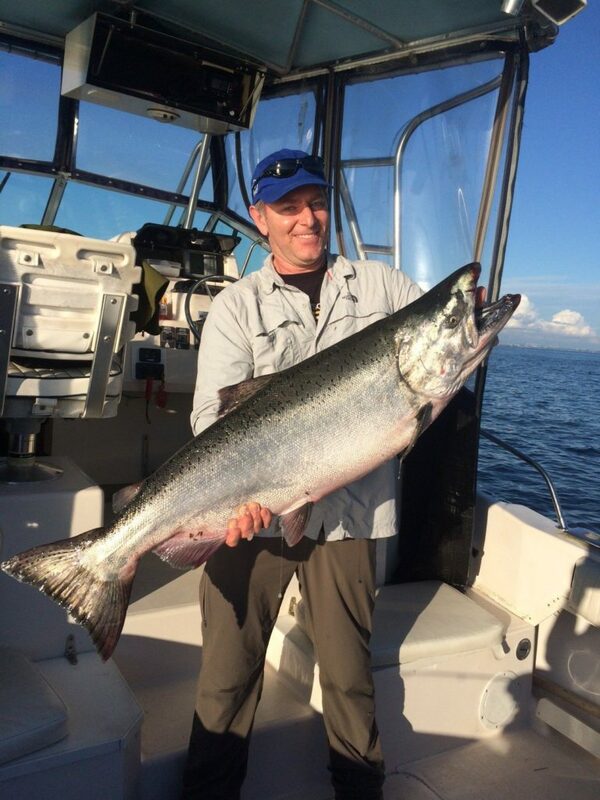 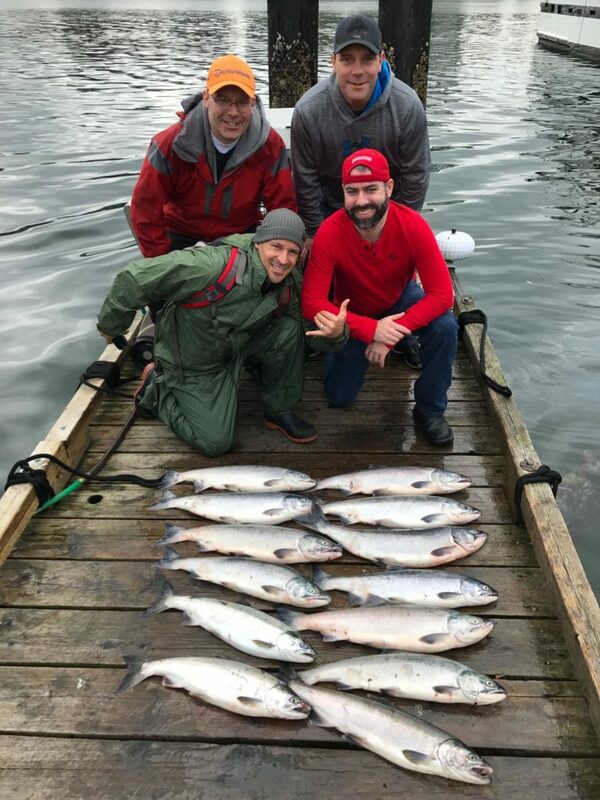 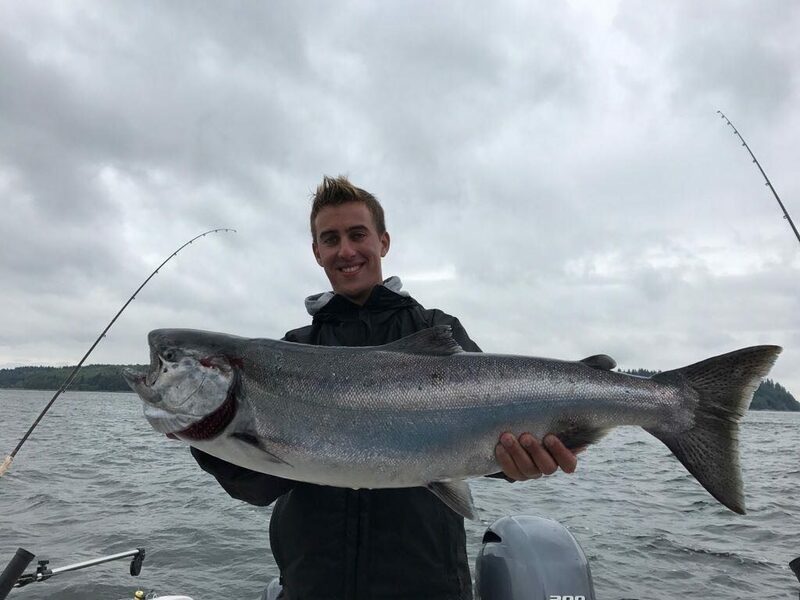 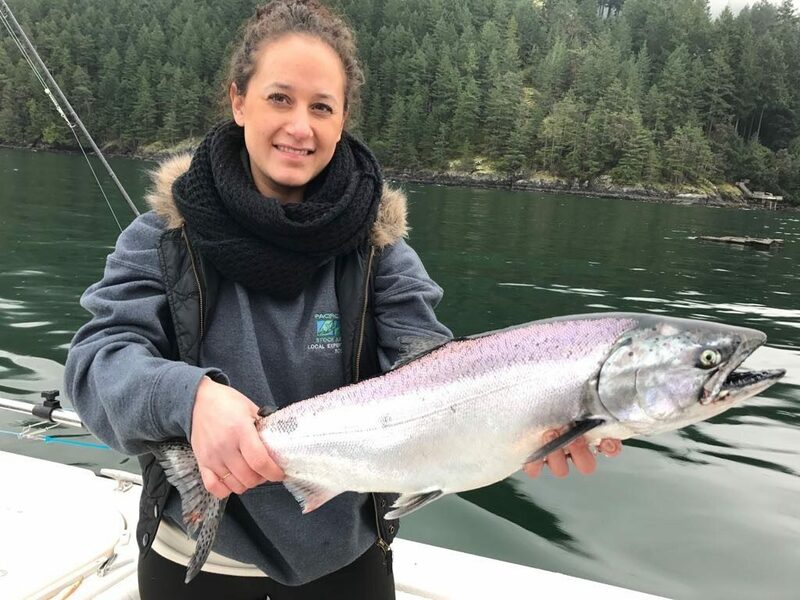 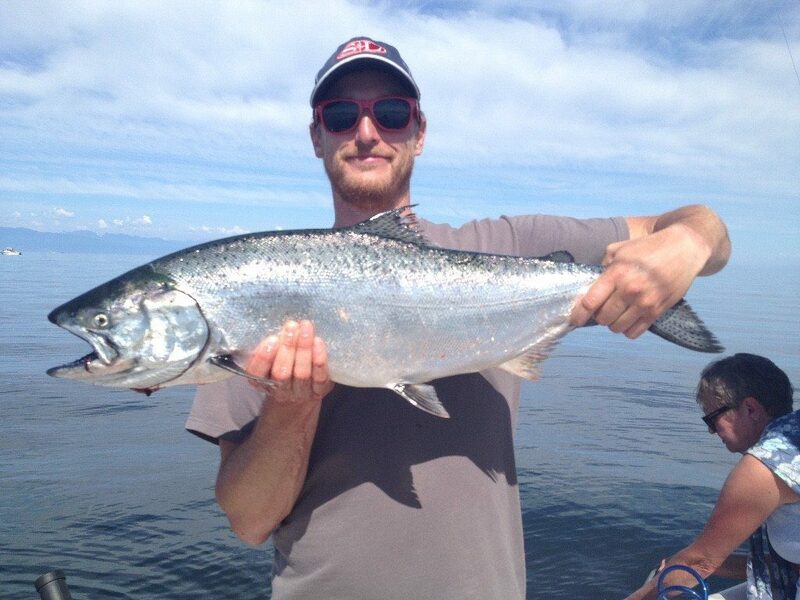 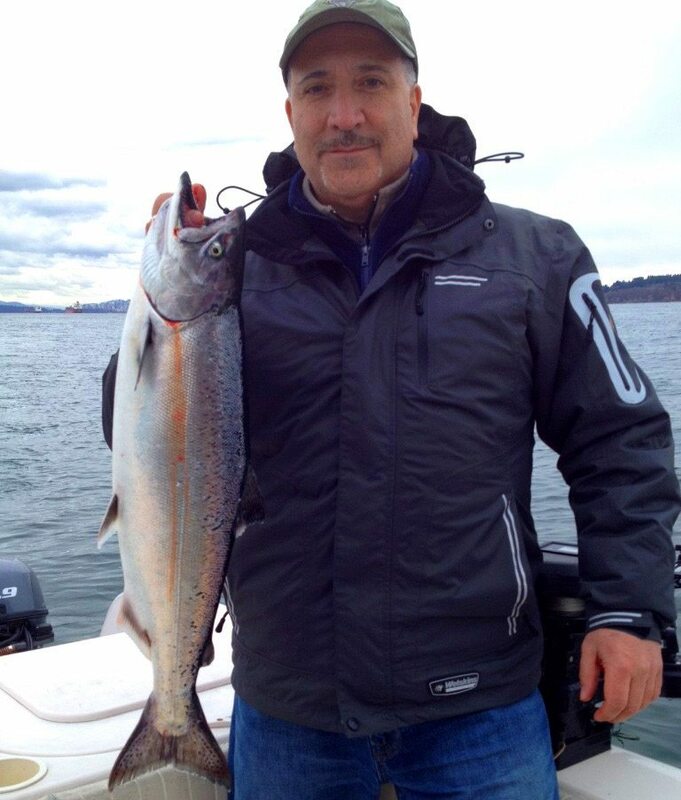 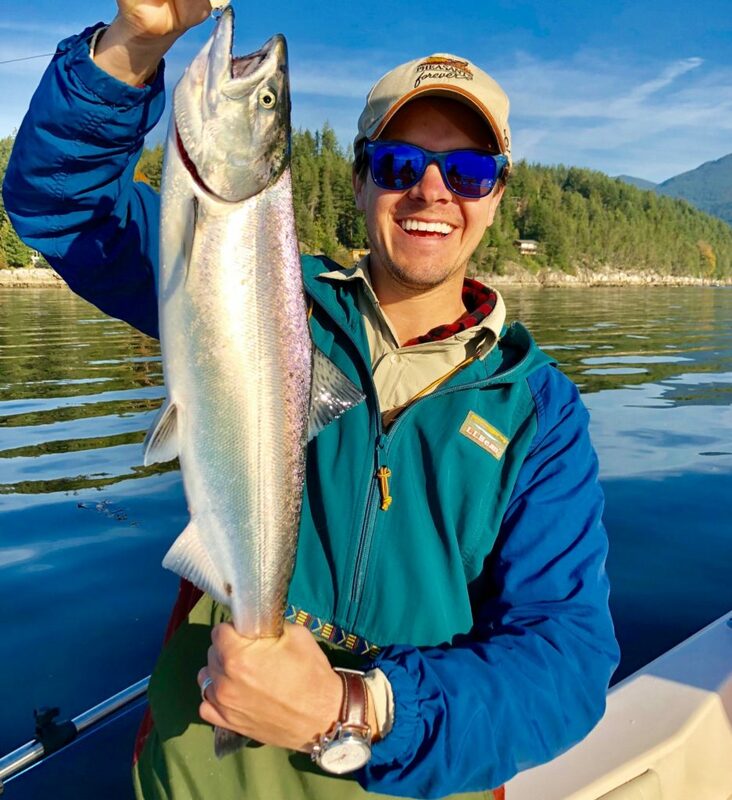 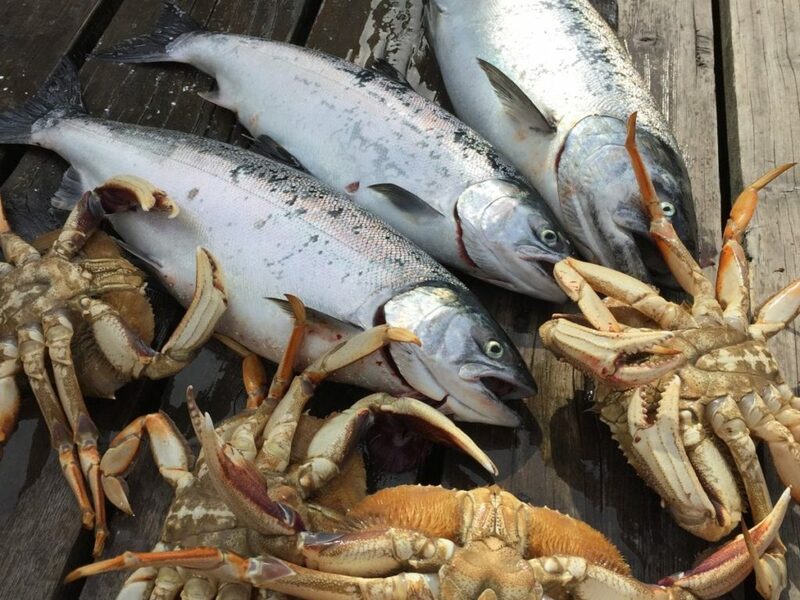 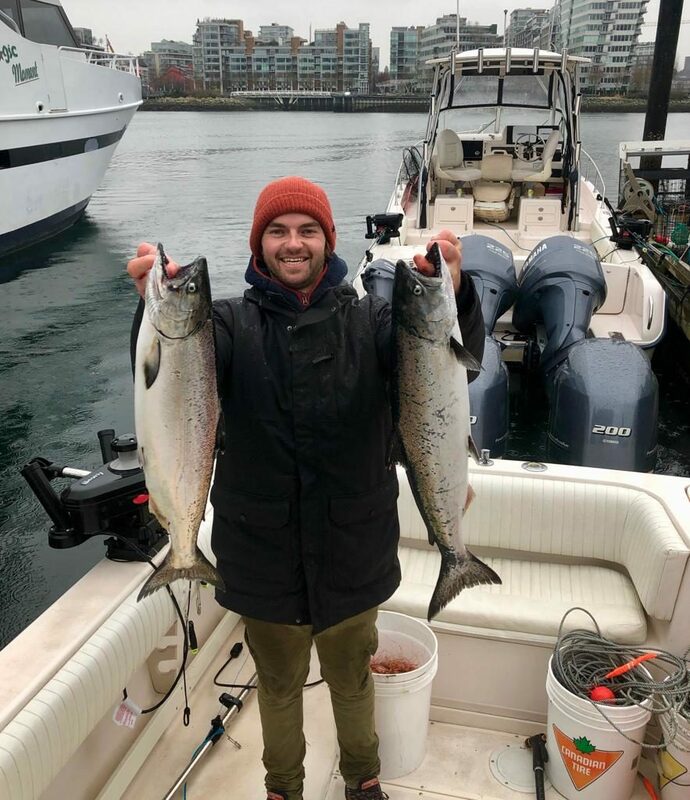 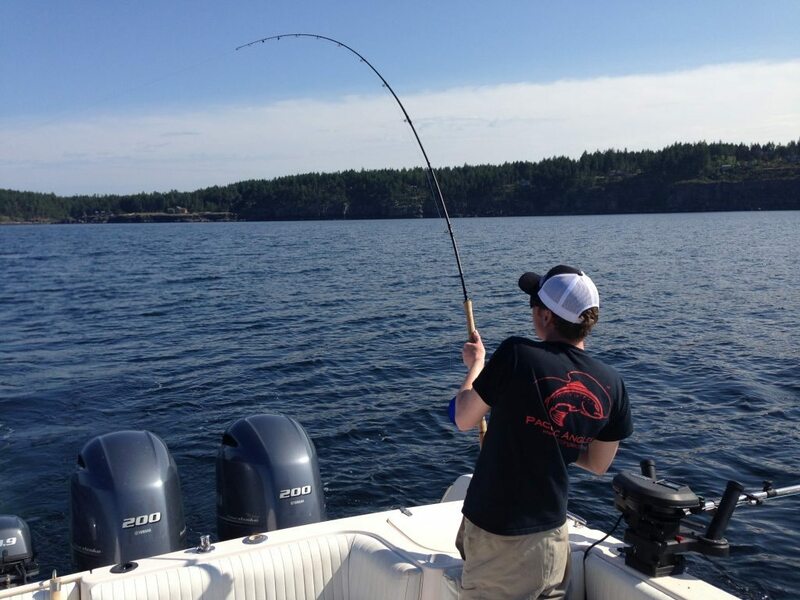 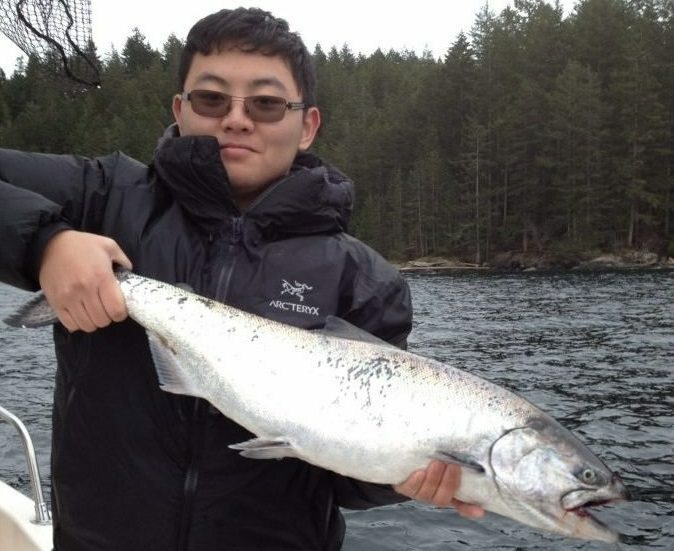 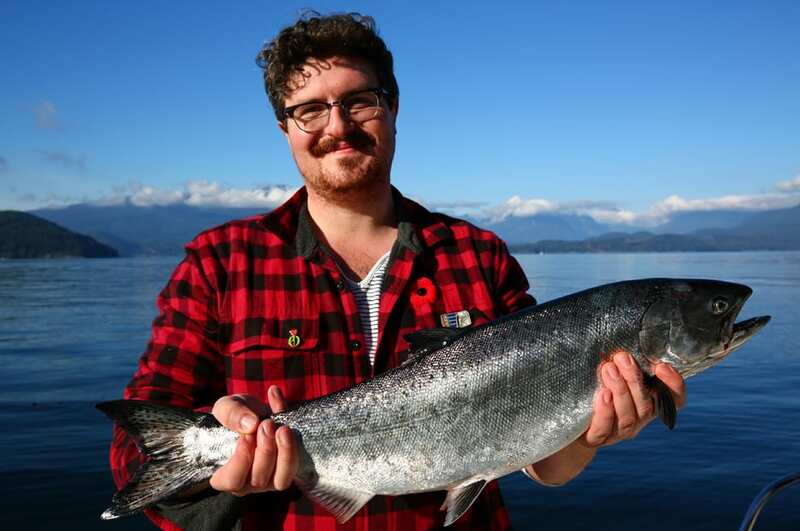 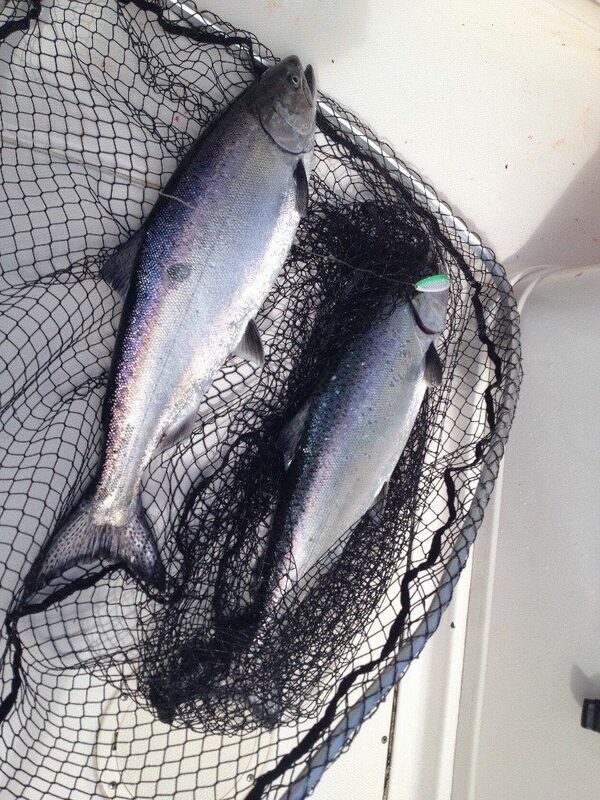 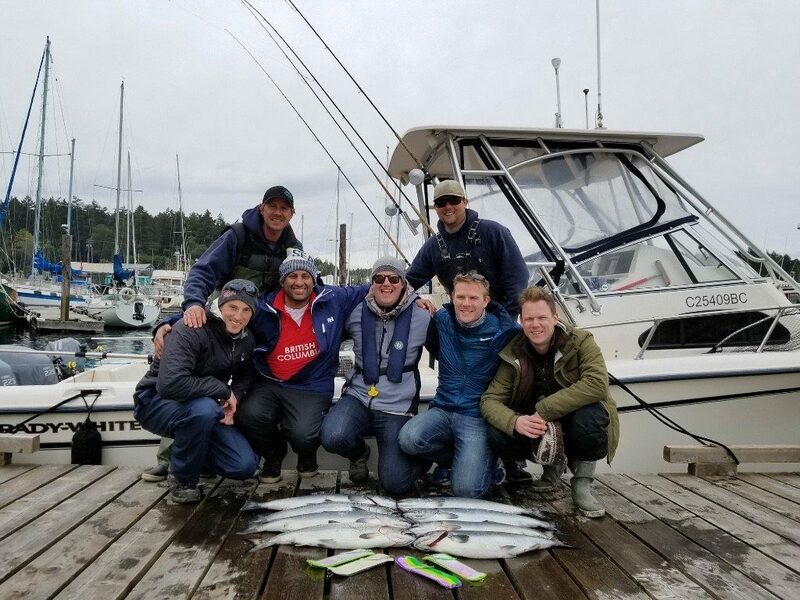 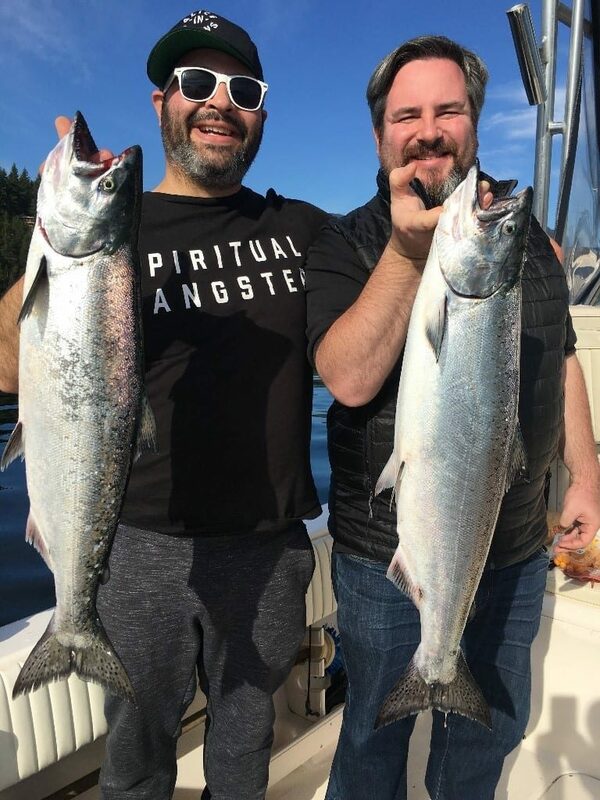 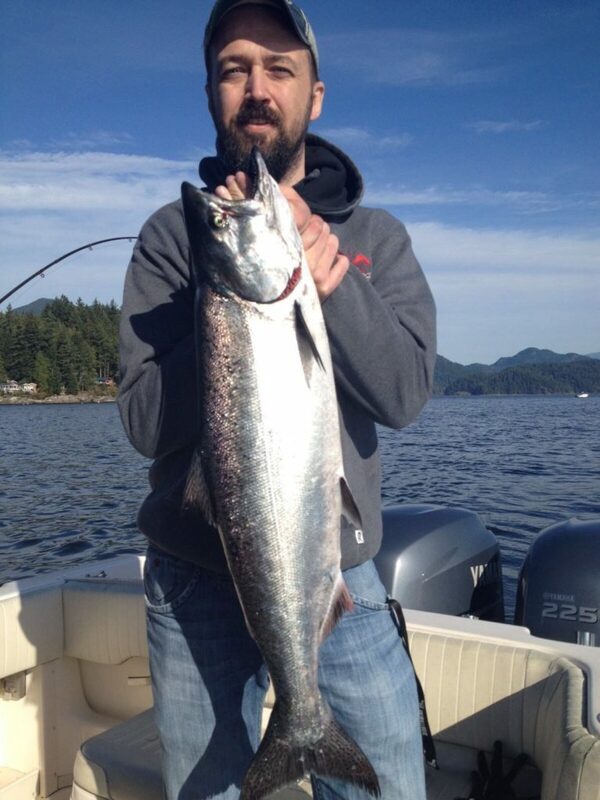 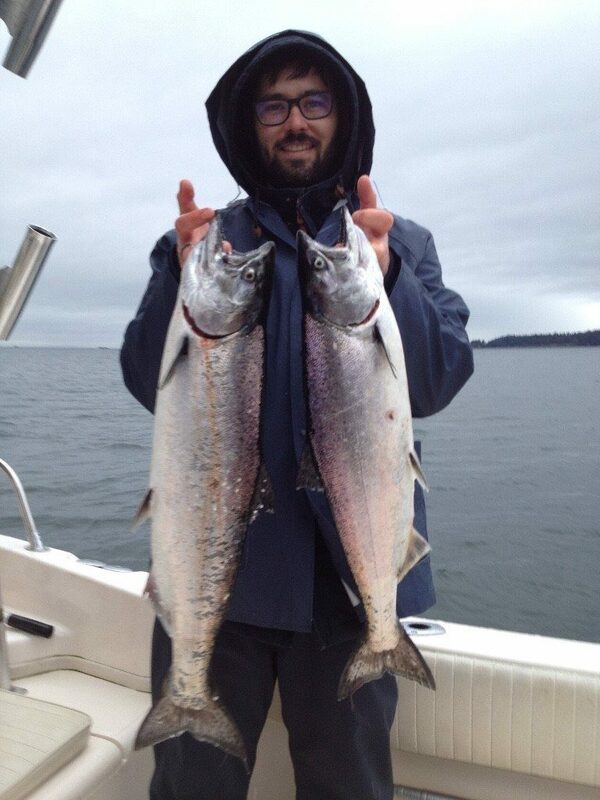 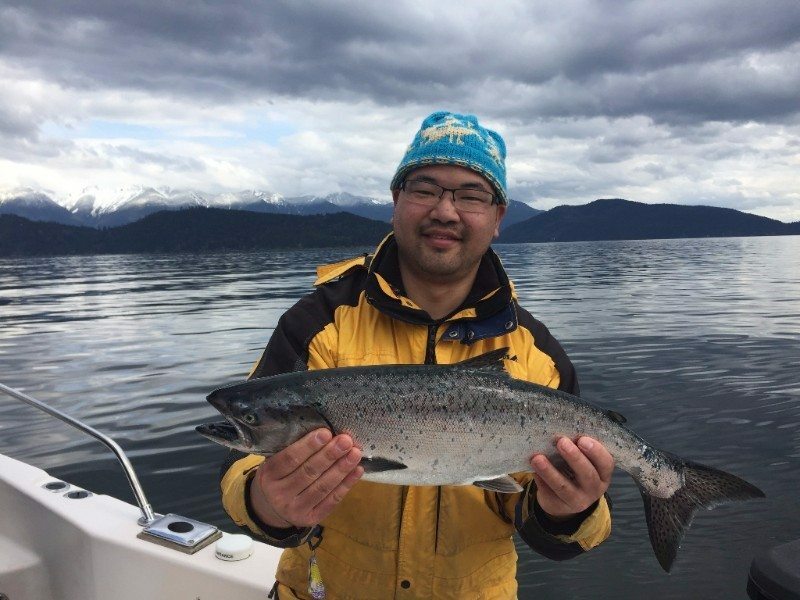 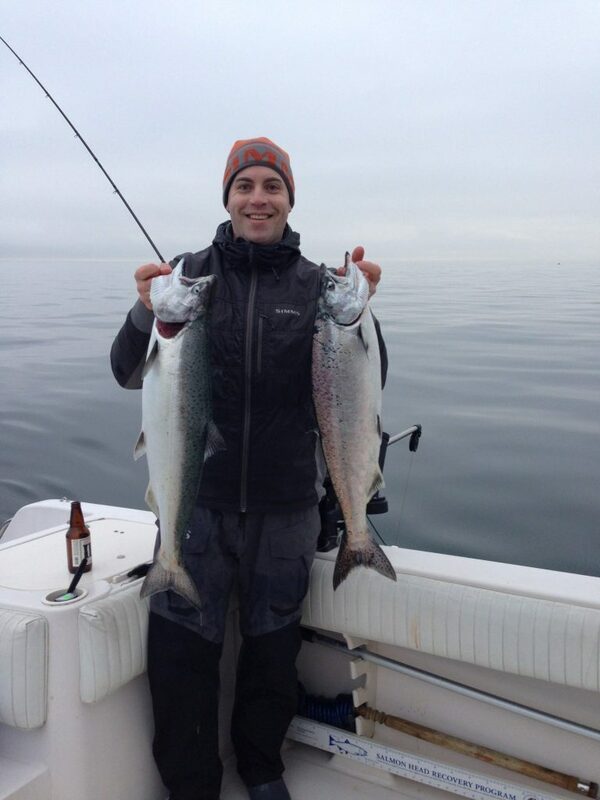 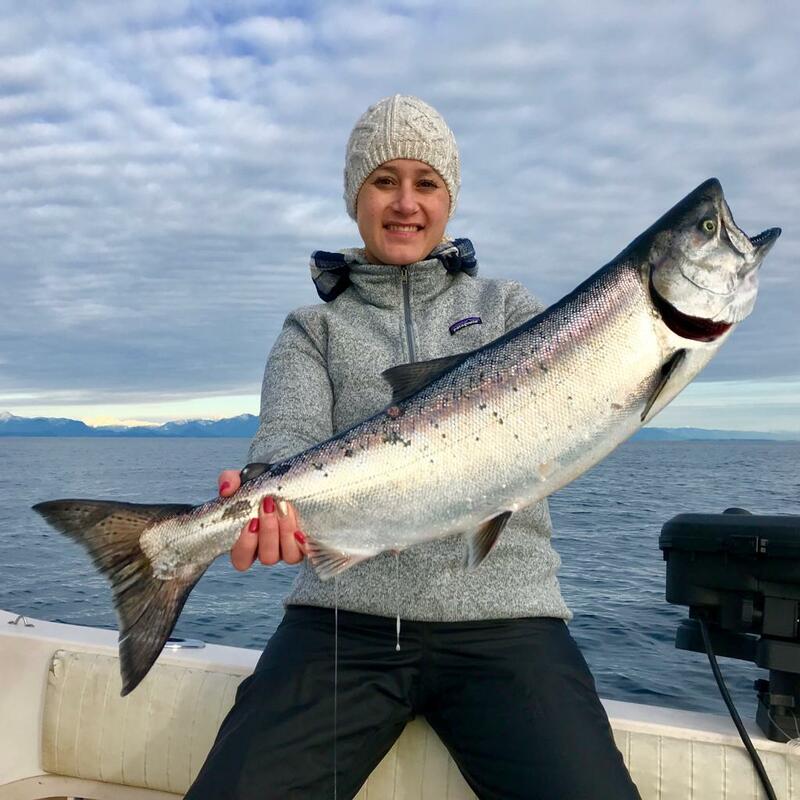 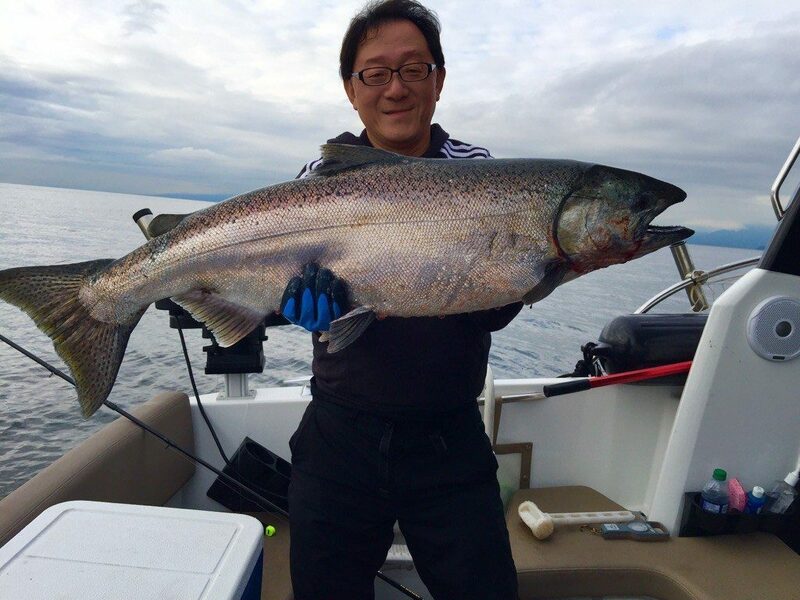 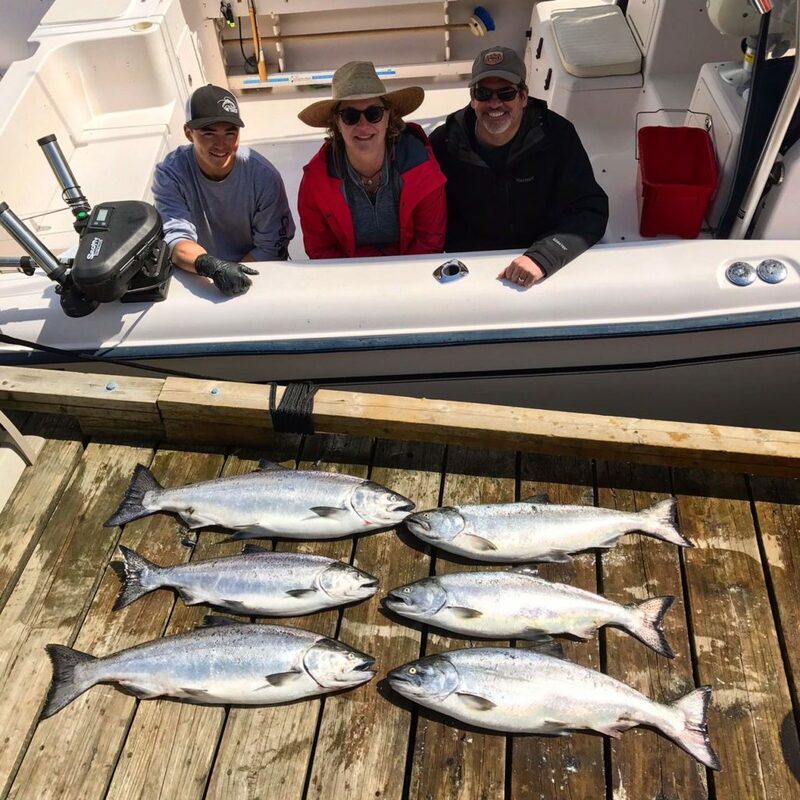 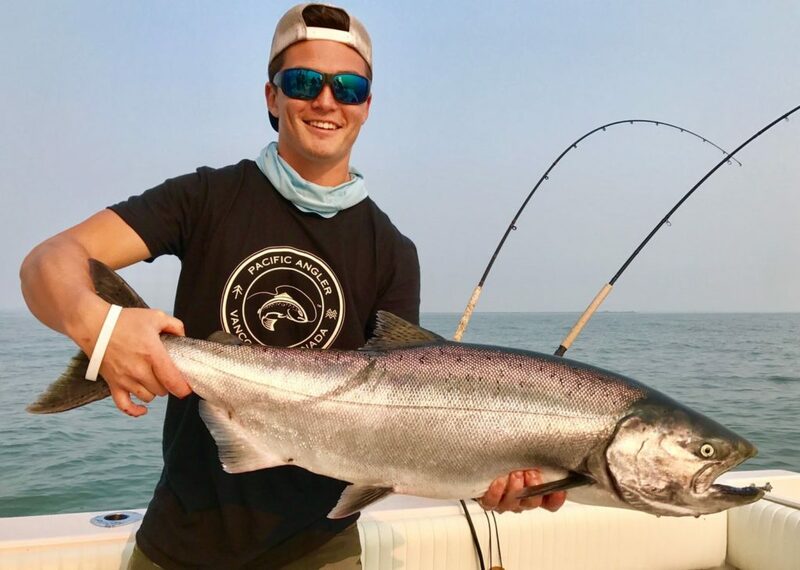 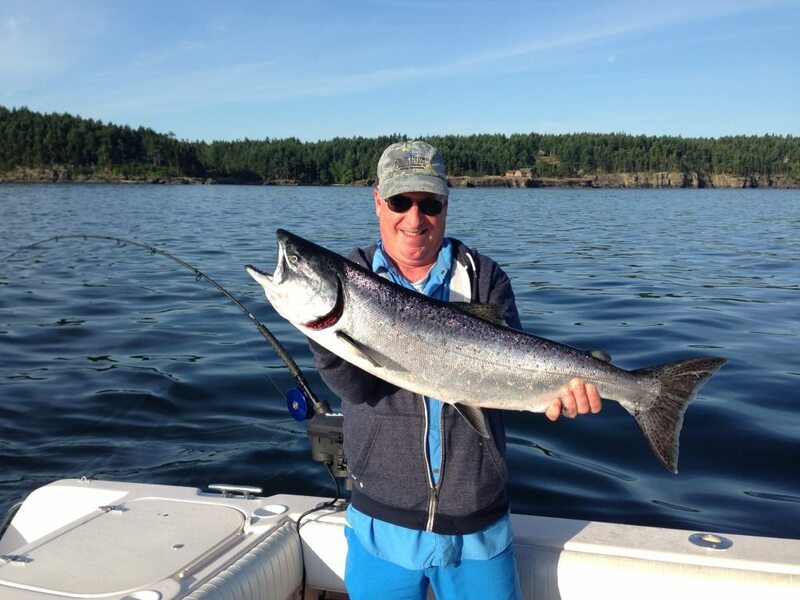 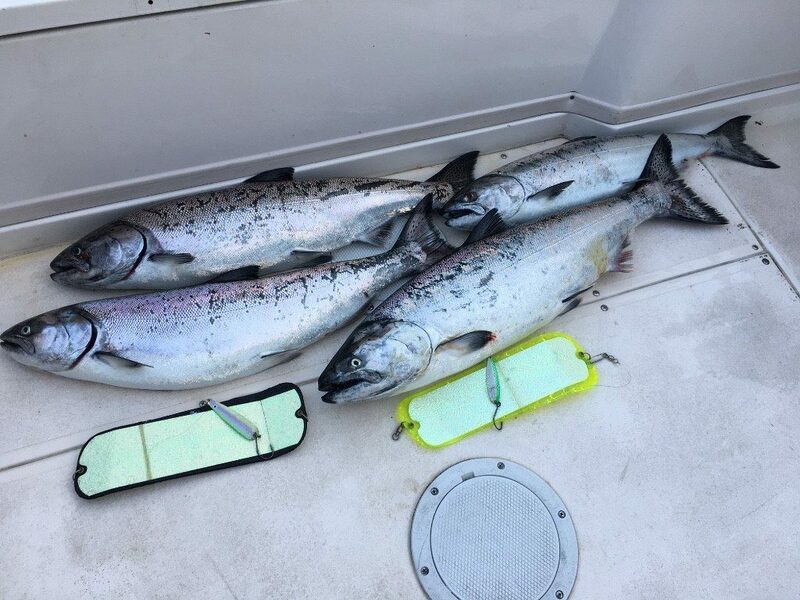 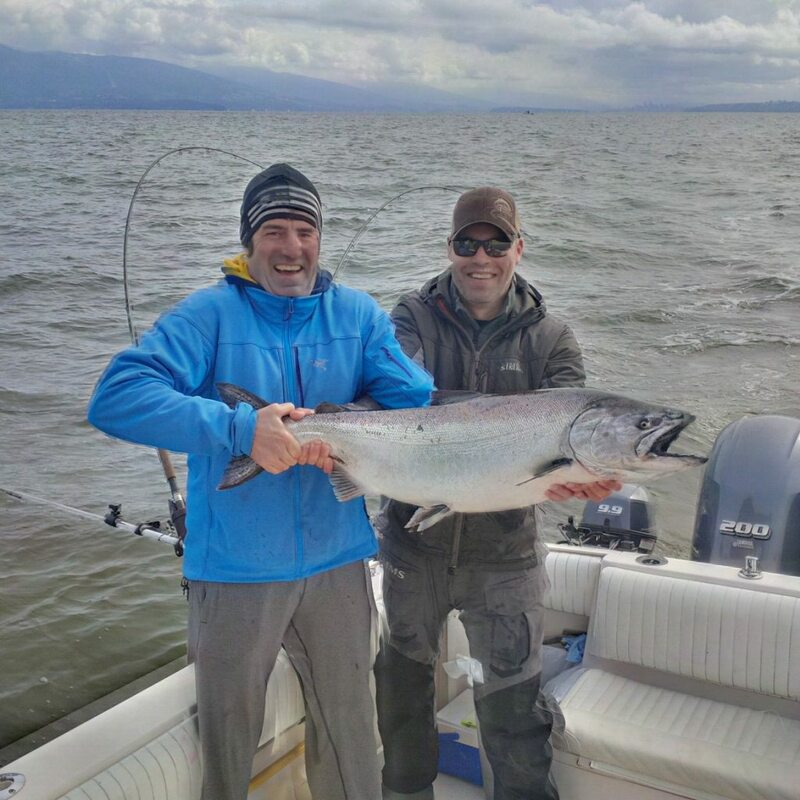 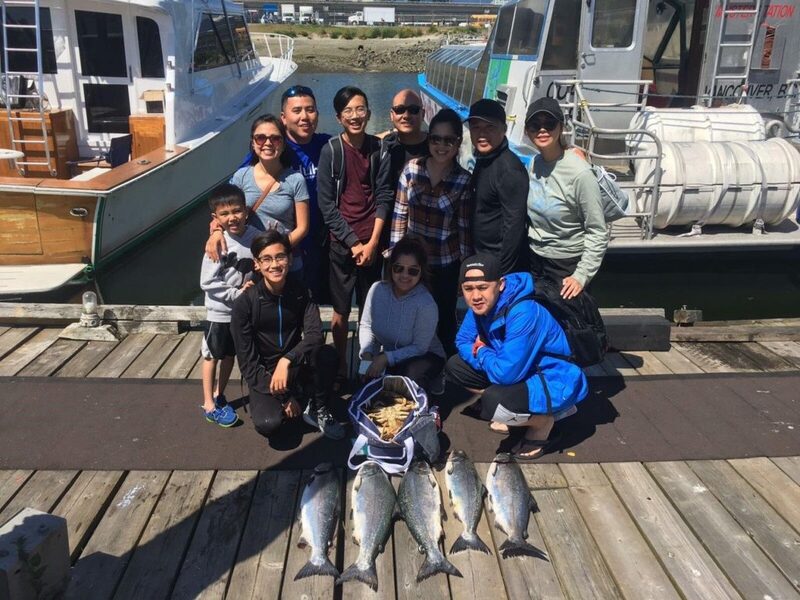 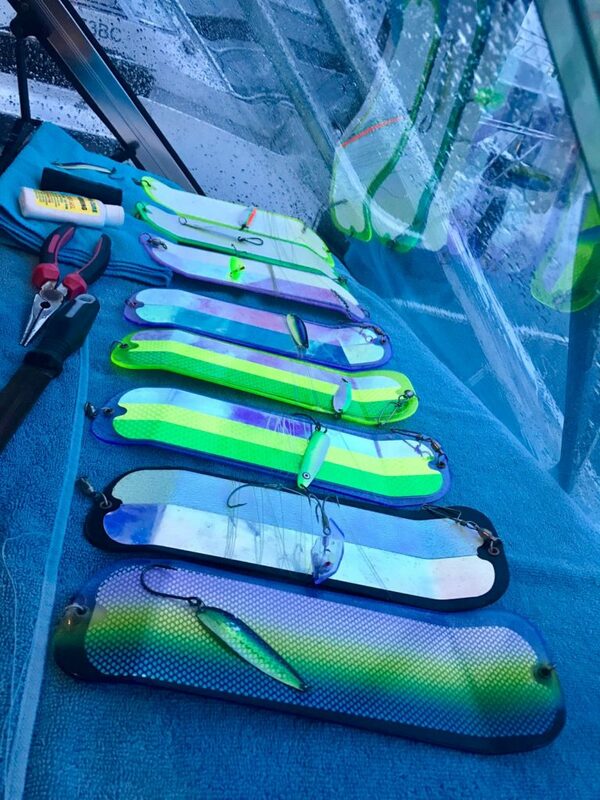 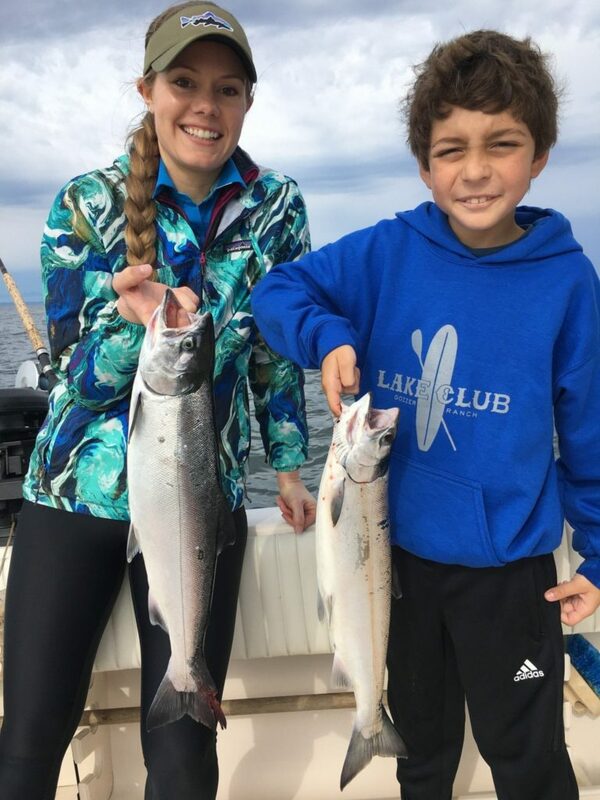 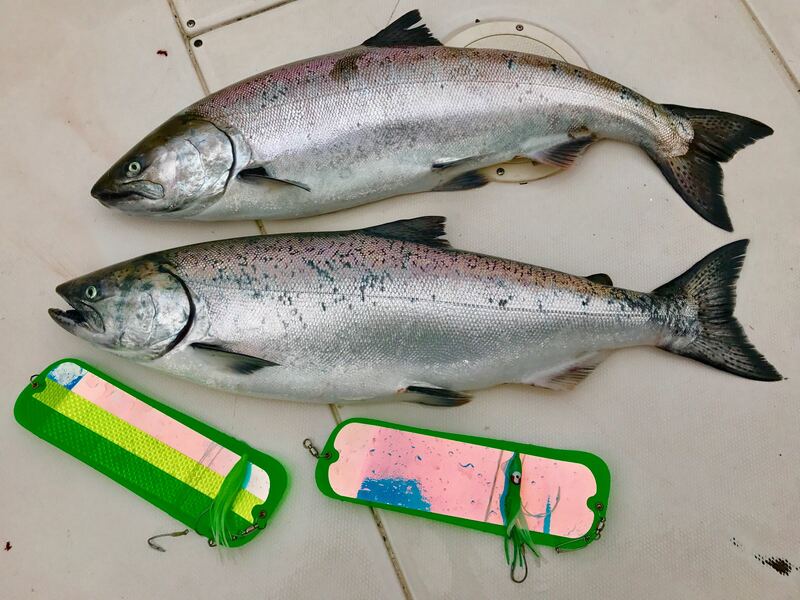 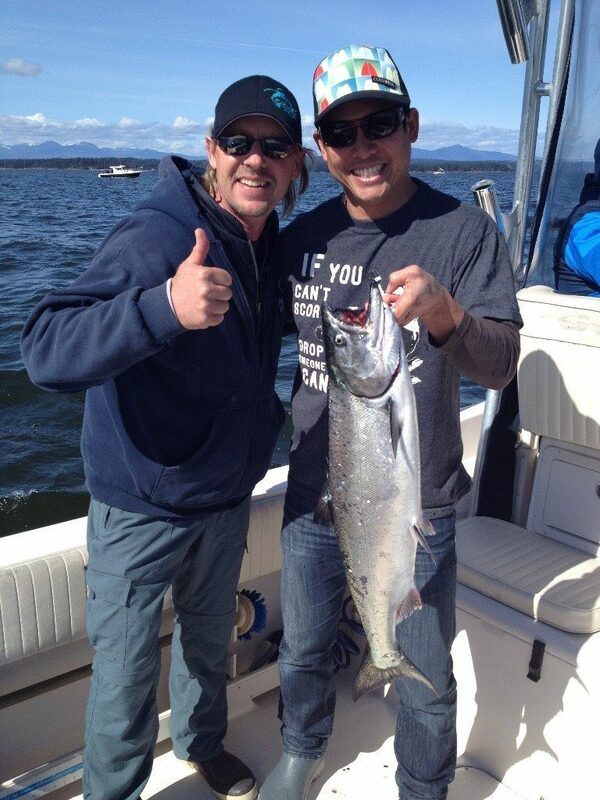 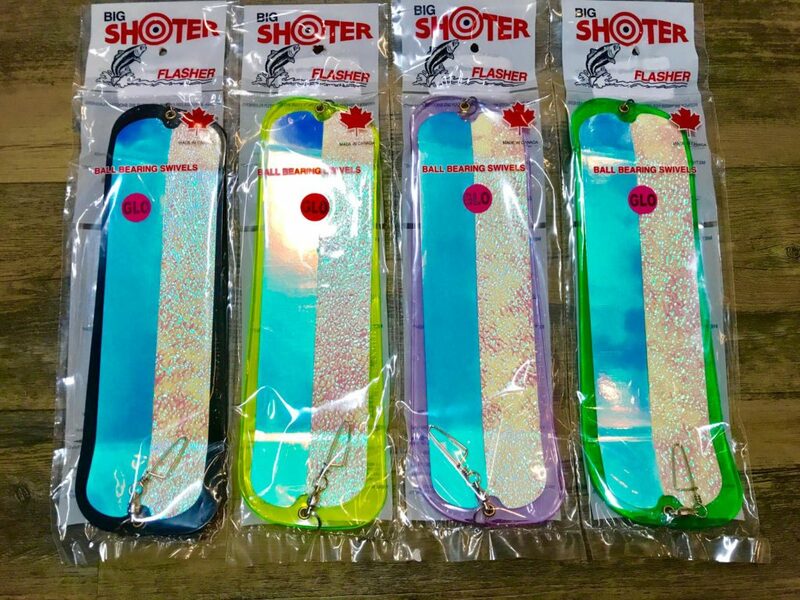 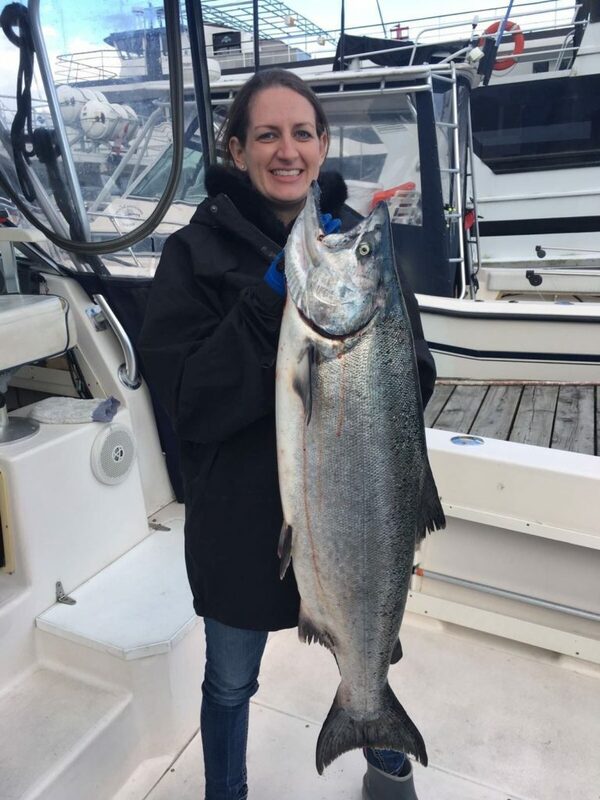 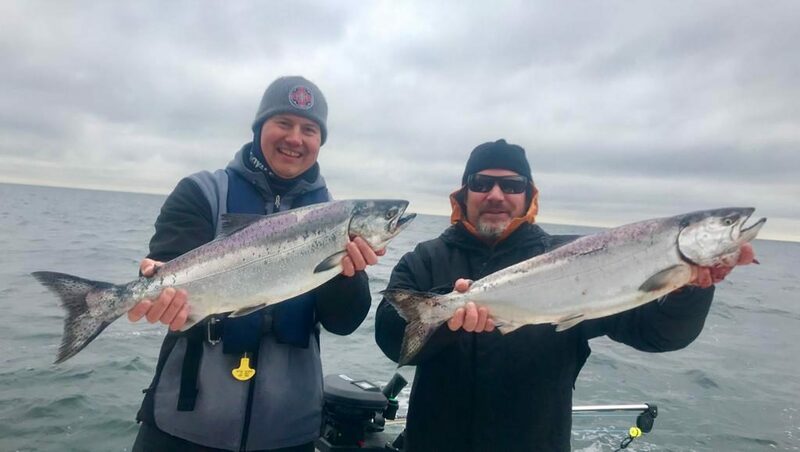 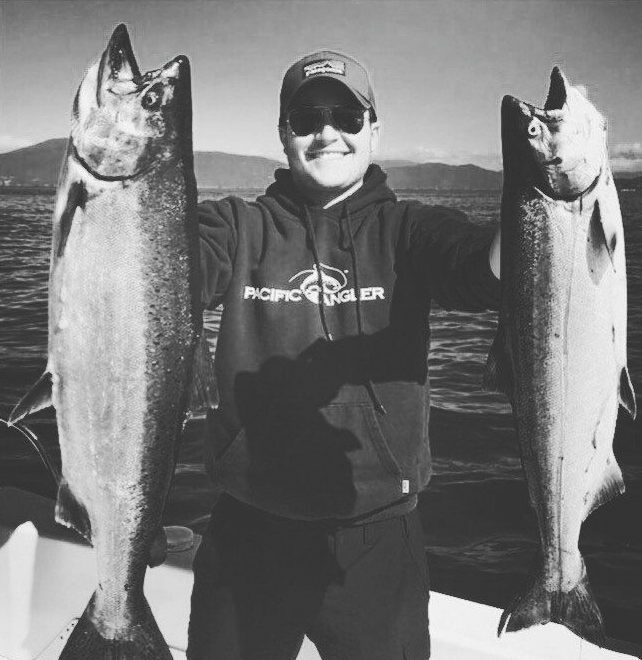 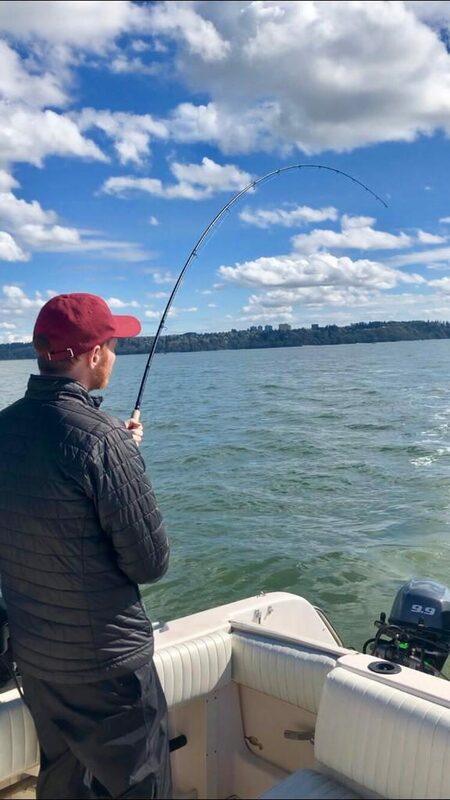 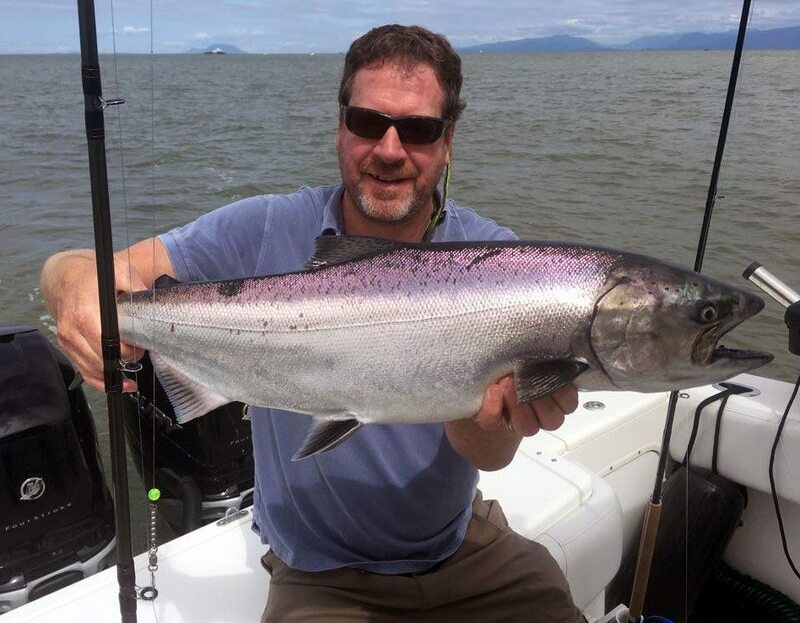 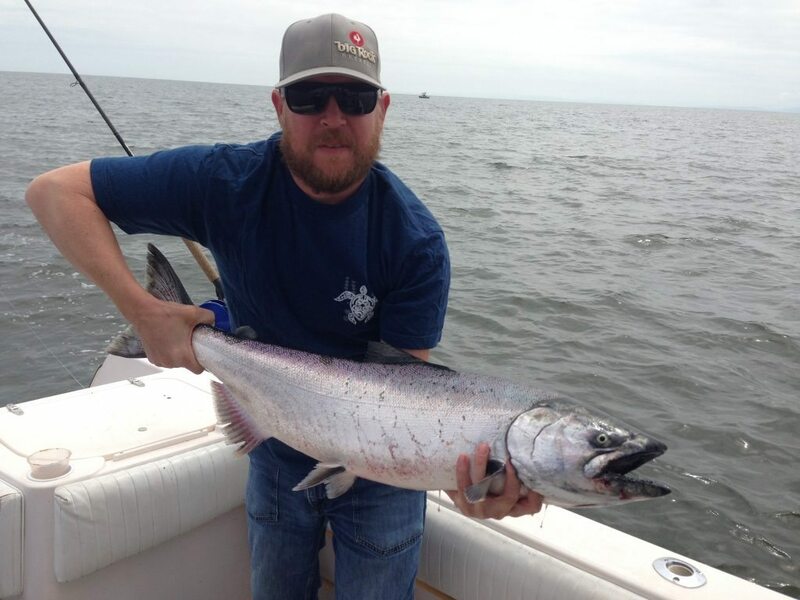 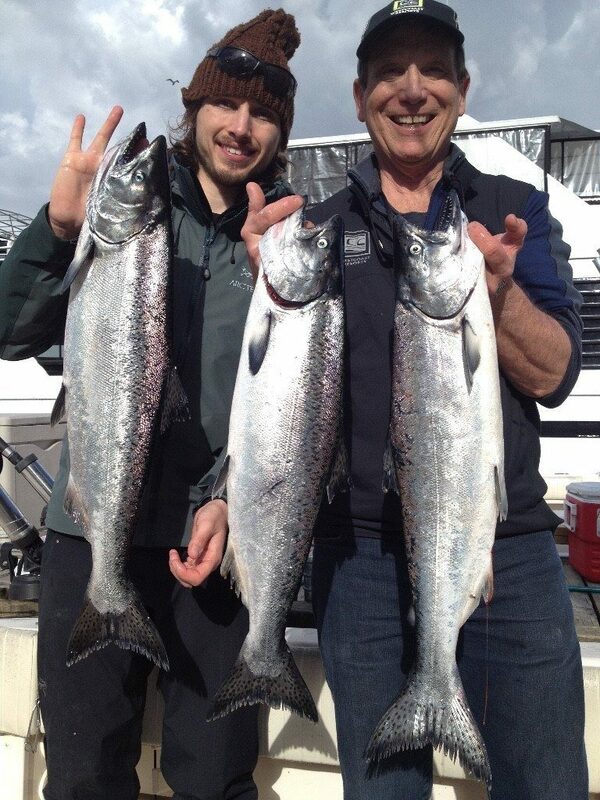 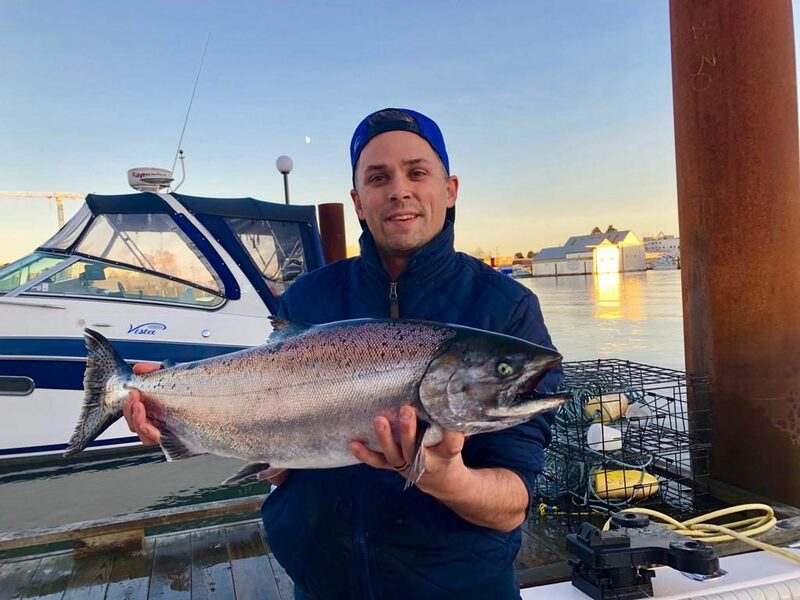 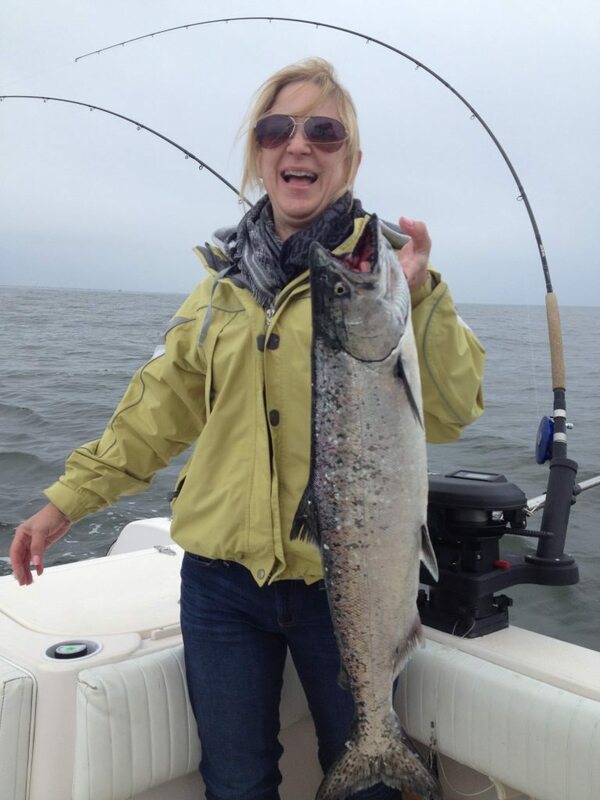 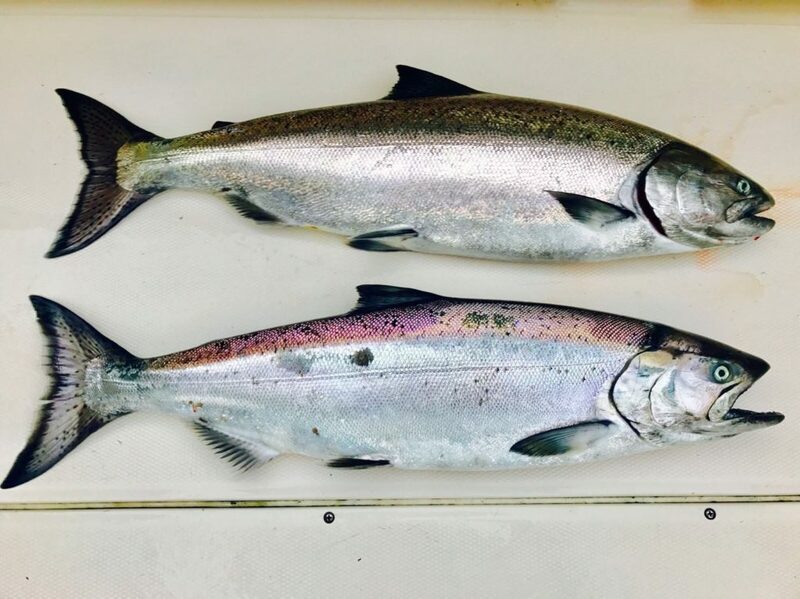 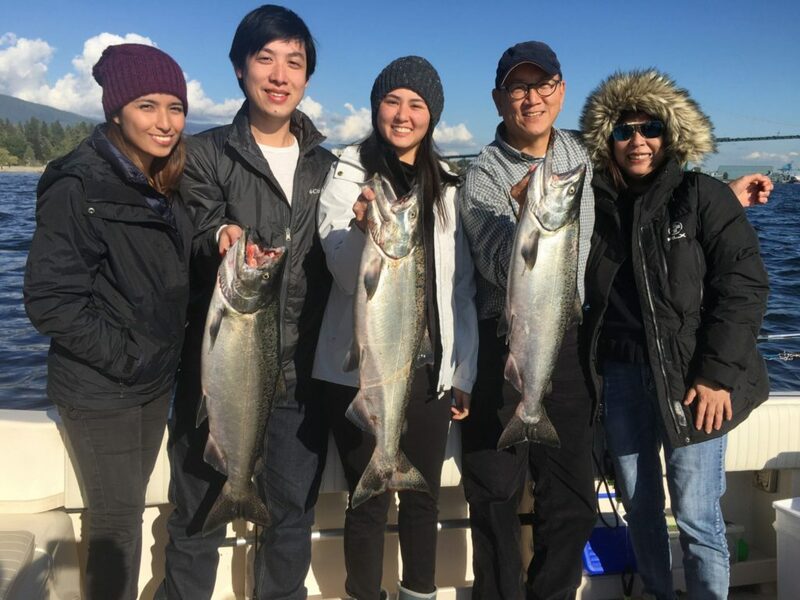 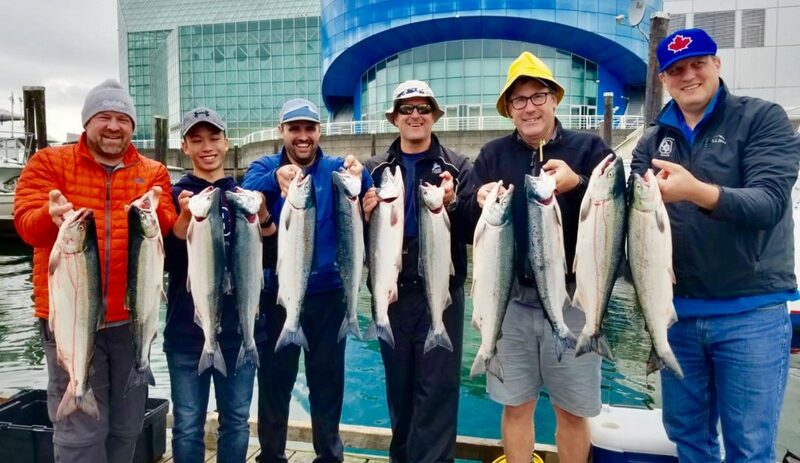 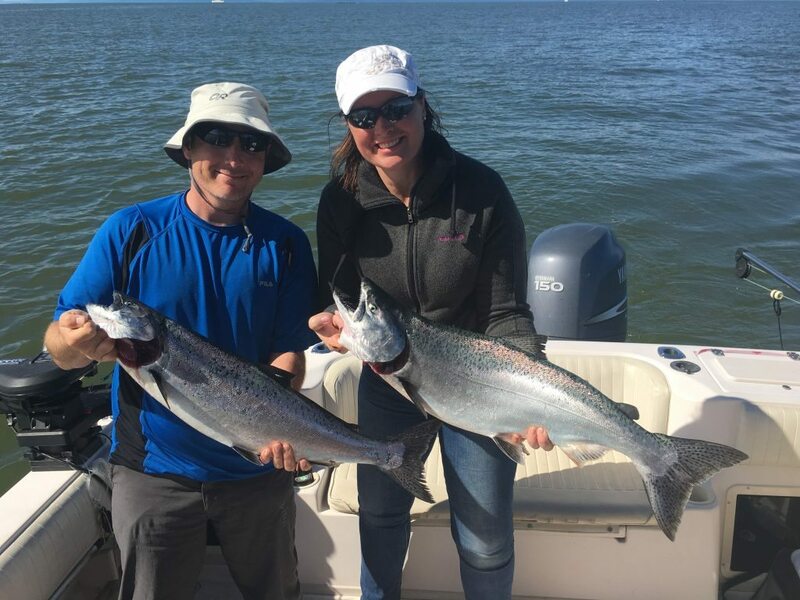 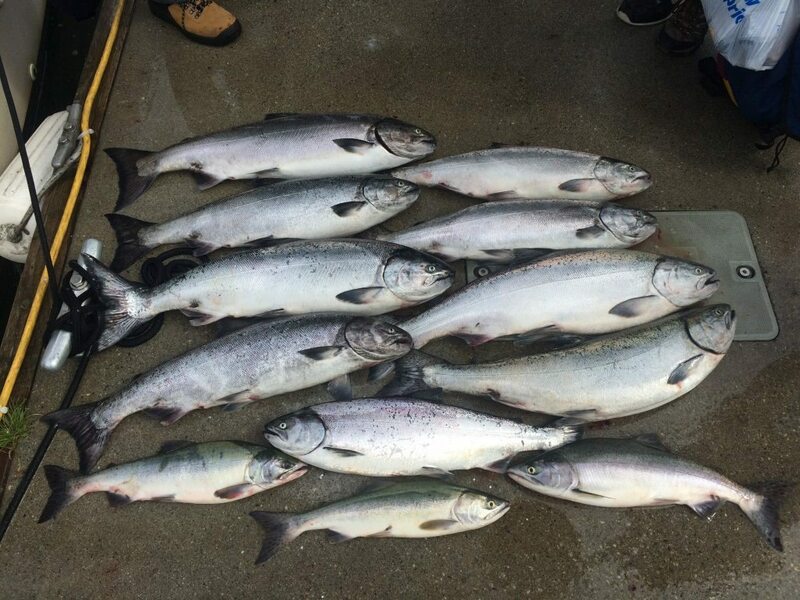 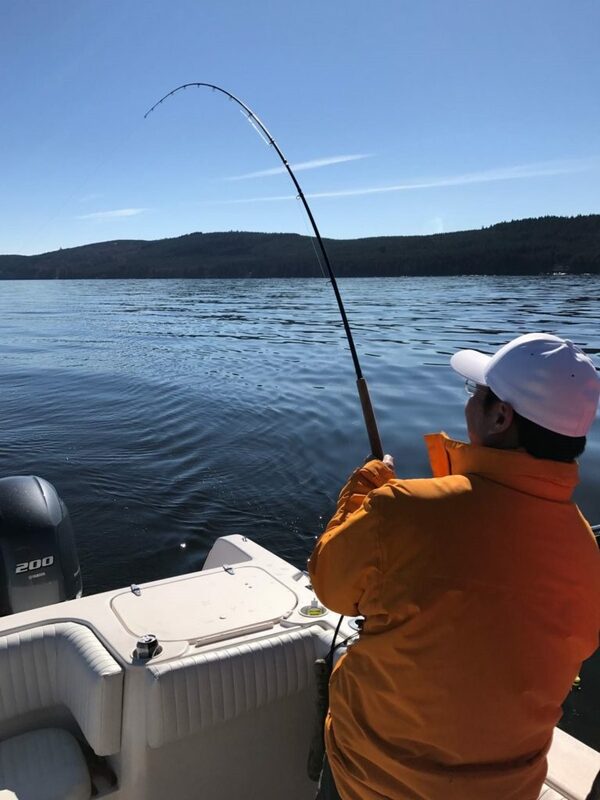 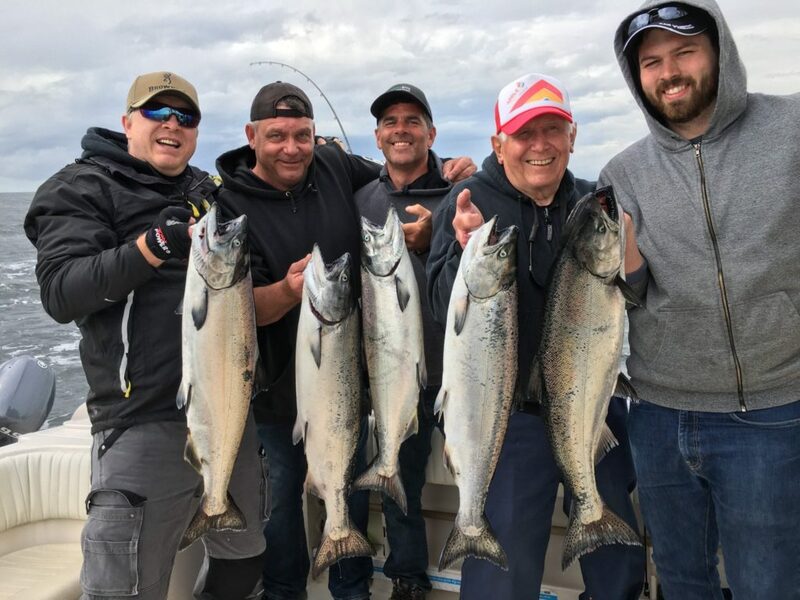 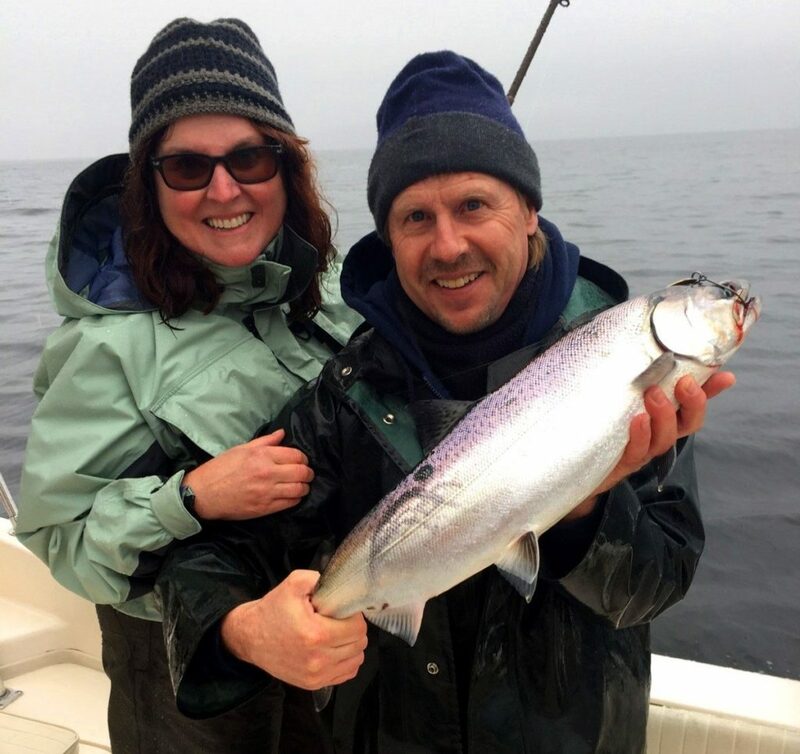 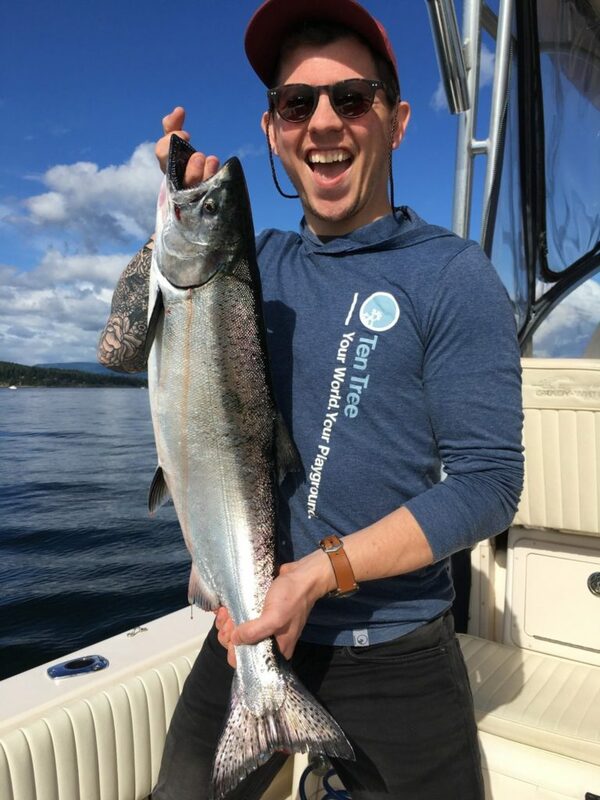 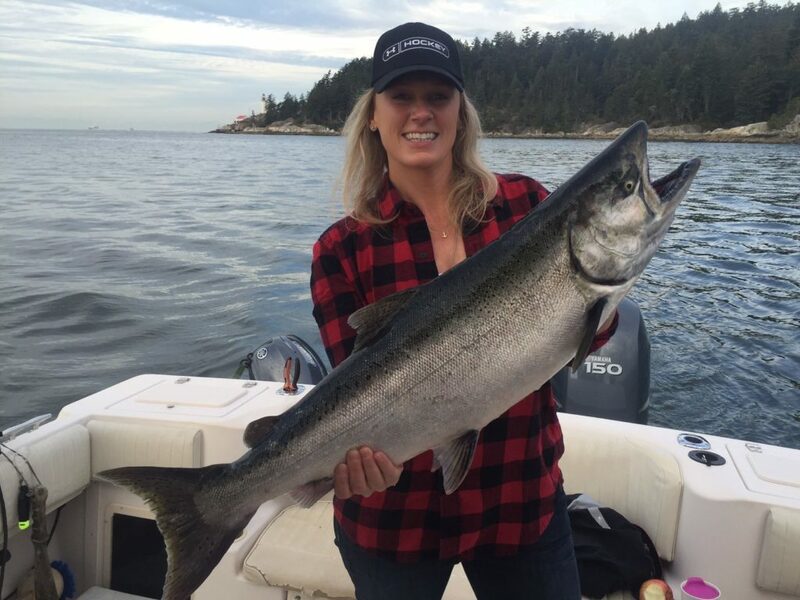 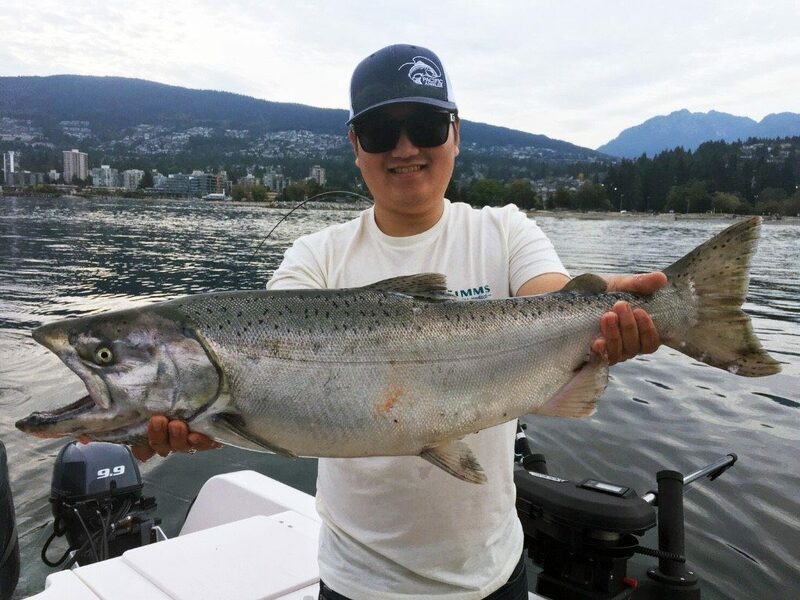 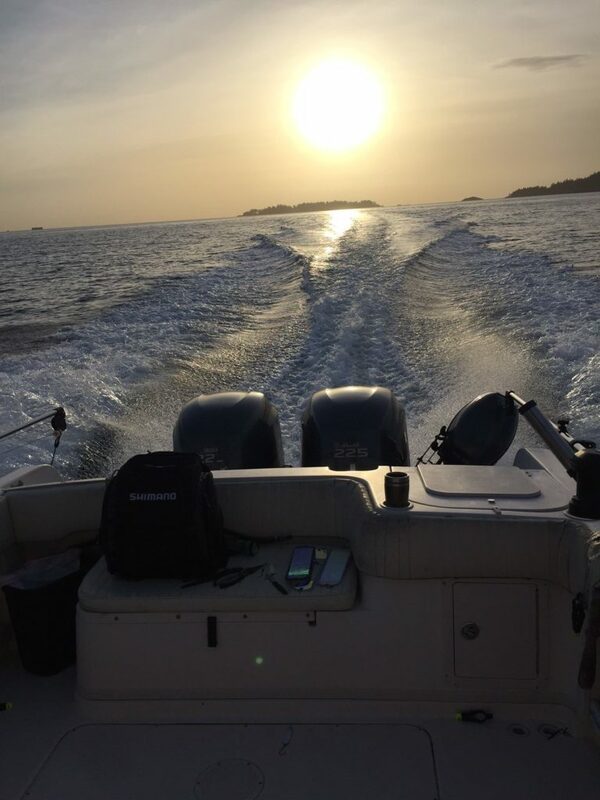 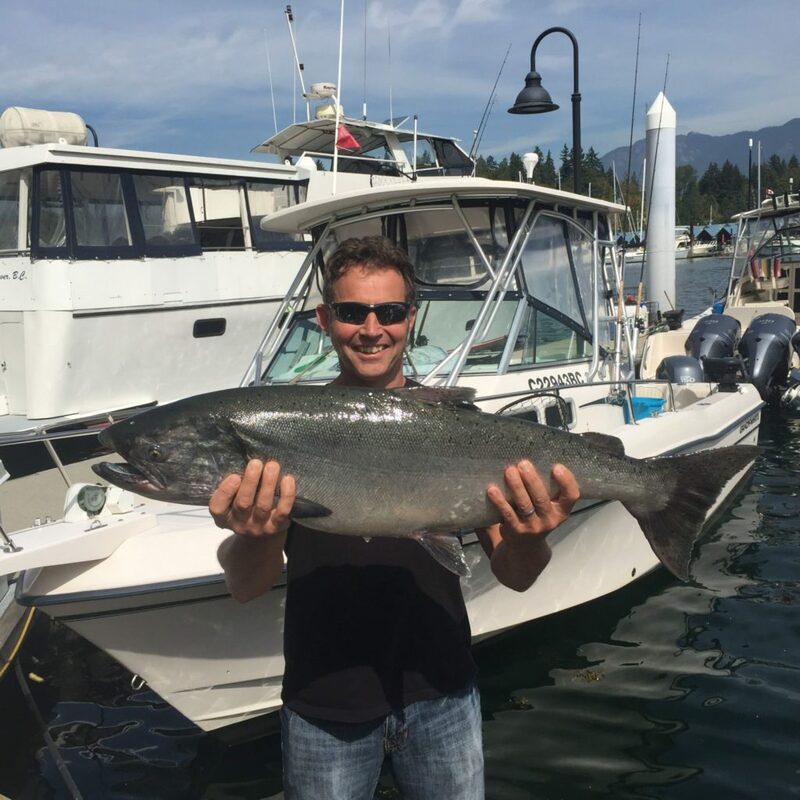 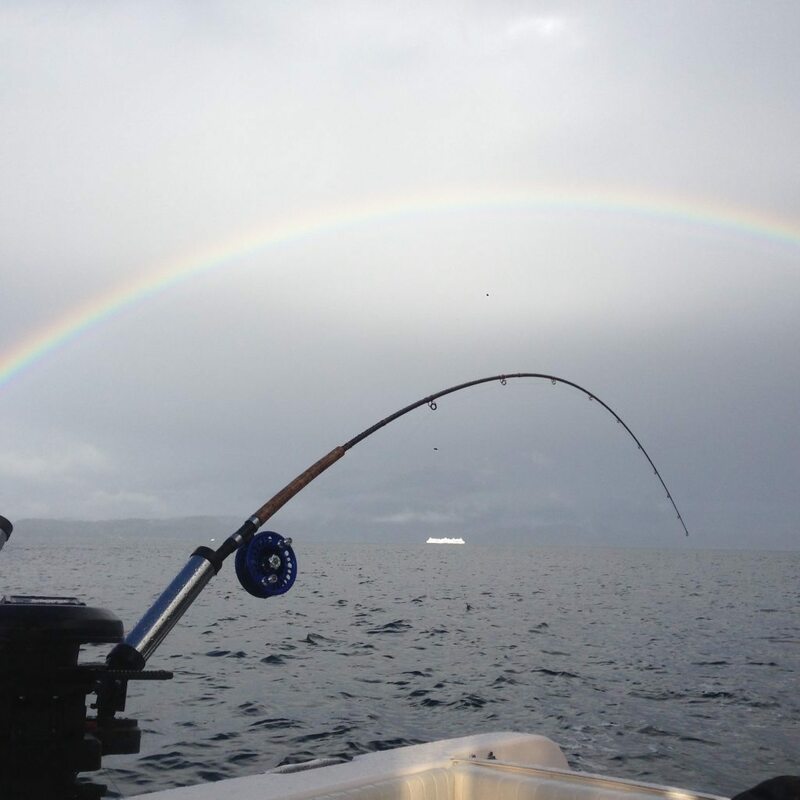 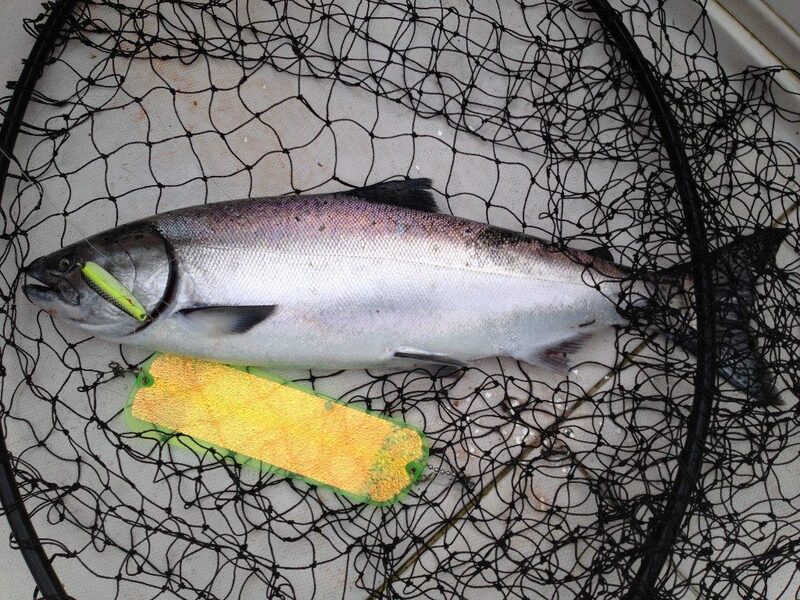 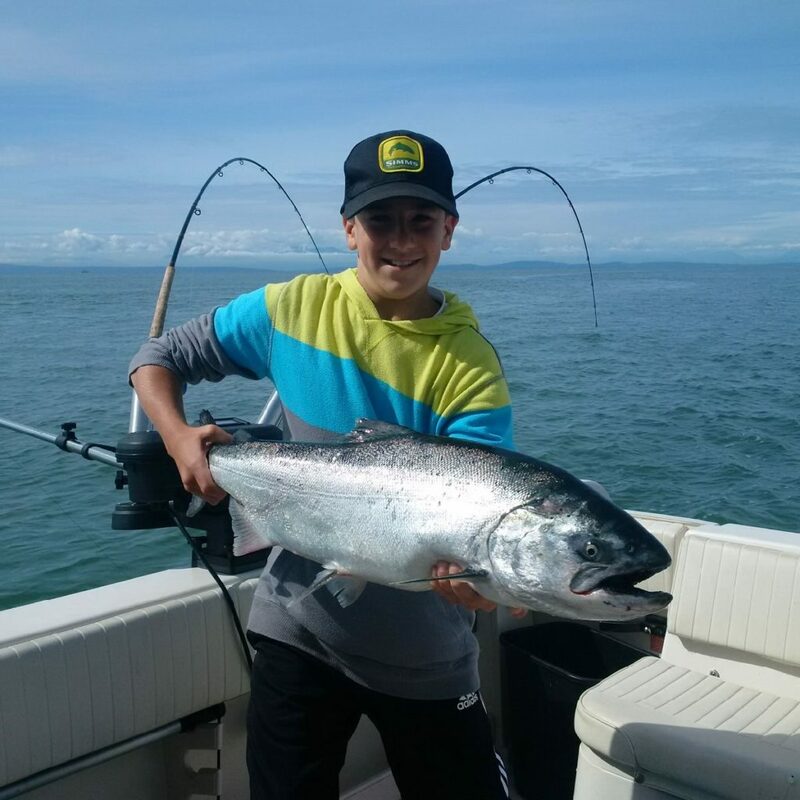 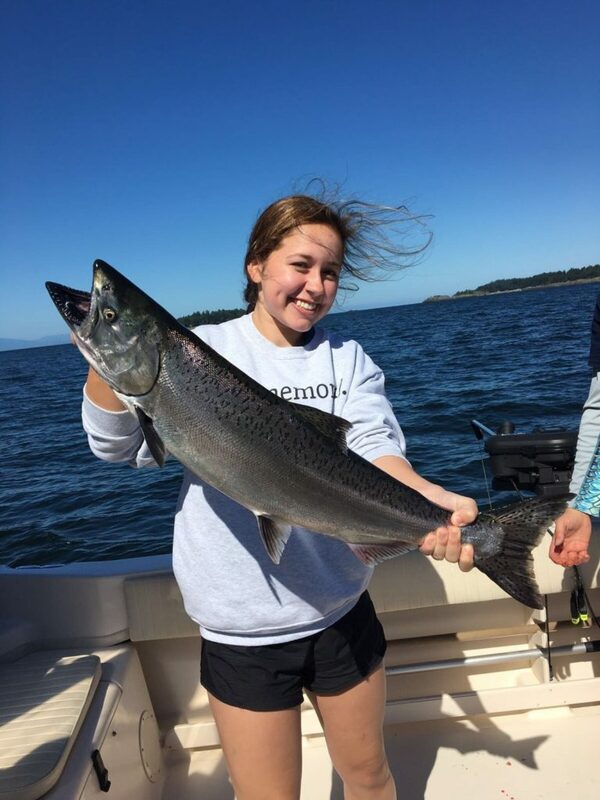 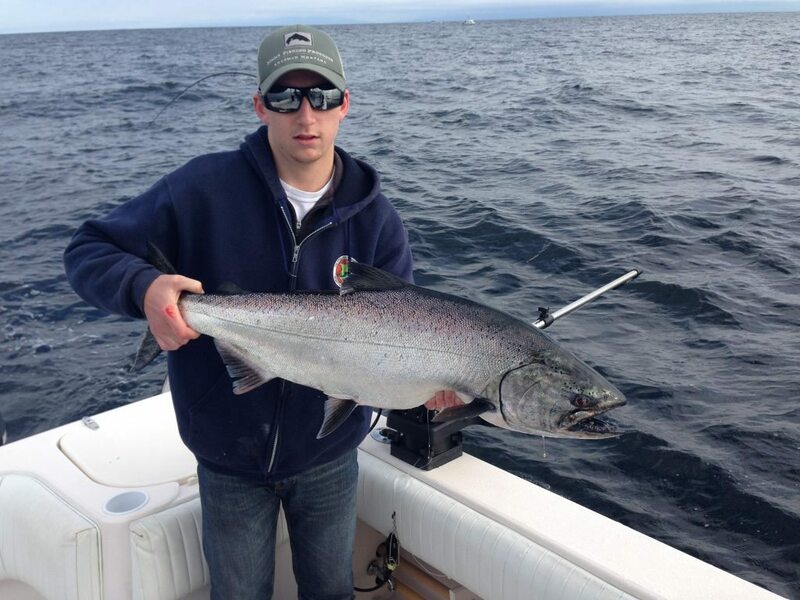 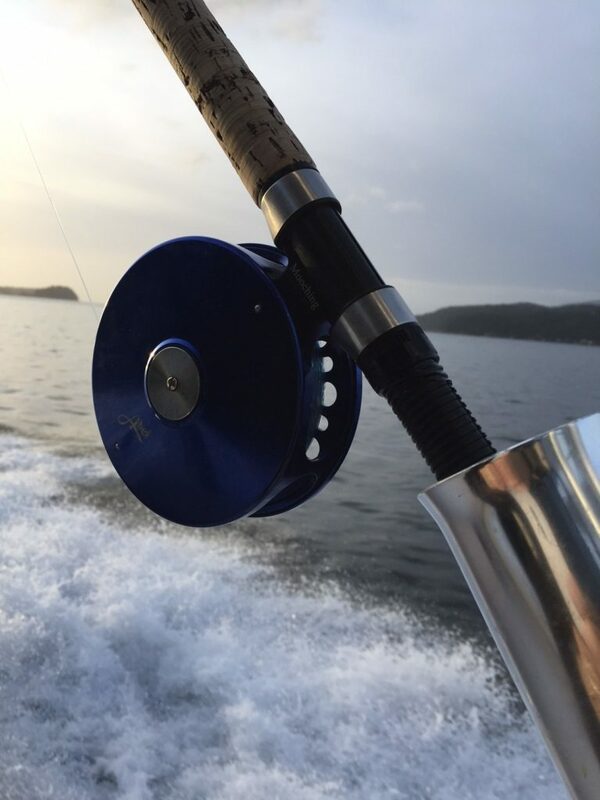 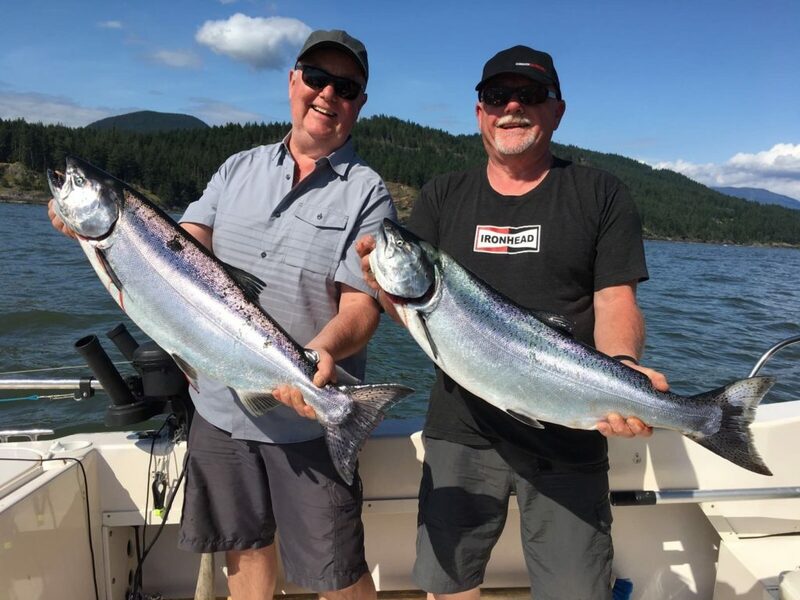 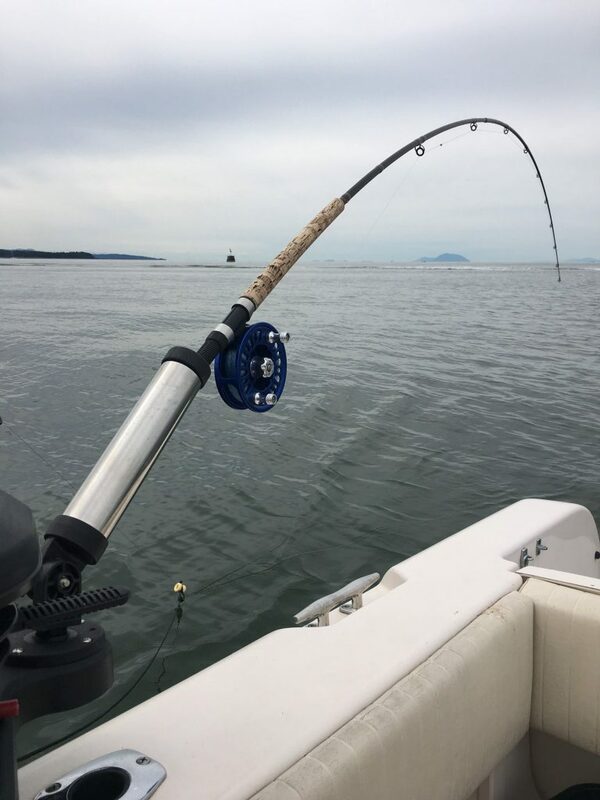 SALTWATER FISHING REPORTS Vancouver Saltwater Salmon Fishing Report We had a productive week out on the water for both chinook and coho in a variety of locations, so let’s get right down to business. 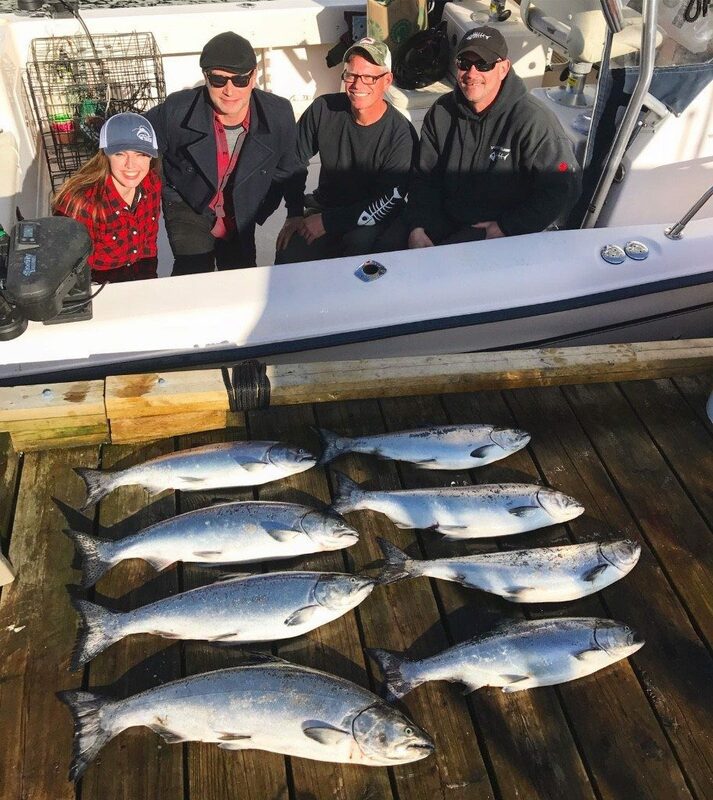 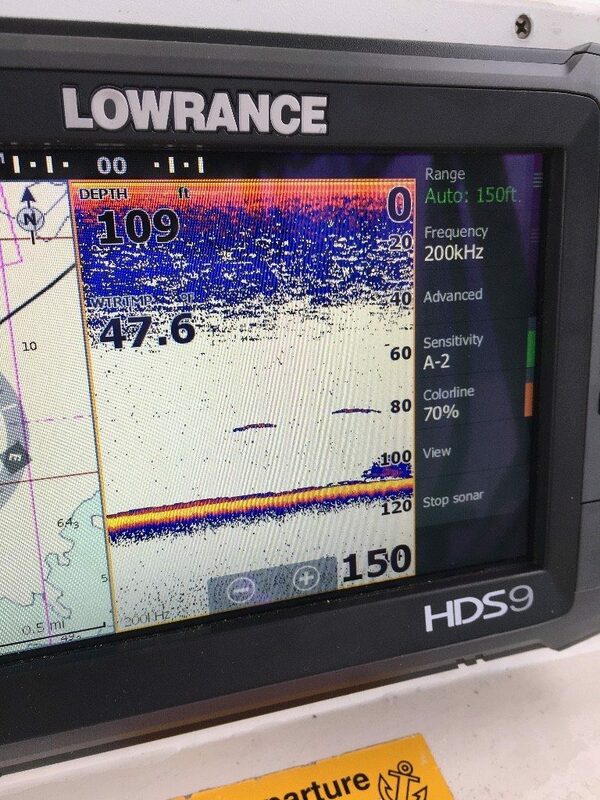 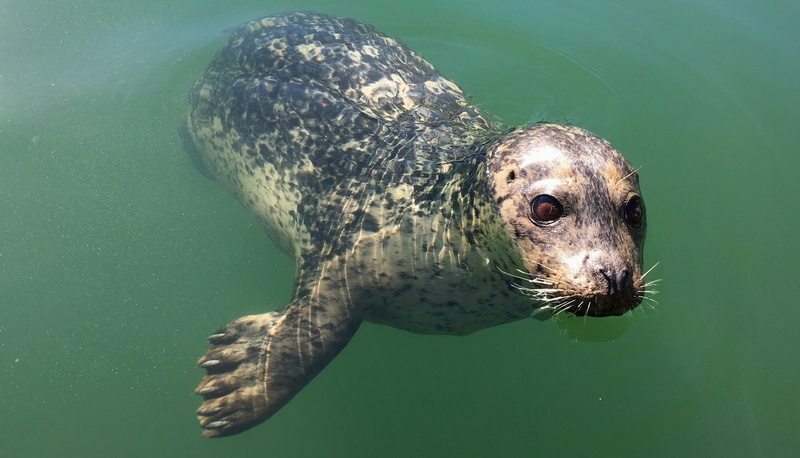 When the winds have allowed we have crossed the Strait of Georgia and fished Gabriola and Nanaimo and have done well…. 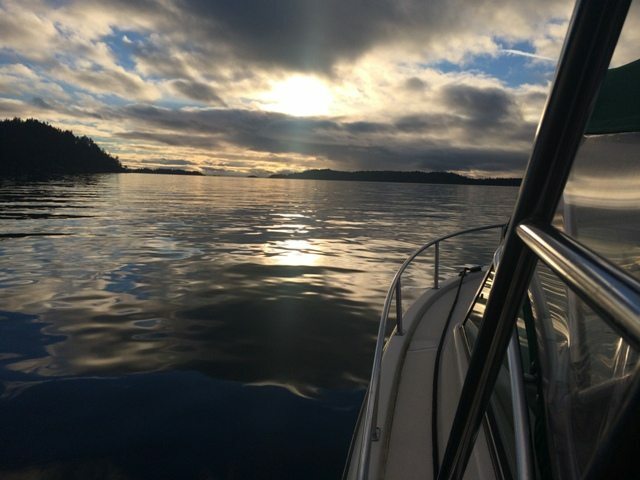 Beach Well it is fall finally and the long weekend has past. 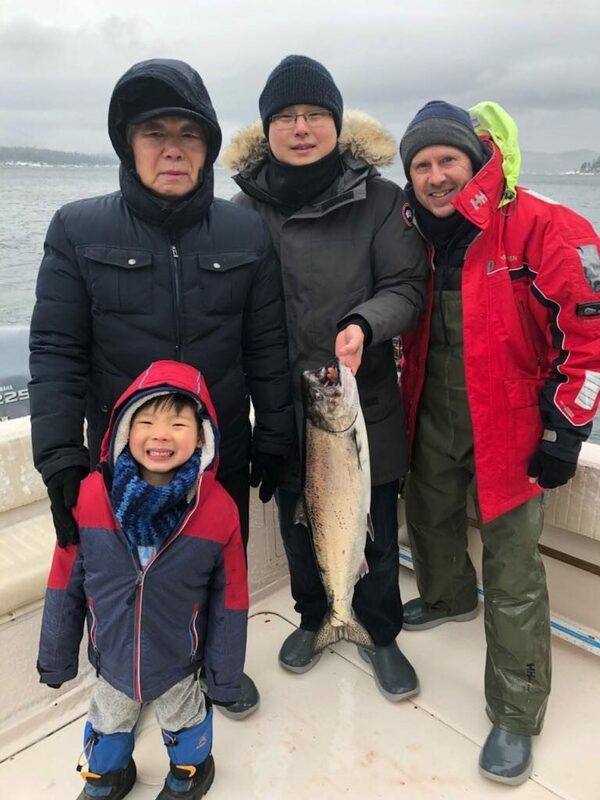 I went to Ambleside beach last week for the low tides and found myself fishing amongst four other fisherman on the entire beach. 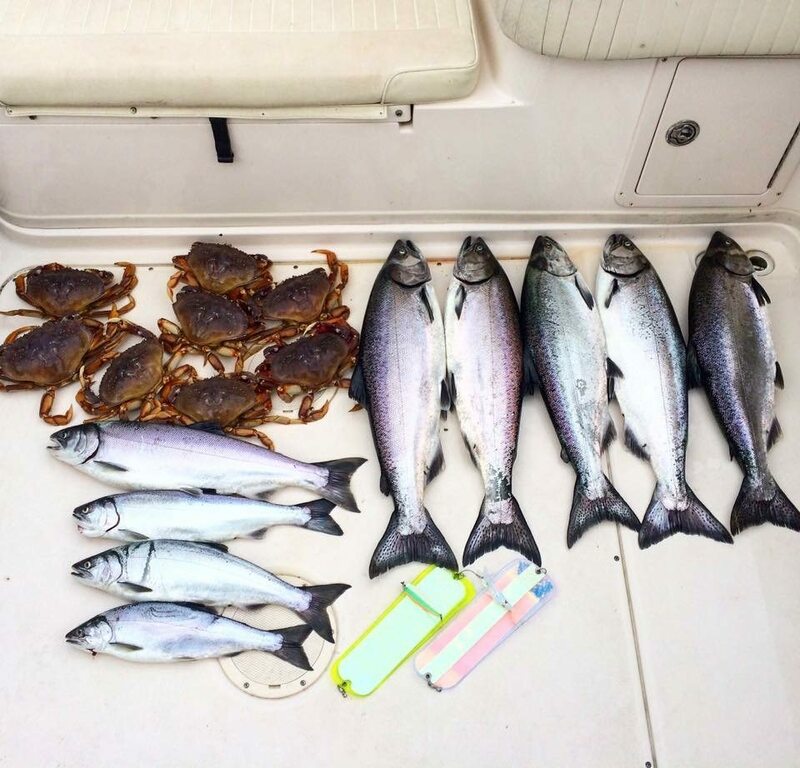 There were no fish jumping which meant that all the stale fish had moved on or there was no fish…. 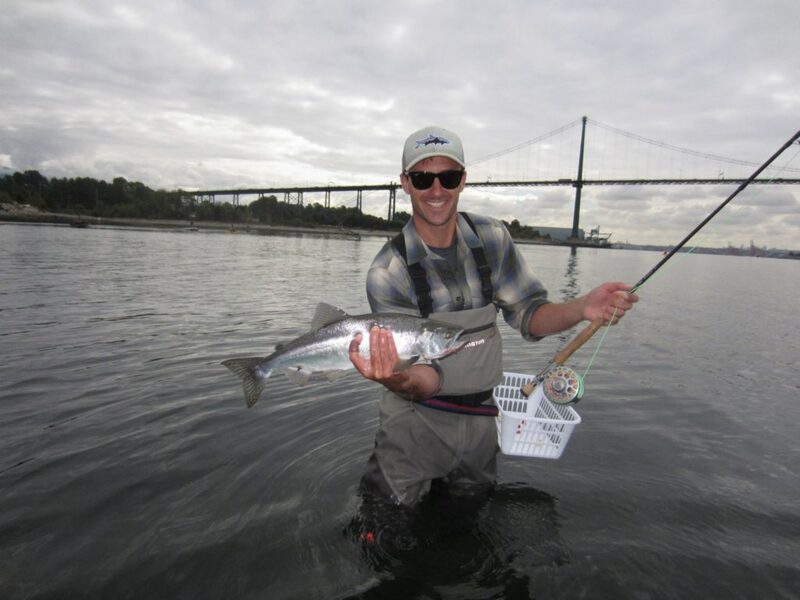 SALTWATER REPORTS Beach Report The tides are not super low for the weekend but from Monday onwards the low tides start, which is great for those looking to fish from the beach. 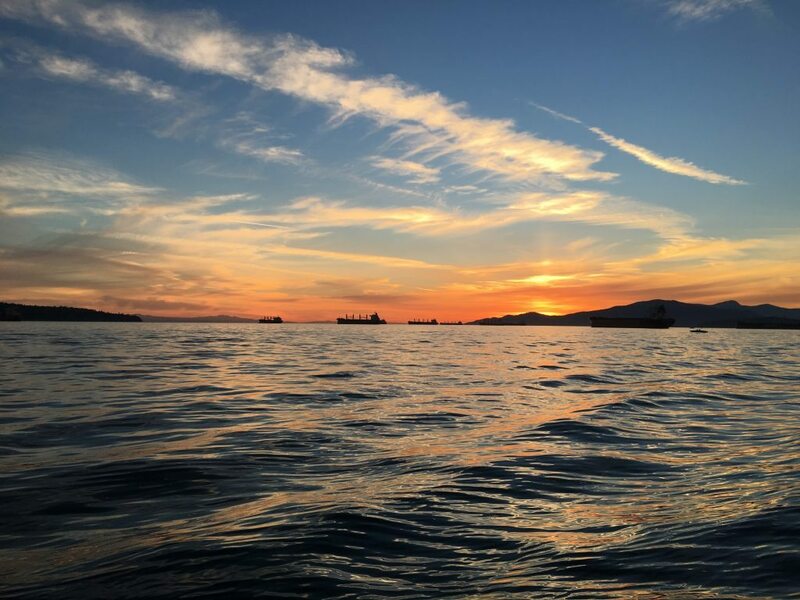 You want to be on the beach as much as you can as the full moon approaches by the end of the week…. 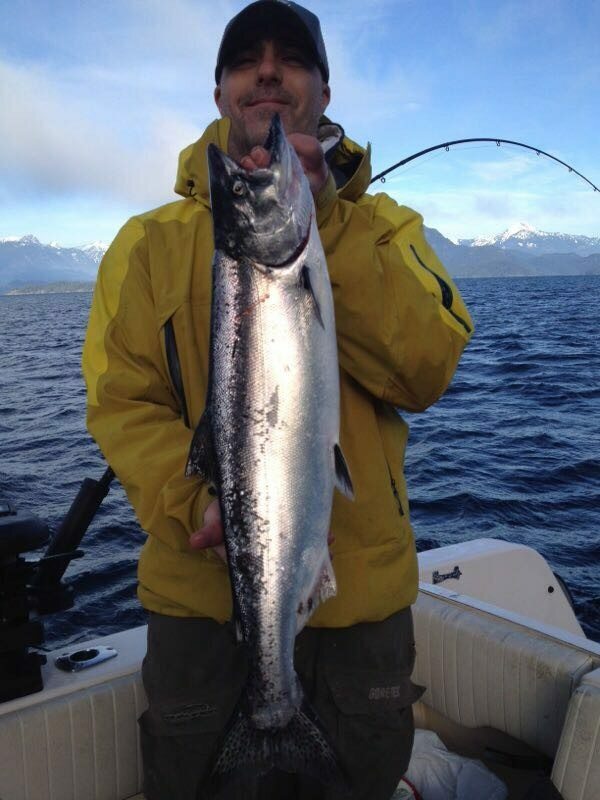 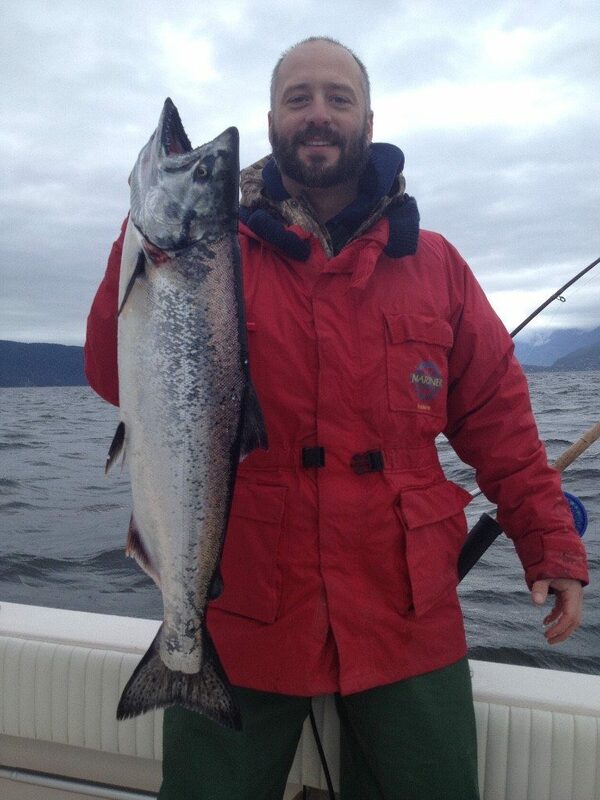 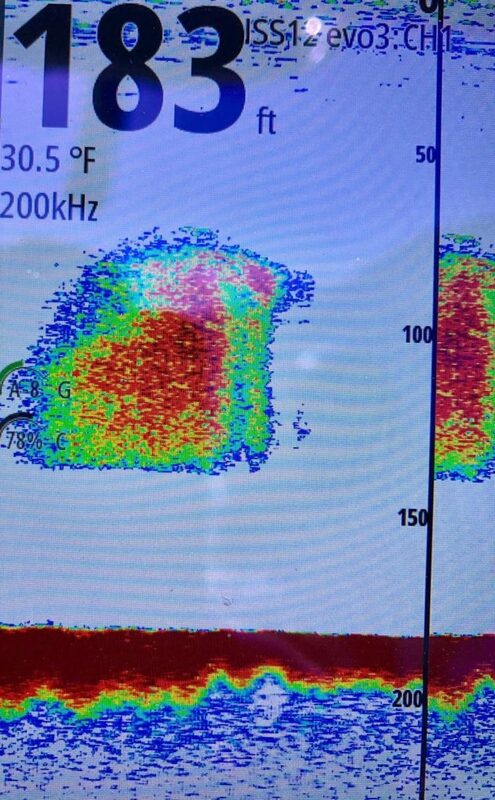 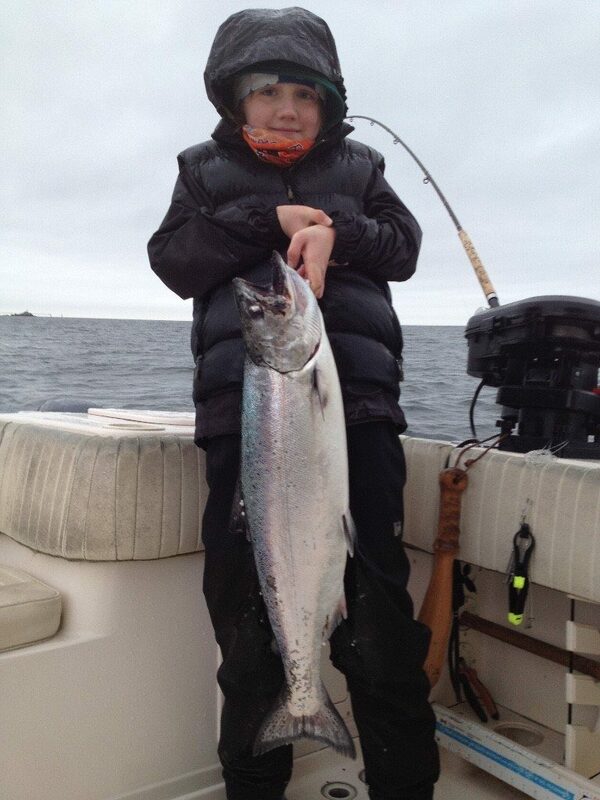 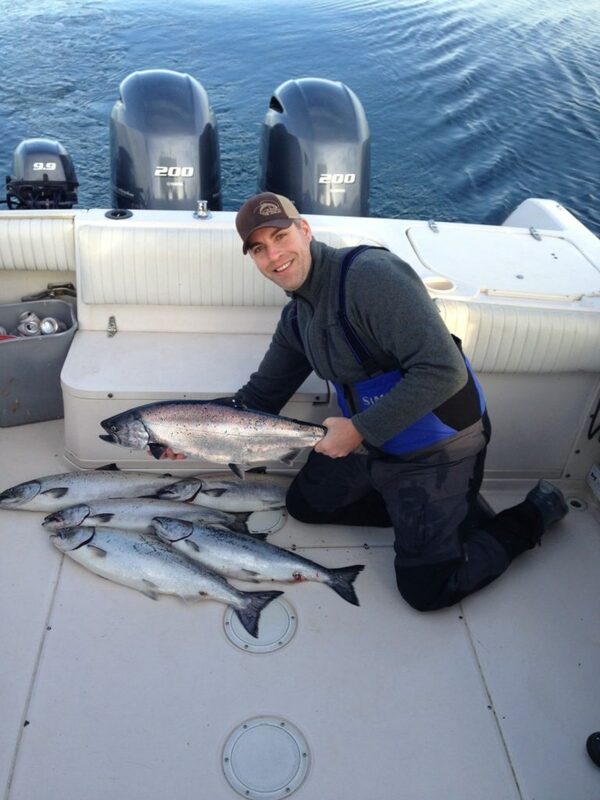 Local Saltwater This past week have had a few reports of the first winter chinook being caught. 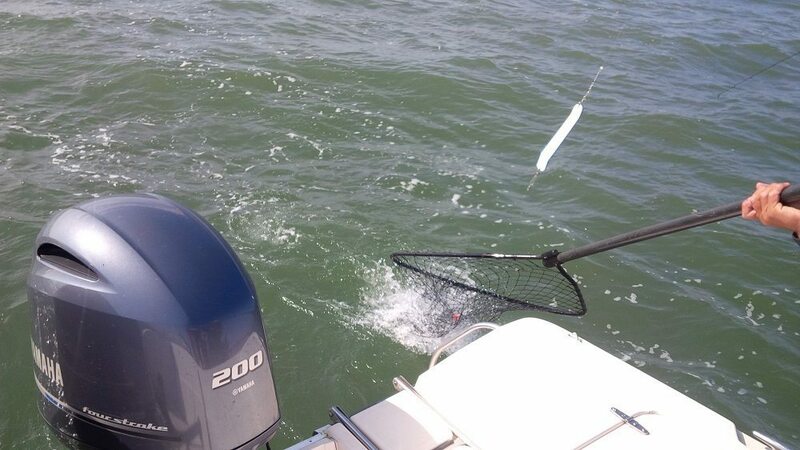 Don’t go rushing down to the dock and blow the leaves of your boat and race out there though! 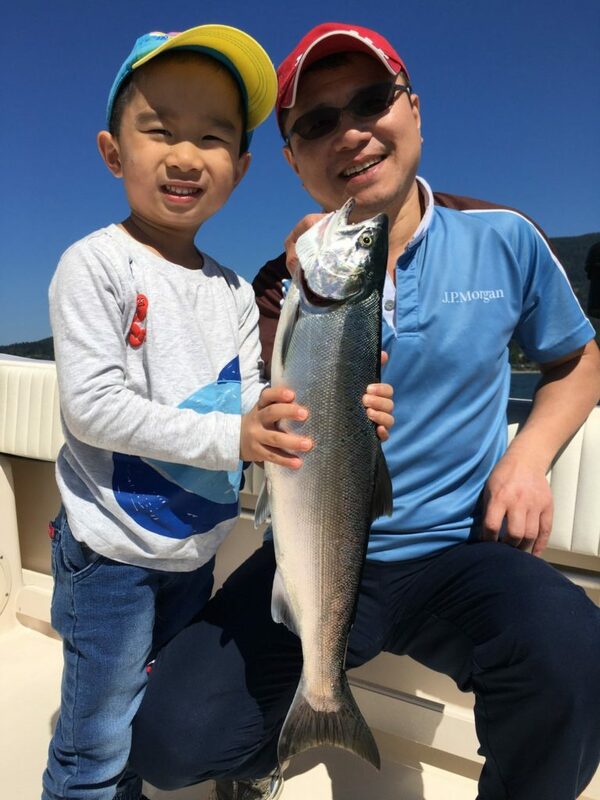 It is still early for this fishery and the best fishing will be from late December to early April…. 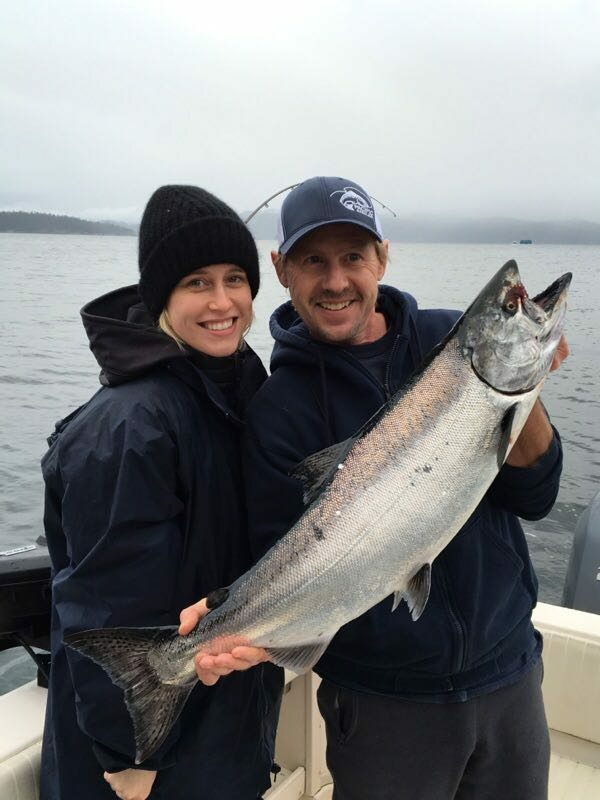 Winter Chinook Fishing is Picking Up!! 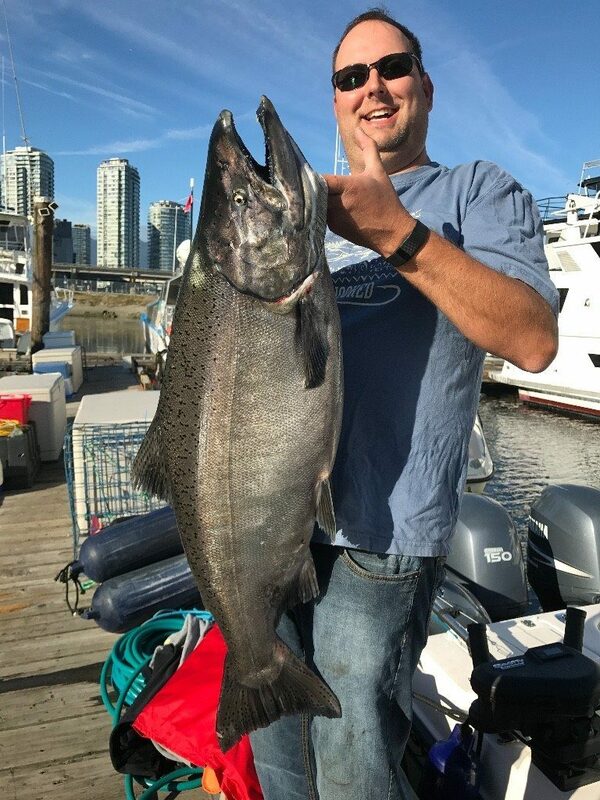 Winter chinook are growing in numbers and size! 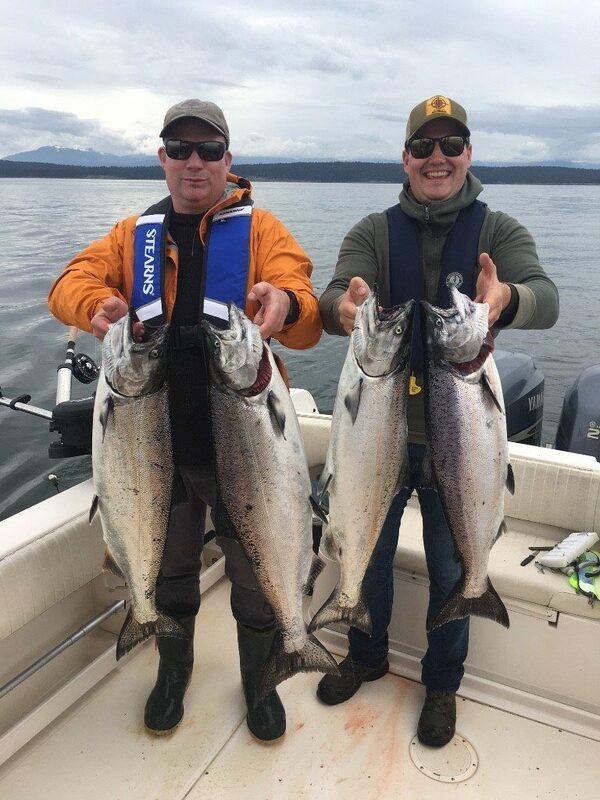 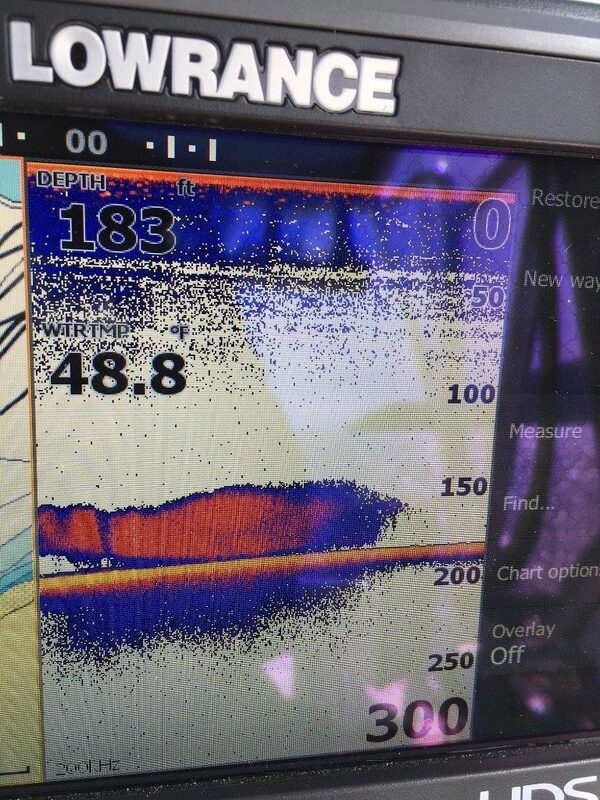 The BIG fish are rolling in! 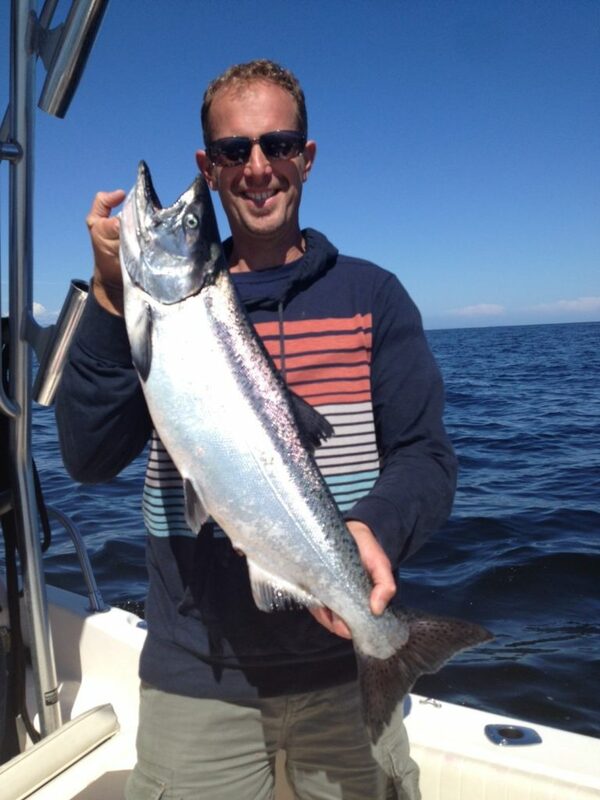 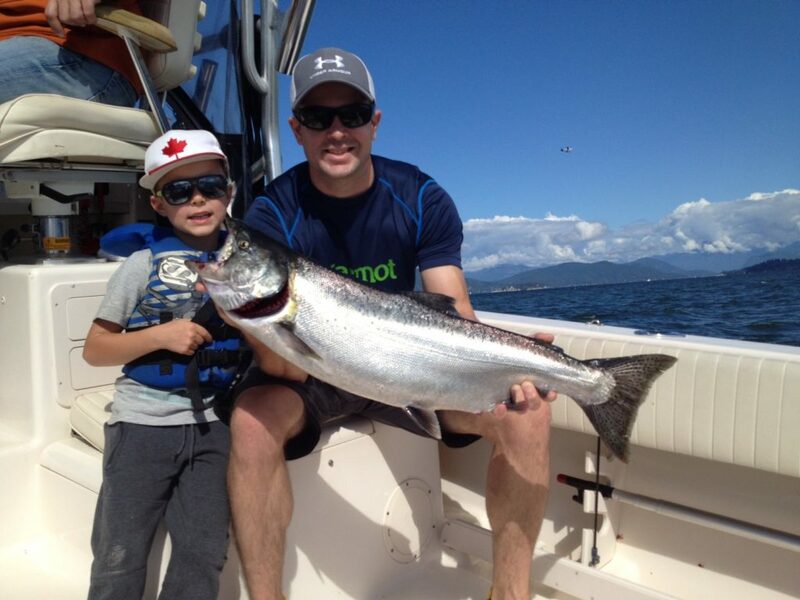 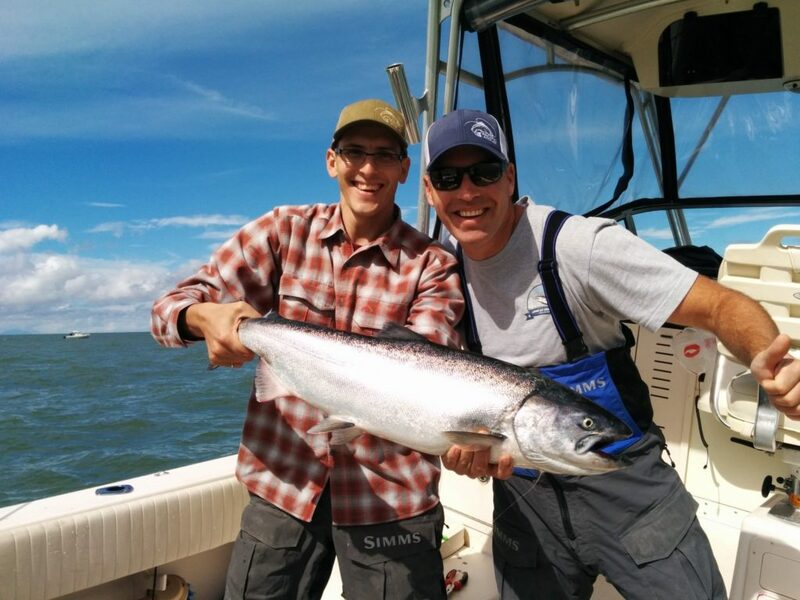 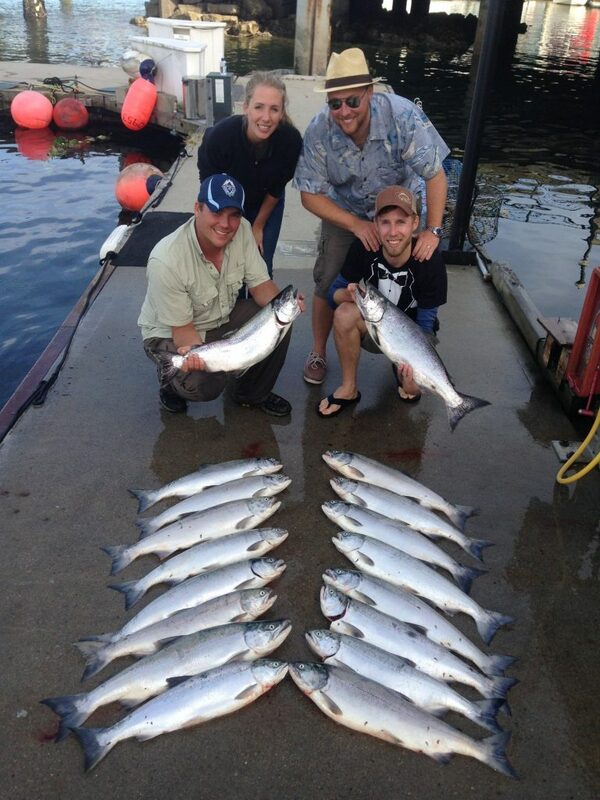 The chinook fishing continues to be good to outstanding at the Bell Buoy, North Arm, T-10 and South Arm. 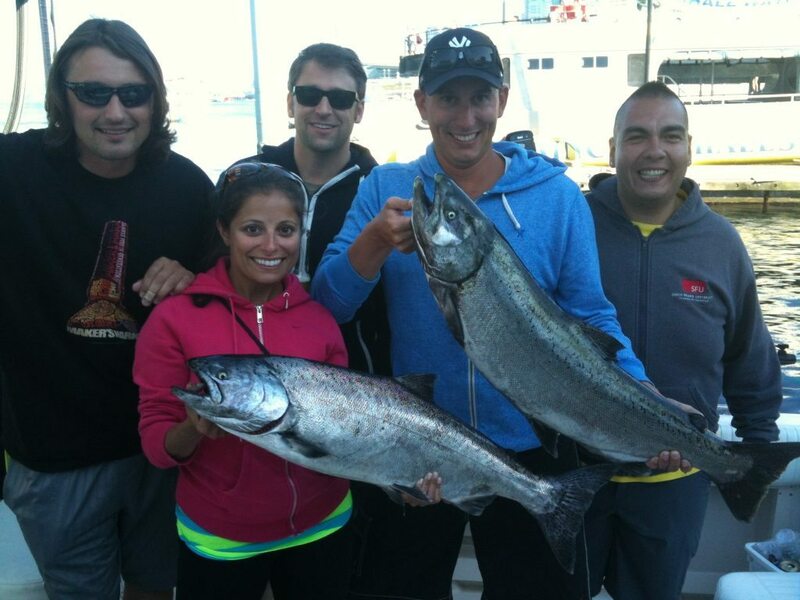 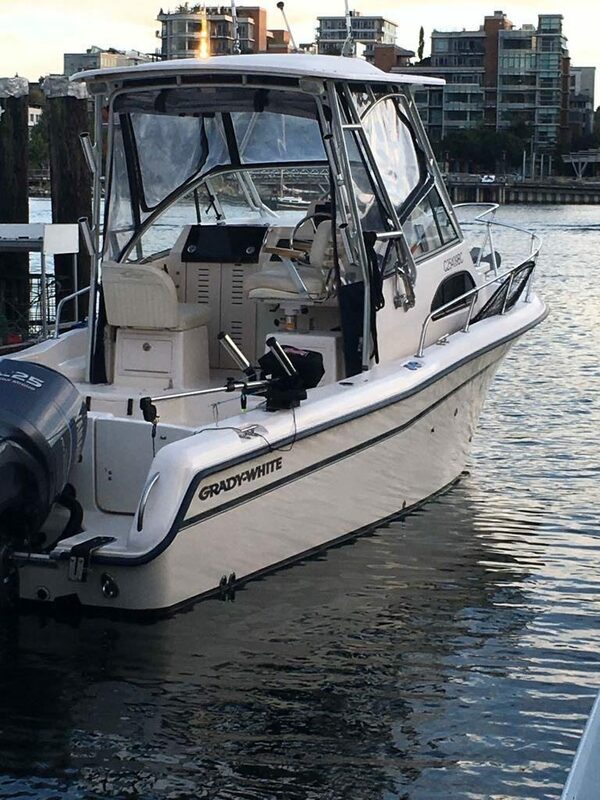 If you have some time to get out fishing or book a charter with us, I suggest you do it now. 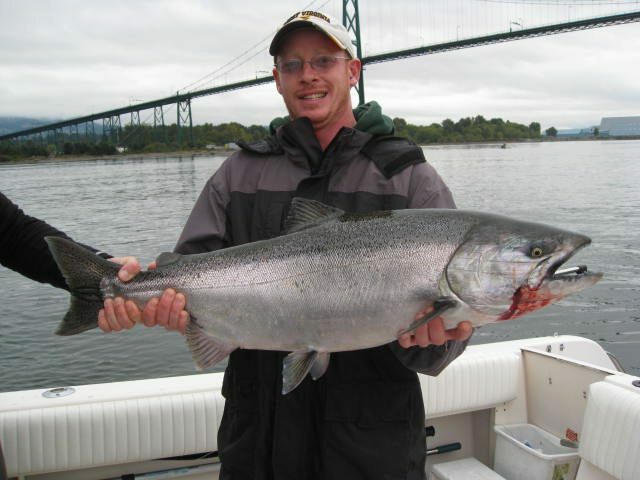 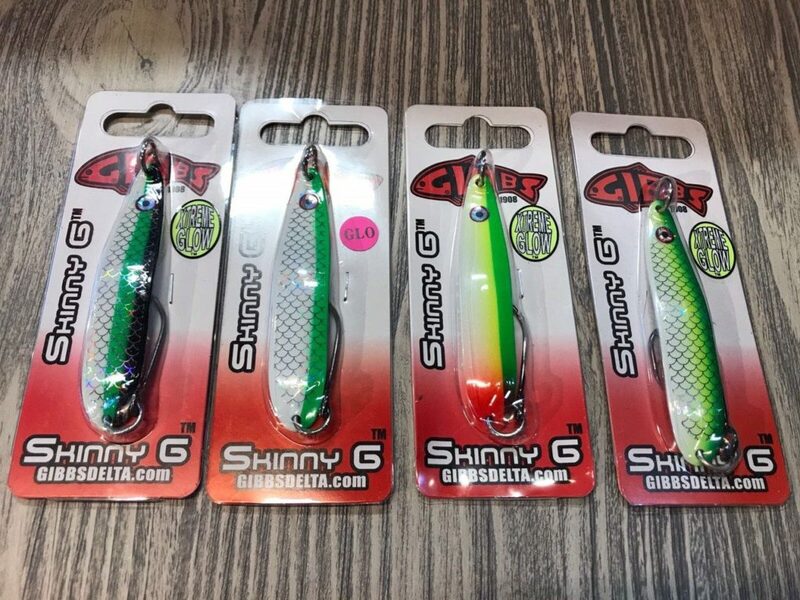 The big chinook are here with more on the way in the next two weeks…. 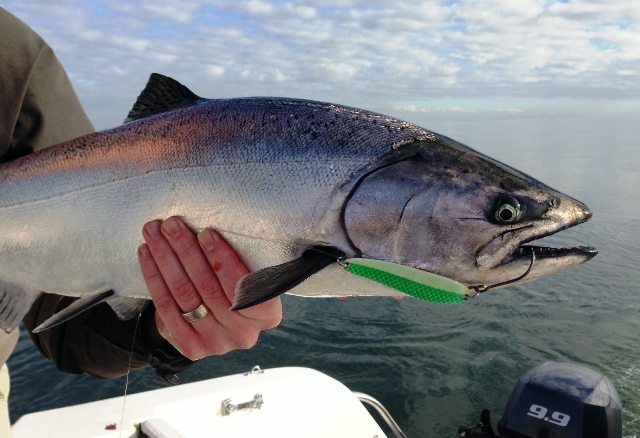 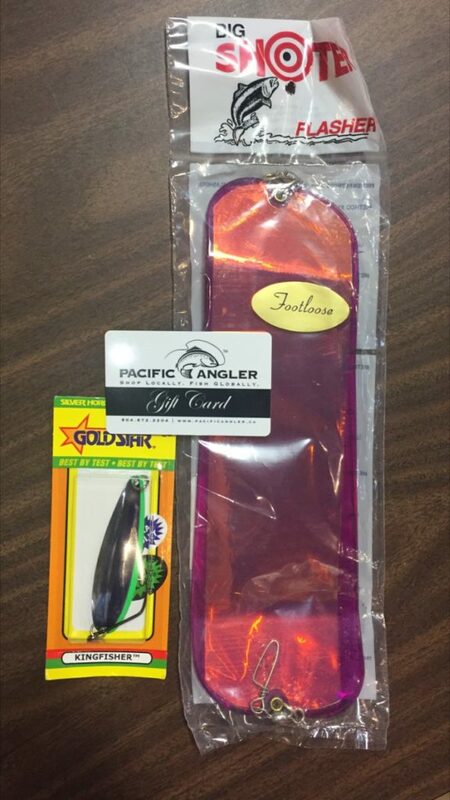 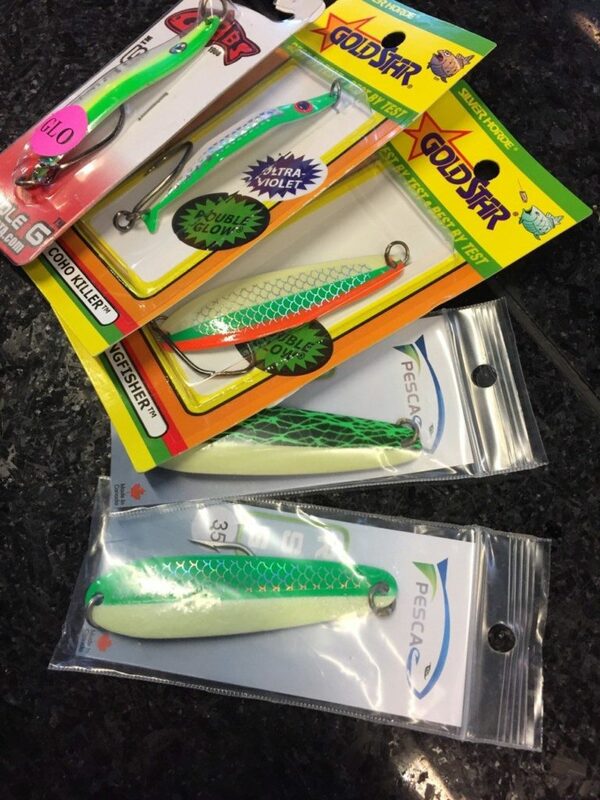 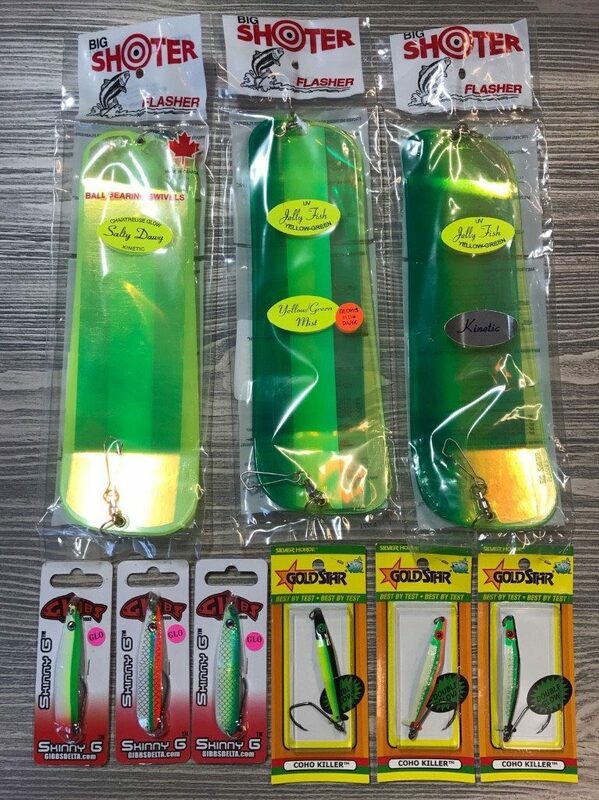 The Chinook Salmon Are Here & Pesca RSG Spoons! 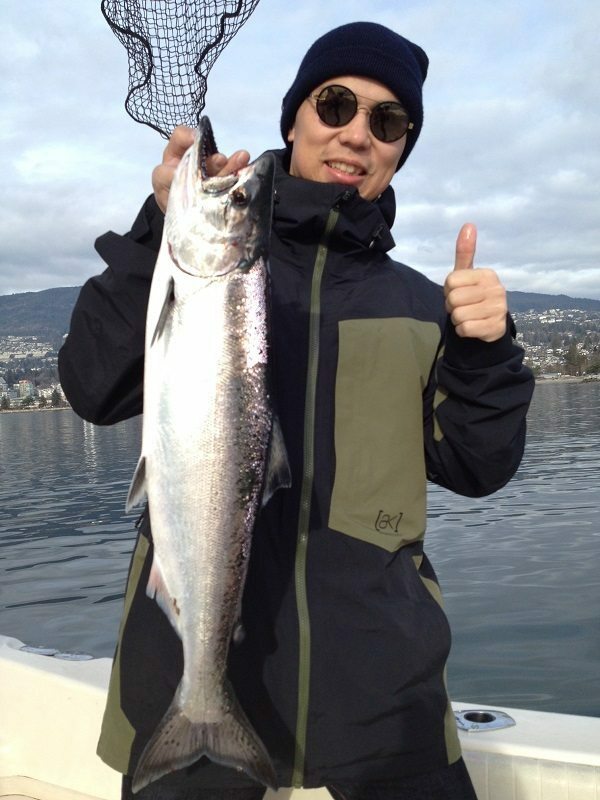 Feb 27th 2011: Winter Spring Action! 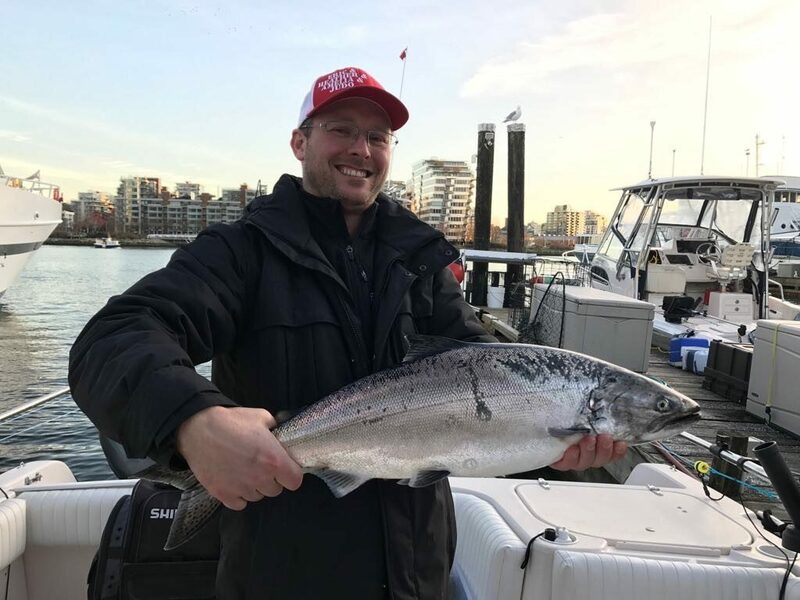 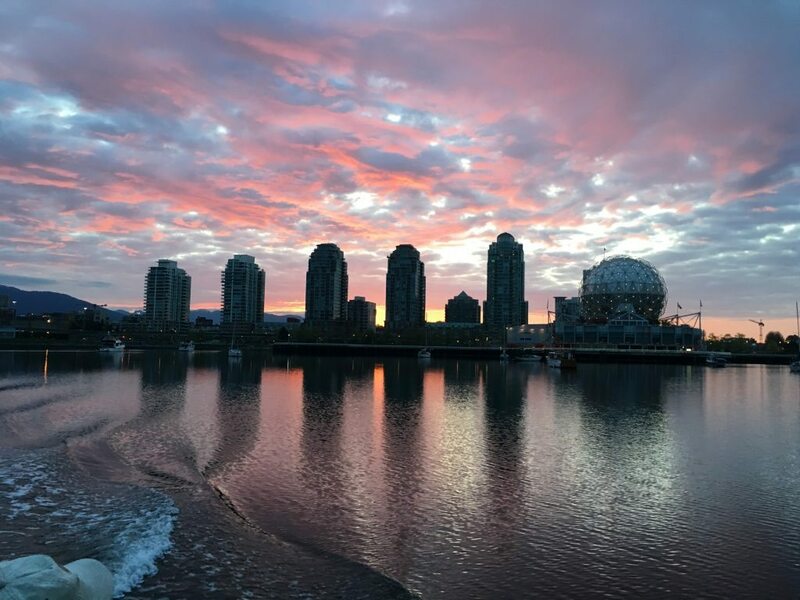 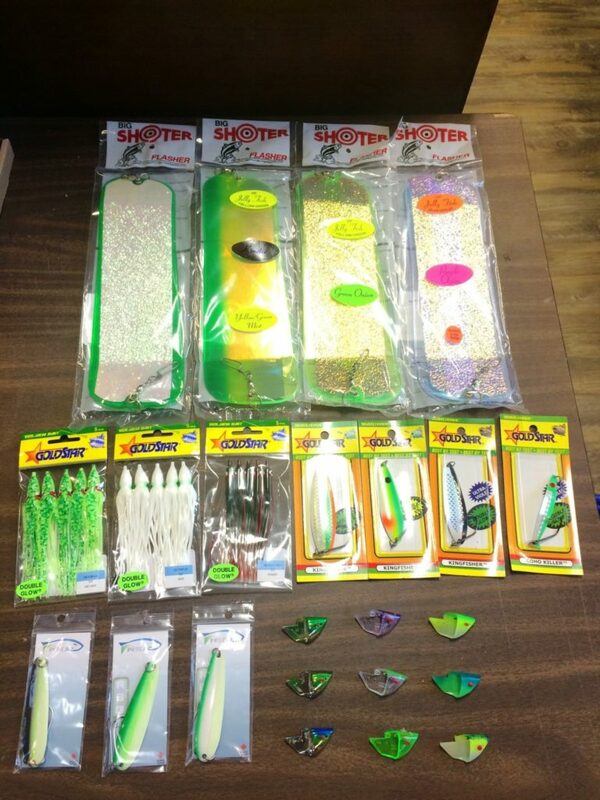 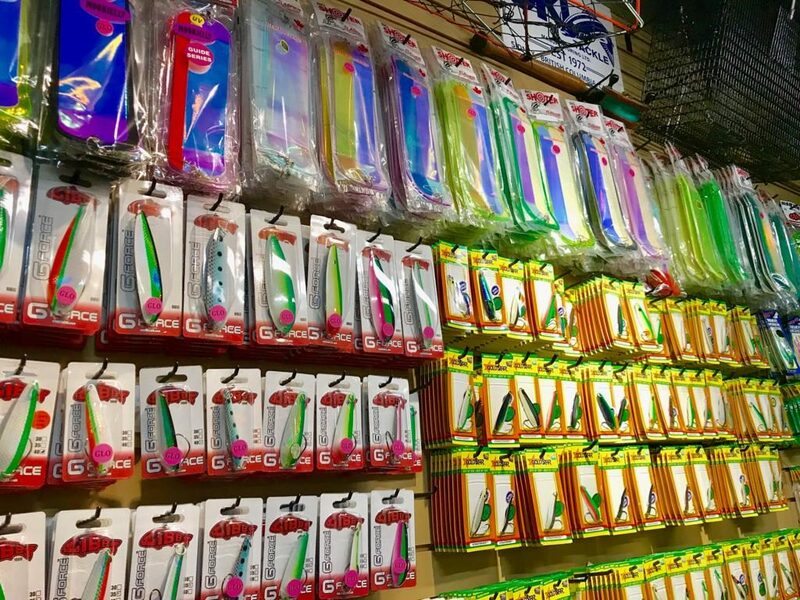 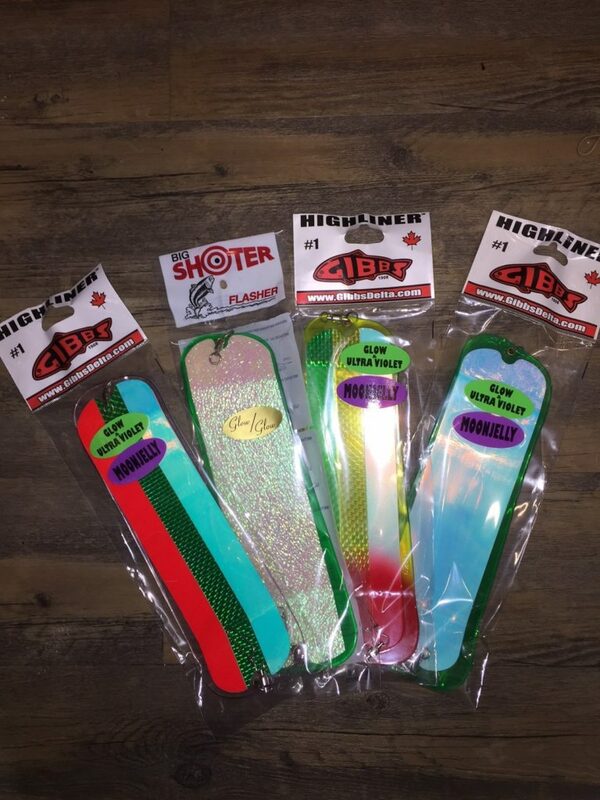 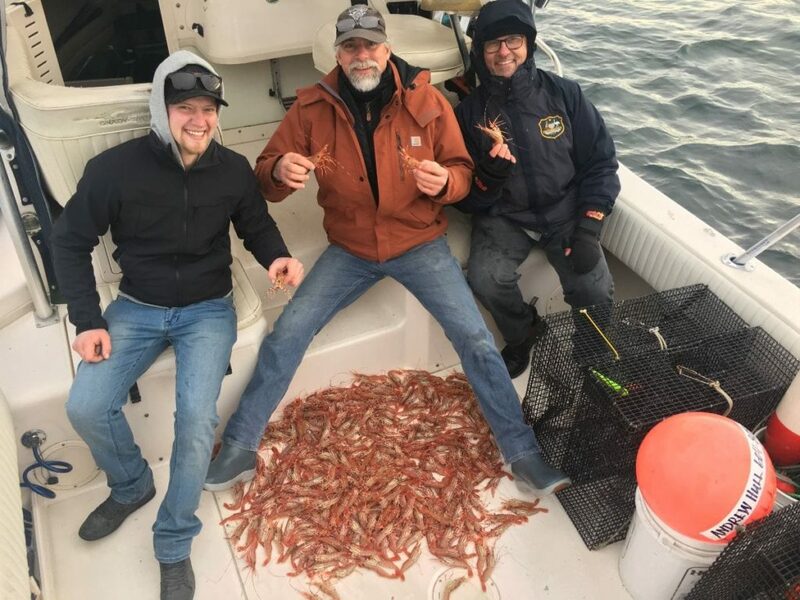 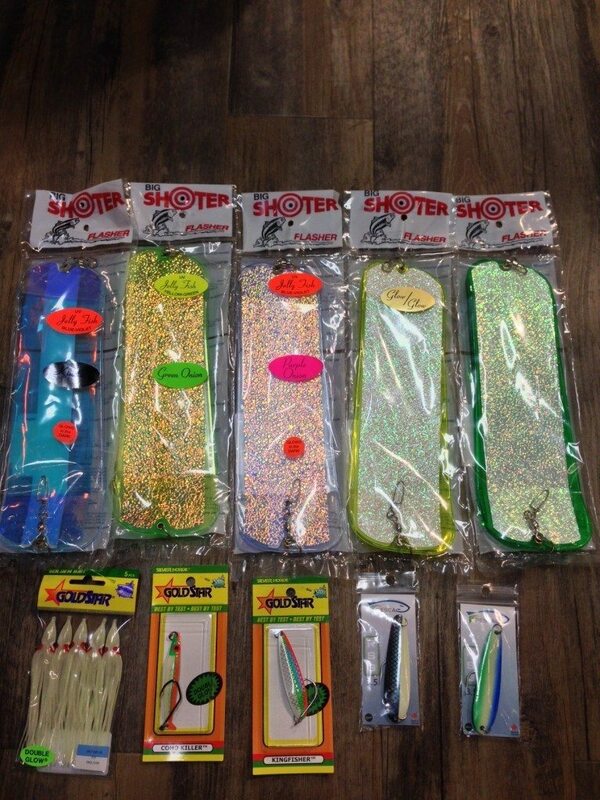 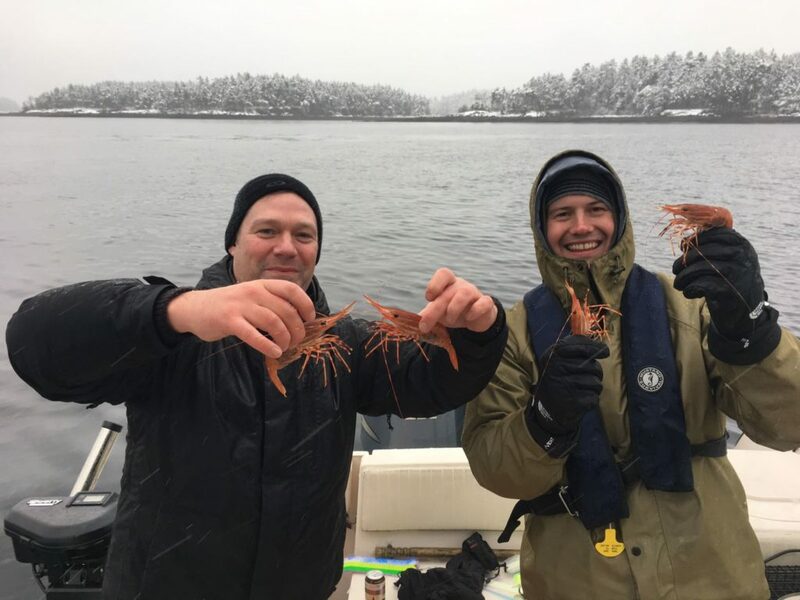 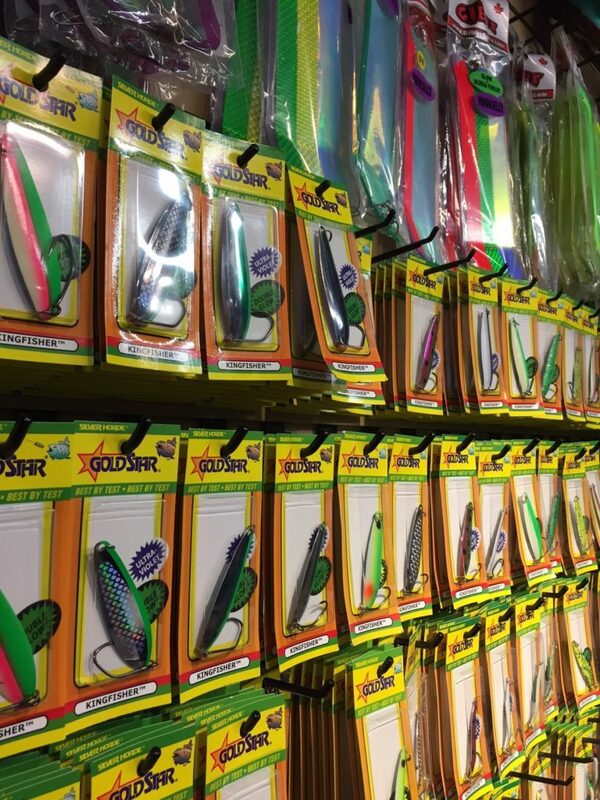 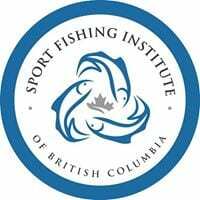 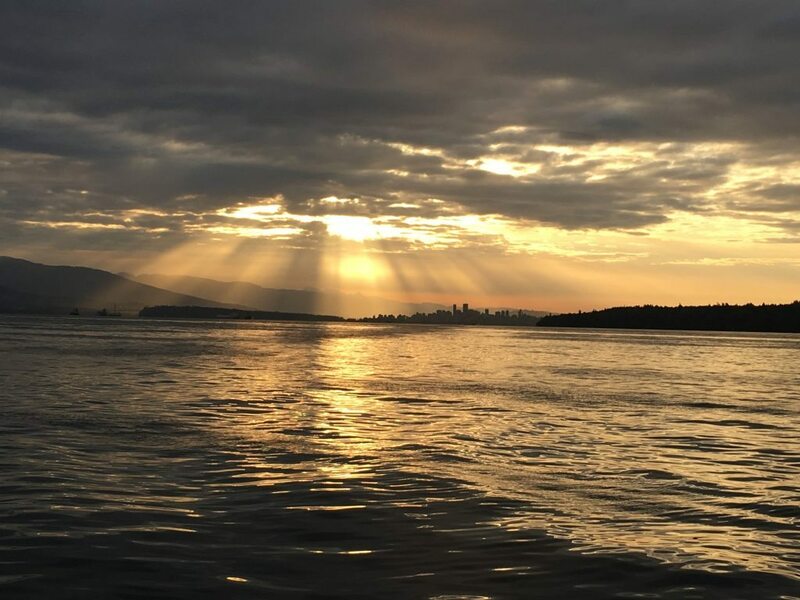 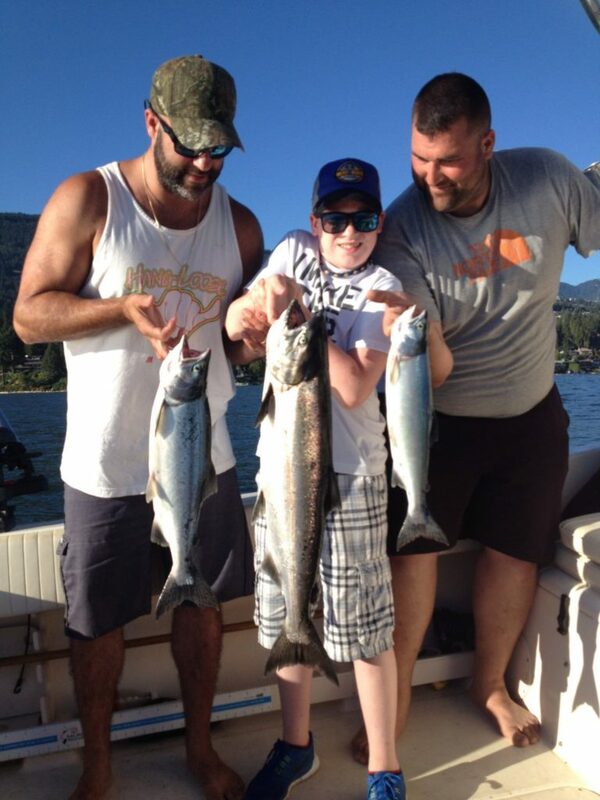 Vancouver Fishing Jan 26: NOW is the time! 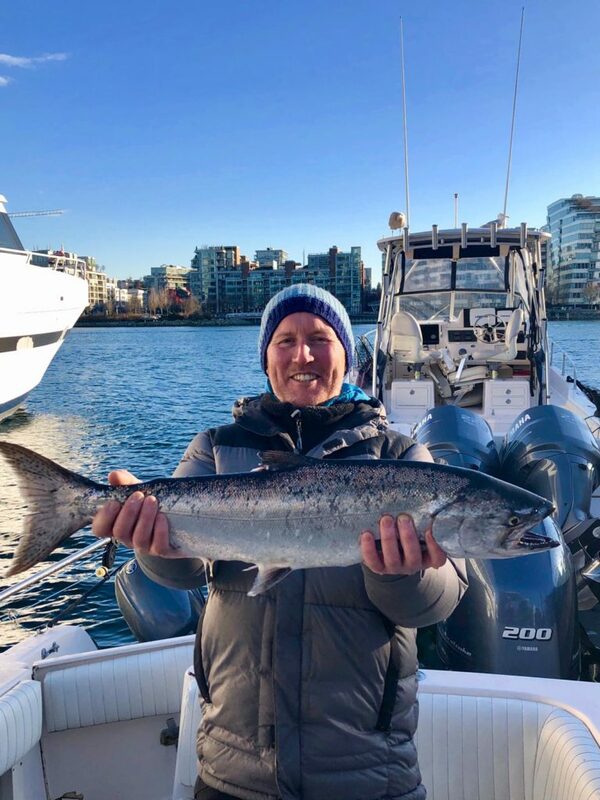 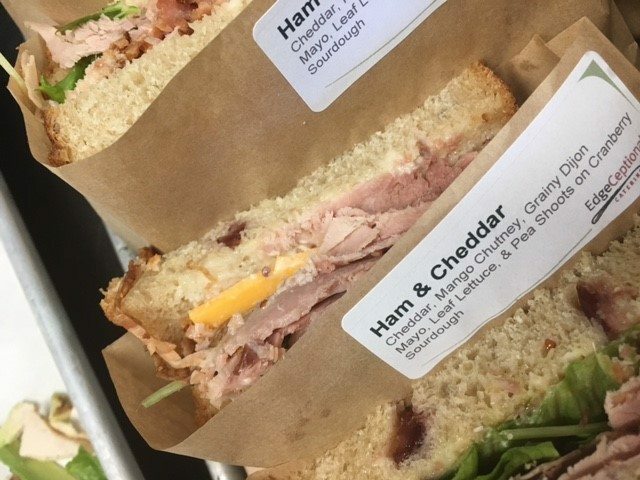 January 23 Vancouver- The Bite Goes On…..
January 16 Report: Let’s Eat! 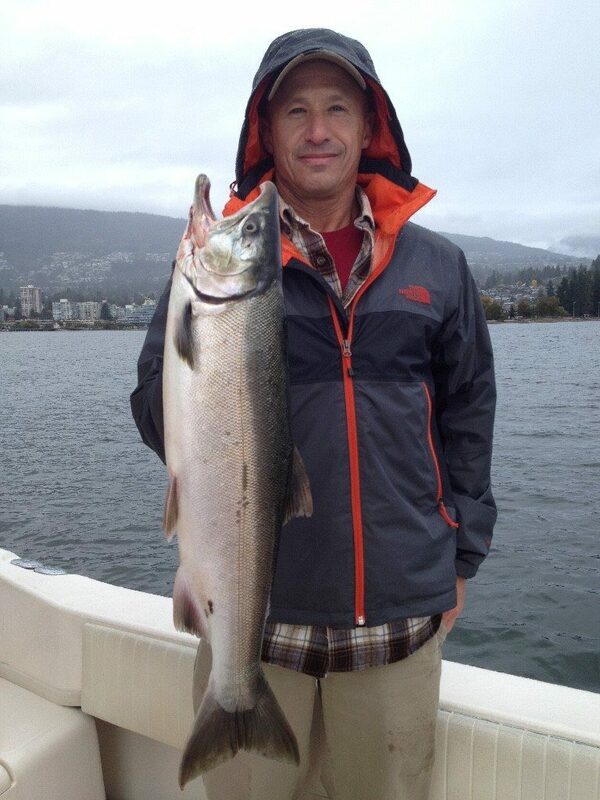 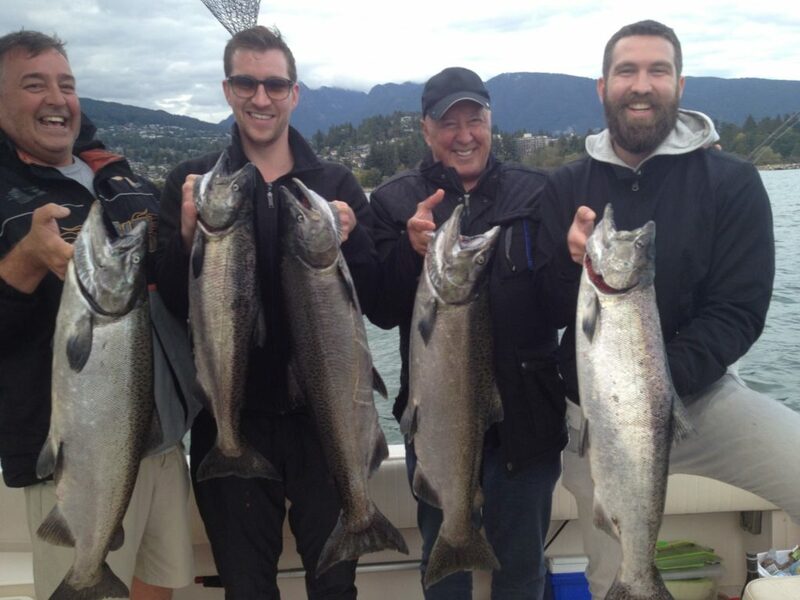 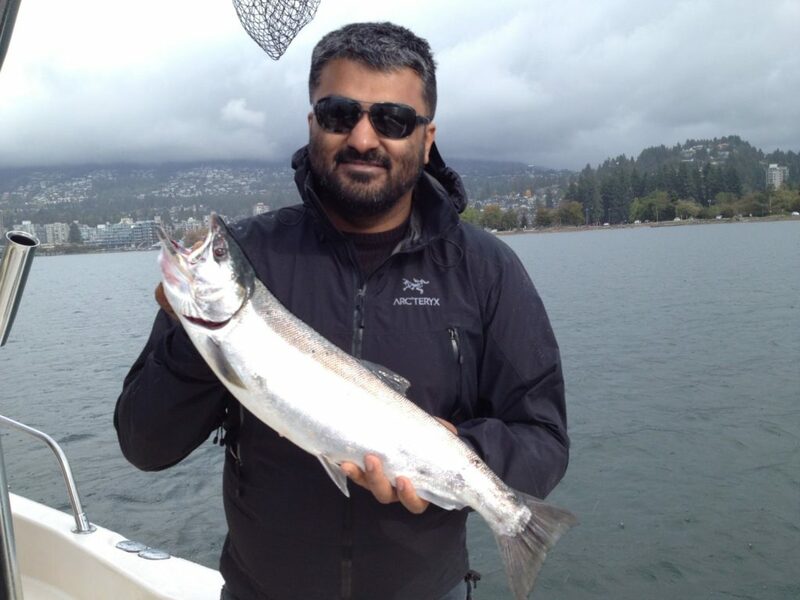 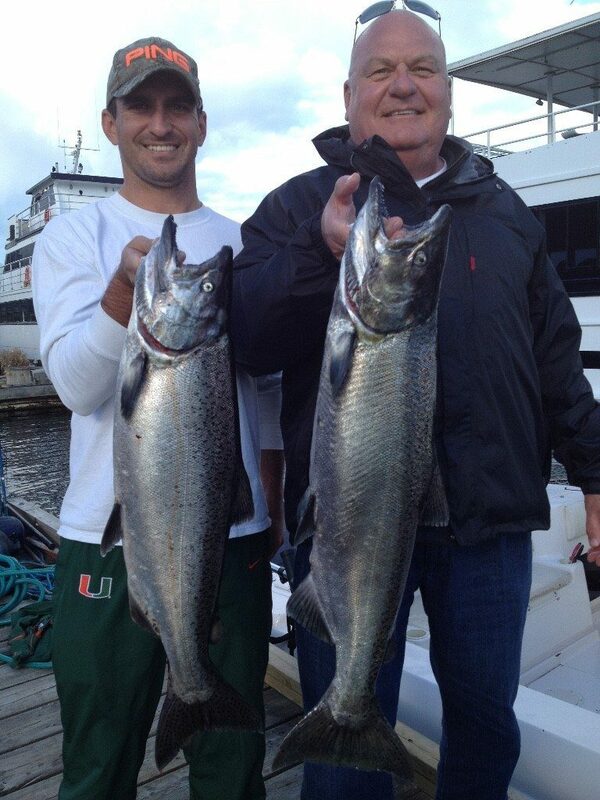 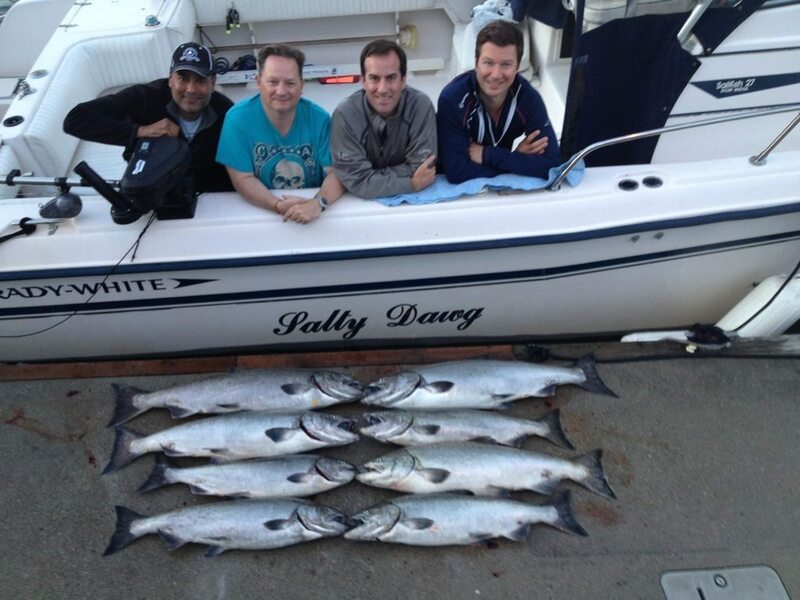 January 3: Salmon Fishing in Vancouver!!! 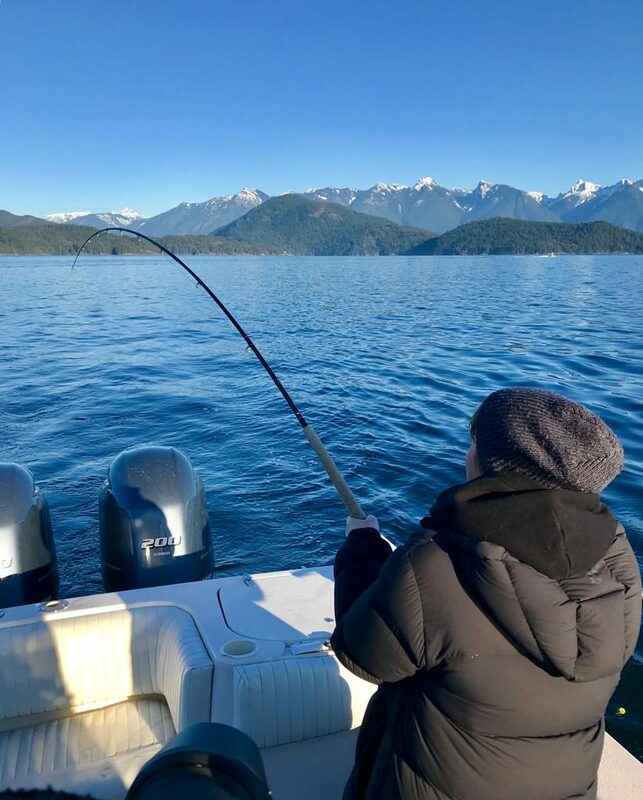 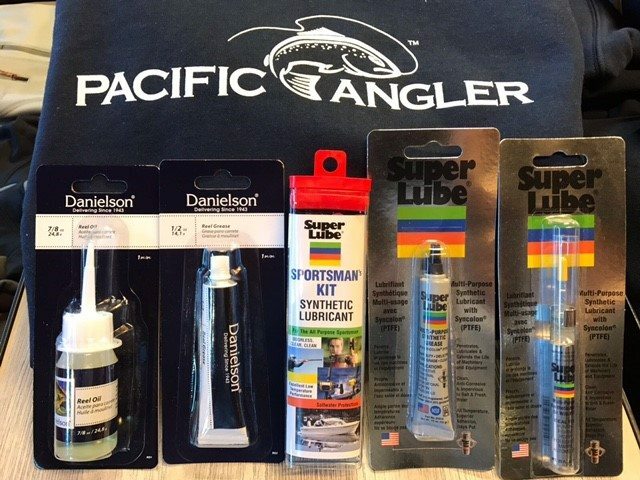 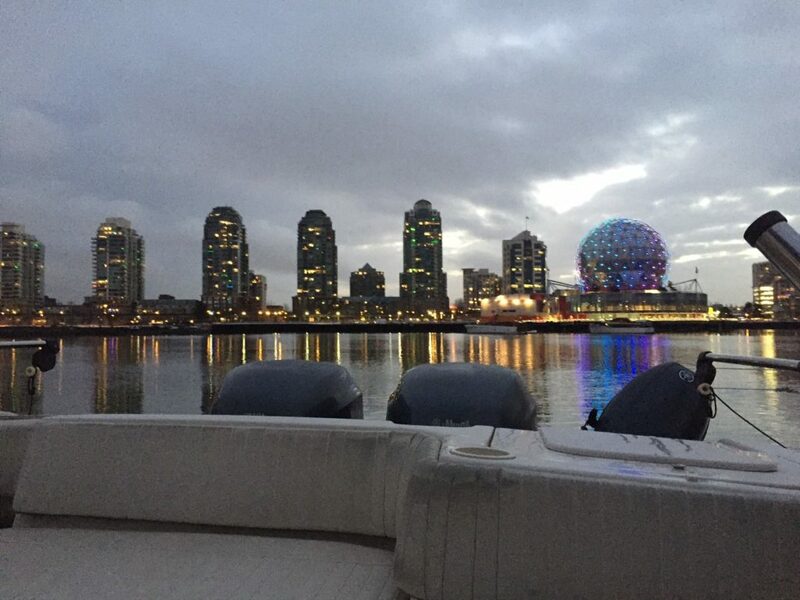 Jan 2 Update: Time to go Fishing in Vancouver! 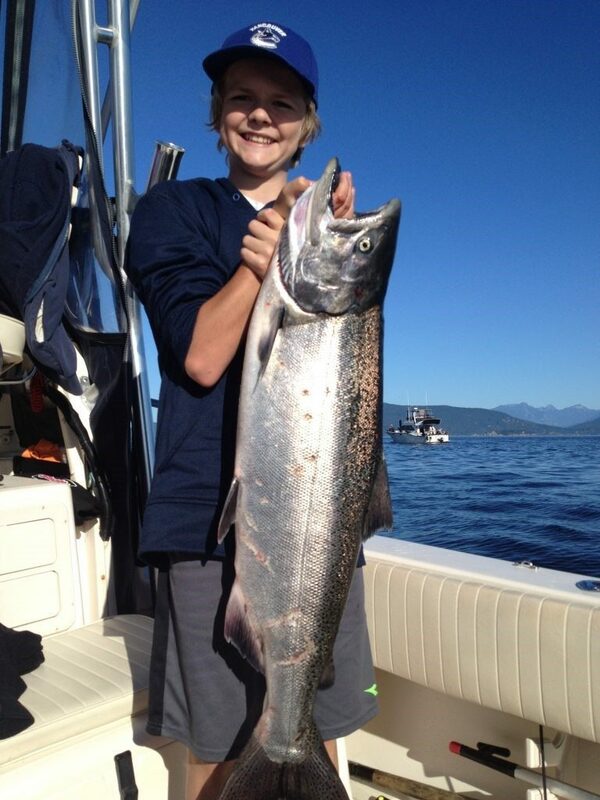 October 2010: Smiles and Chinook! 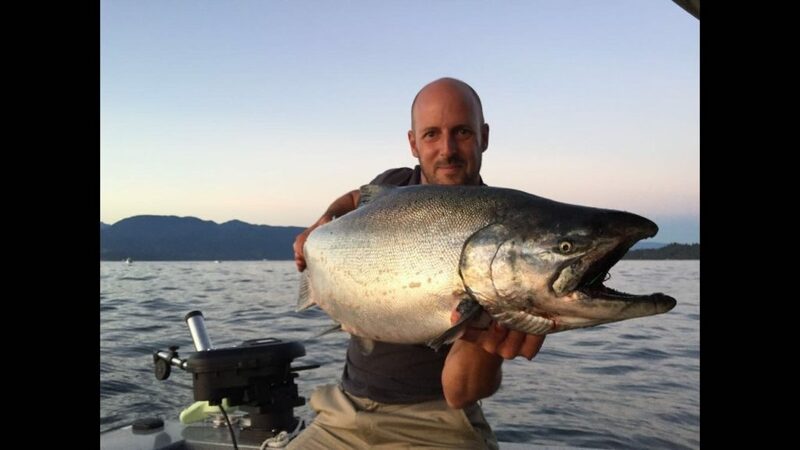 July 14th 2010: The Summer Chinook are Here! 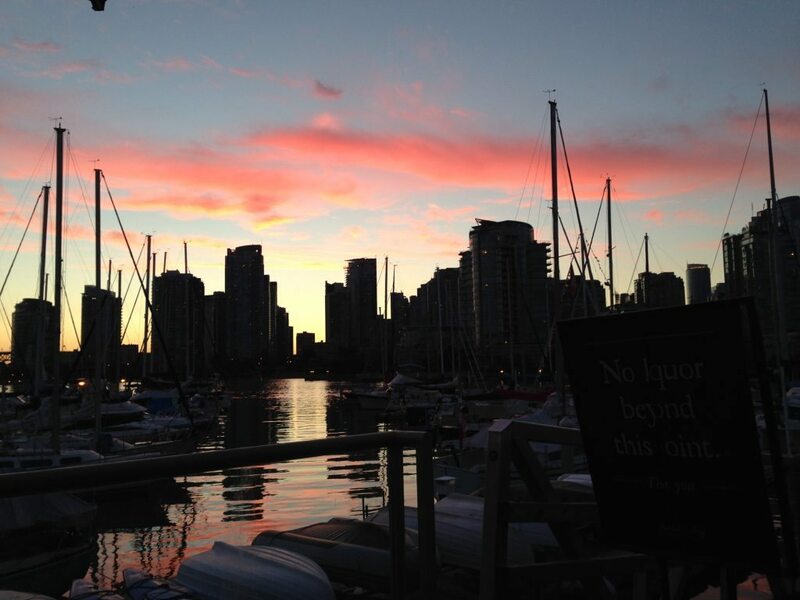 July 13th 2010: What a difference a day makes! 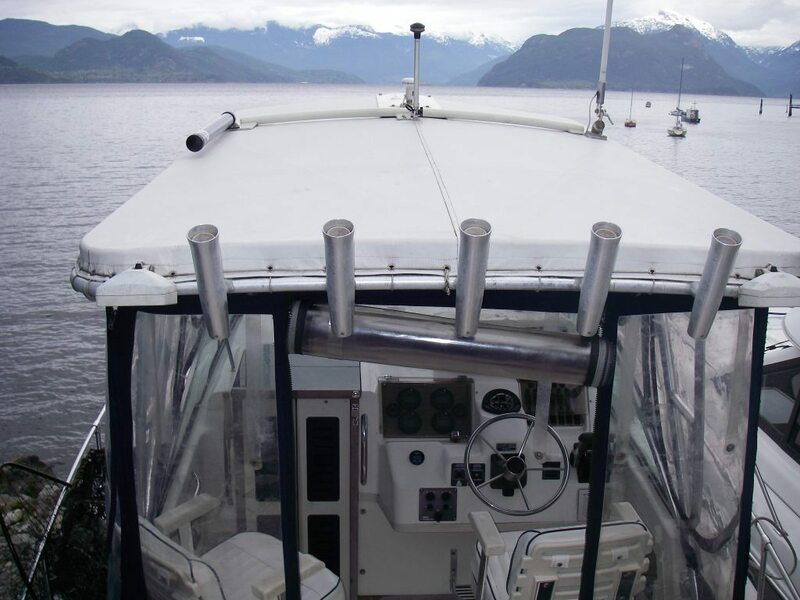 July 12th, 2010: The Wind Storm of the Summer! 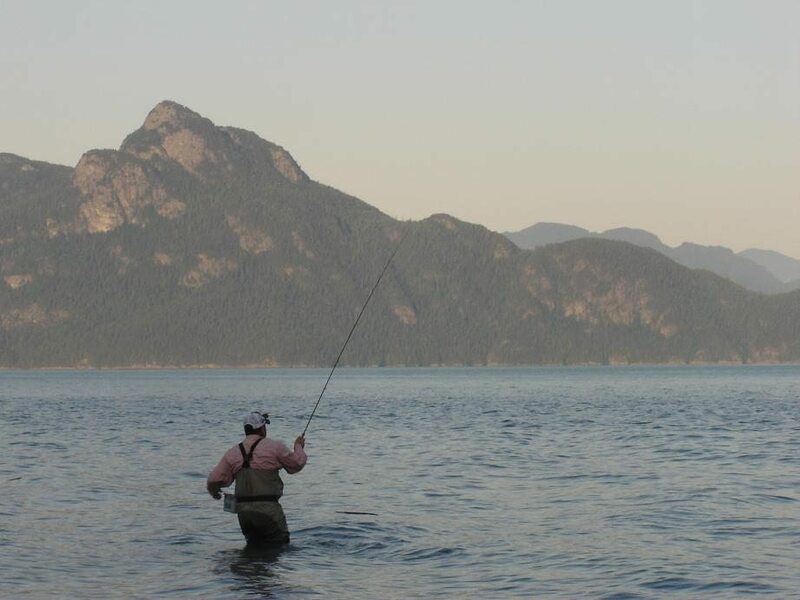 July 1st 2010 Happy Canada Day! 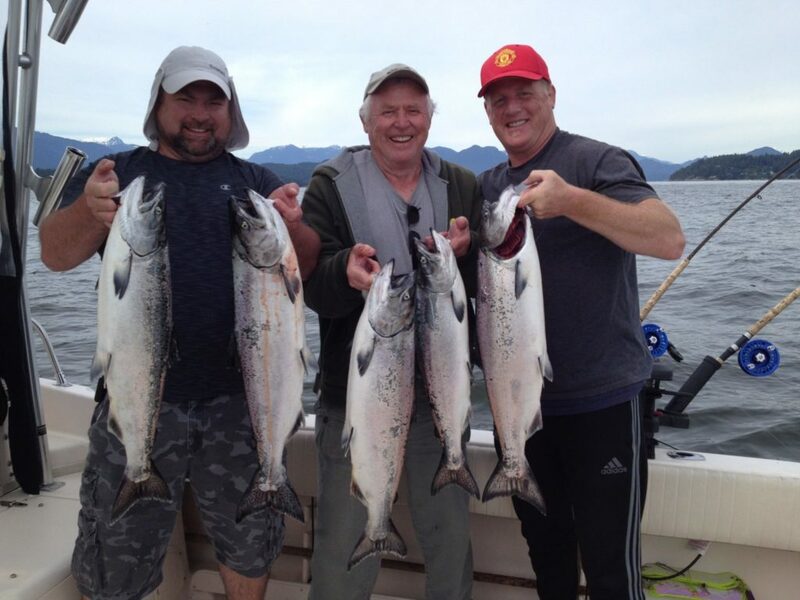 Well I was out on the water today on a trip with Peter from Vancouver and Ken from Toronto. 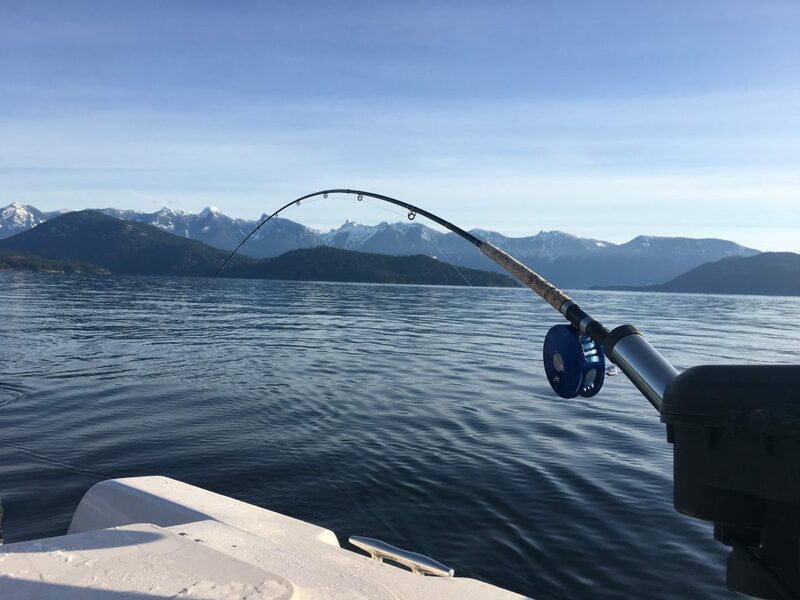 What a day to be out on the water. 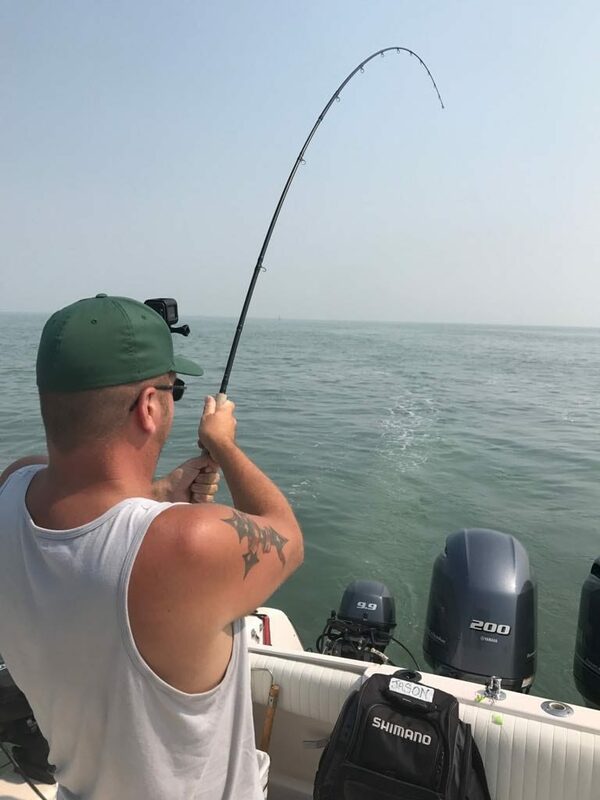 Flat calm and hot! 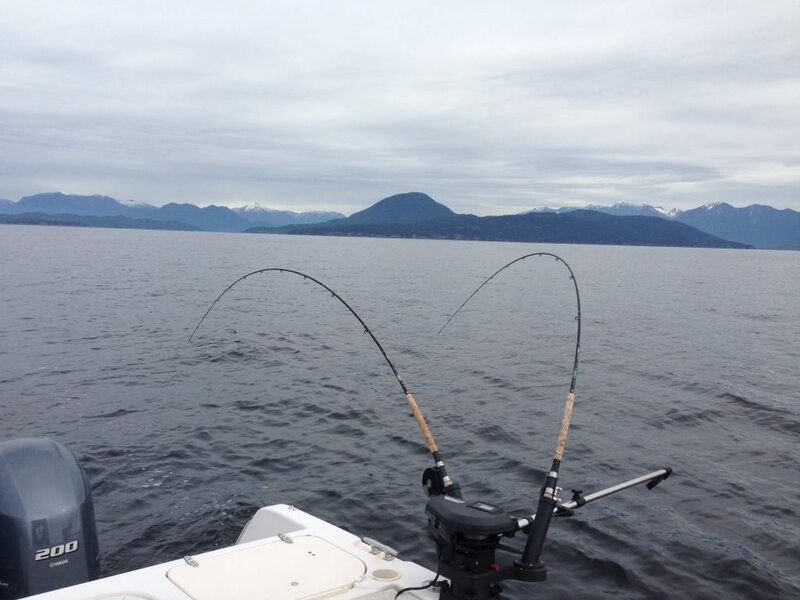 We fished the flood tide at the mouth of the Capilano all the way up to high slack in the afternoon.